06/30/10 Super Hero Squad Nova Info and Sketch! 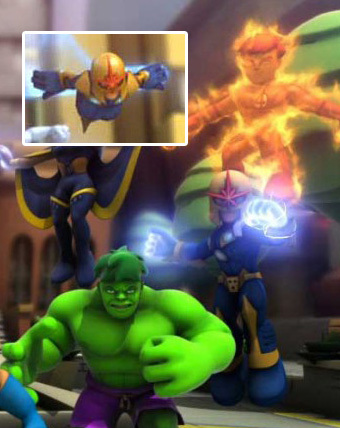 Marvel Animation has provided information on Nova's second season appearance in the Super Hero Squad show! Nova will be appearing in episode #37, titled "So Pretty When They Explode!" written by Len Wein (DC Universe Legacies, Amazing Spider-Man, co-creator of Wolverine and Black Nova). Also, Jason Marsden (Batman: The Brave and The Bold, The Fairly Odd Parents, Batman) will be providing his voice for the character. They also supplied the following teaser for the episode! 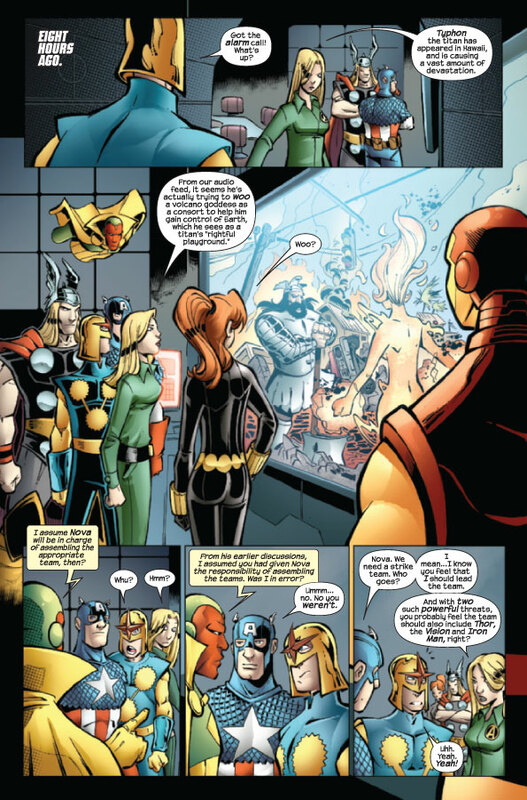 "Iron Man must keep Thanos from using the Power Stone to destroy the intergalactic peacekeepers, the Nova Corps, by assembling the burliest away team ever! 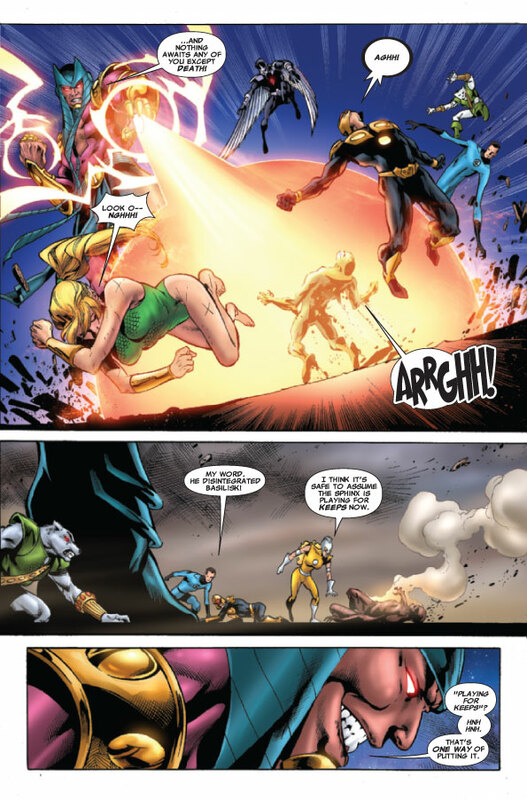 Nova gets captured, and Iron Man invites She-Hulk to join the rescue mission." 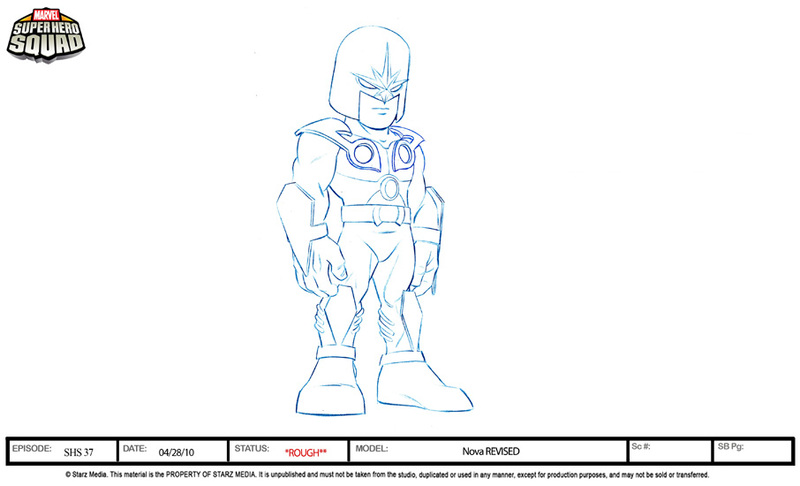 Special Thanks to the folks at Marvel Animation for the info and design sketch! According to marvel.com, the release date for The Thanos Imperative #2 been delayed a week until July 14th. 06/28/10 Sales Info for Super Heroes #2! Super Heroes #2 was ranked #216 according to sales numbers released by Diamond Comics Distributors. The estimated number of issues sold (according to ICv2.com) was 6,360. 06/25/10 Six Pages and Cover of Secret Avengers #2! 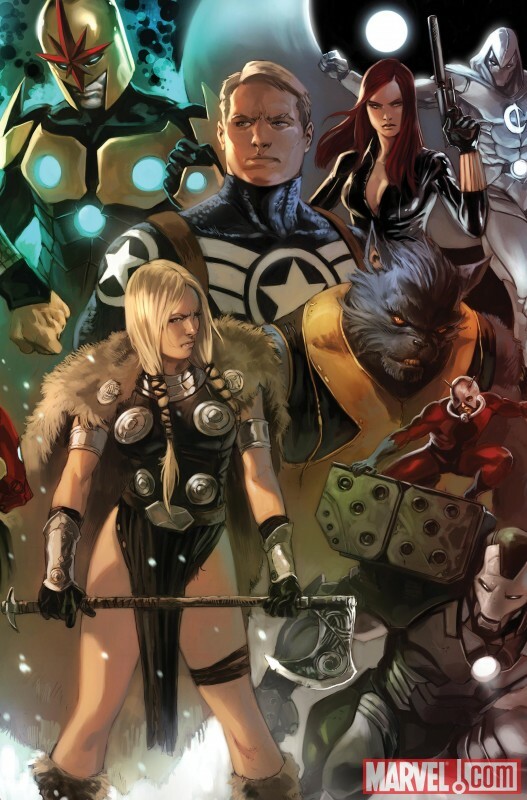 Marvel has released six preview pages along with the cover from Secret Avengers #2! 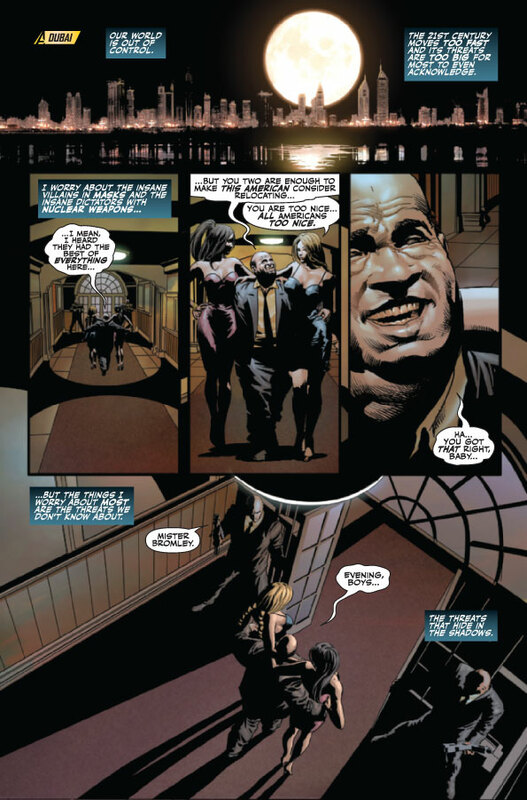 The issue is written by Ed Brubaker, pencils by Mike Deodato with the standard cover by Marko Djurdjevic. The issue is on sale June 30th! The question was: "Do You Like MASH Nova or the 616 Nova?" 06/15/10 I Am An Avenger Solicitation! I Am An Avenger #1 (of 5) - Written by Jim McCann, Duane Swierczynski, Alex Zalben & more, pencils by Chris Samnee, Jason Latour, Tom Fowler & much more with cover by Leinil Francis Yu. What is it that makes one an Avenger? 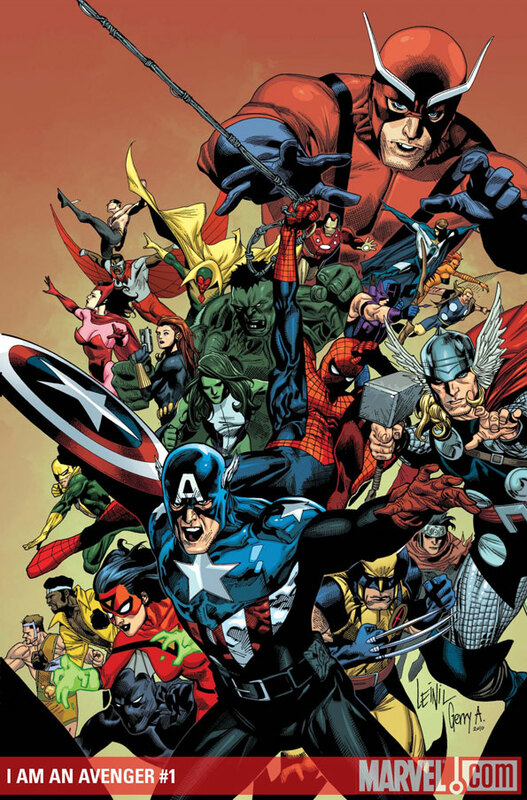 That's what this series starring characters from all across the Avengers' history will attempt to answer! Featuring tales of Iron Man, Captain America, the Thing, Iron Fist, Justice, Firestar, Squirrel Girl, Nova and the Young Avengers and more! 06/15/10 The Thanos Imperative #4 Solicitation! The Thanos Imperative #4 (of 6) - Written by Dan Abnett & Andy Lanning, pencils by Miguel Angel Sepulveda with cover by Aleksi Briclot. The all-star alliance of sci-fi heroes strike! 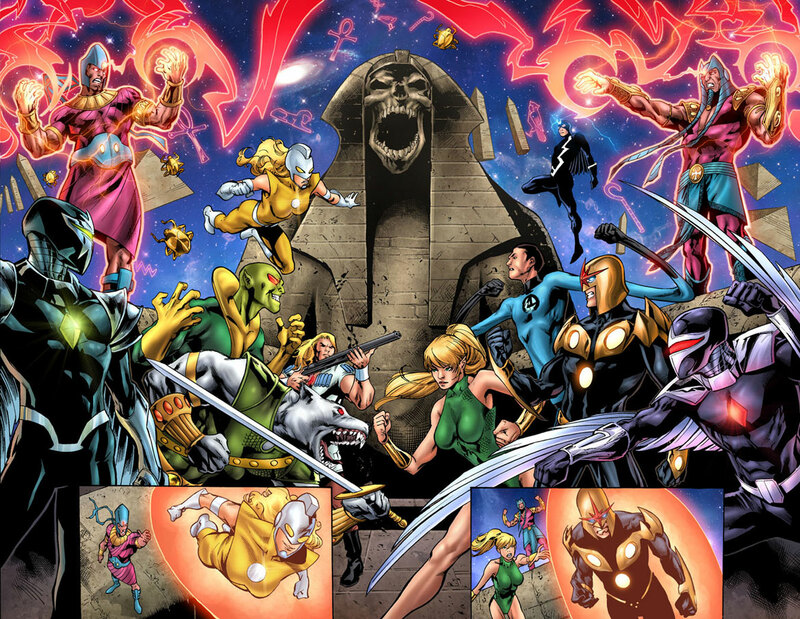 Silver Surfer, Quasar and Nova lead a make-or-break attack against the undying Lord of the Cancerverse forces! It's either total victory or utter defeat! 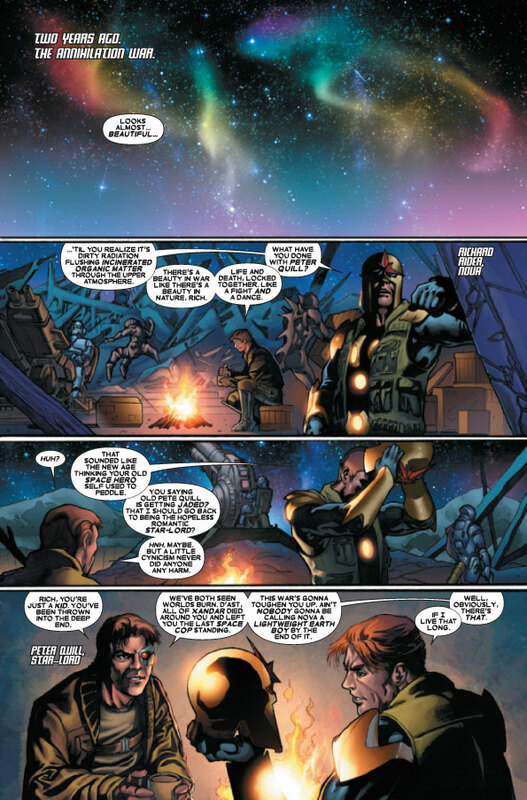 Meanwhile, in the Cancerverse itself, Star-Lord's rag-tag team learns whether attempting to make a deal with Thanos was the smartest choice they ever made - or the worst decision of their entire lives! It's more star-blasting adventure from the minds of Dan Abnett & Andy Lanning, the writing duo that IGN.com calls "cosmic masters...(who have) deftly placed Marvel's cosmic lineup back on top of the pack!" 06/15/10 Super Heroes #6 Solicitation! Super Heroes #6 - Written by Paul Tobin, pencils by Scott Koblish with cover by Clayton Henry. The Executioner is easily one of the deadliest foes Thor has ever faced, and in their loooong history of battlefield clashes, perhaps the strangest one of all time was on... a pirate ship? 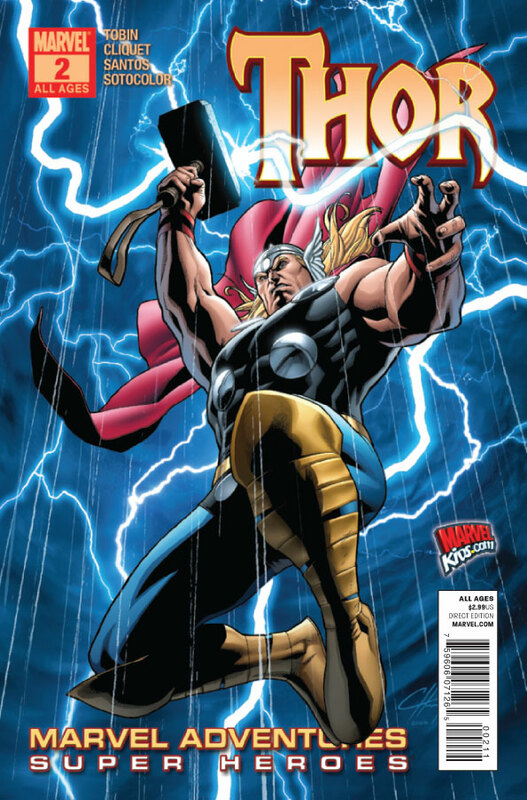 It's an untold tale of the past, where the God of Thunder stands alone against the most ruthless pirate on Earth, and the most merciless of all Asgard's warriors! 06/15/10 Heroic Age: Heroes #1 Solicitation! 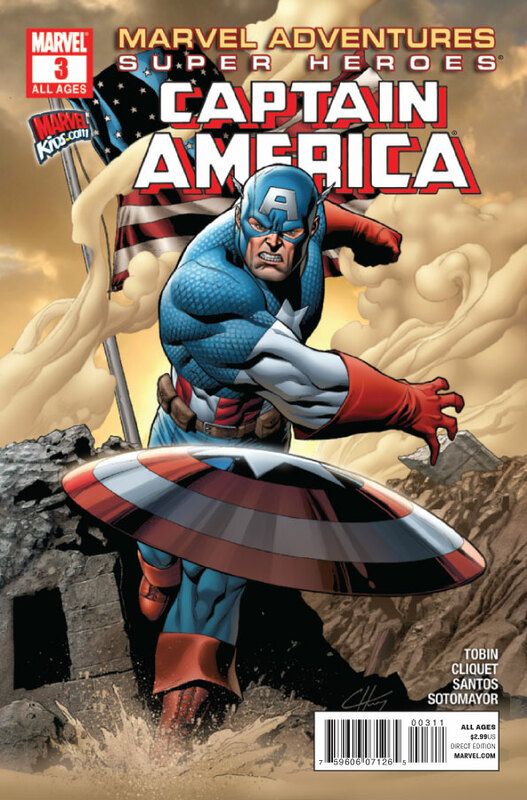 In the aftermath of SIEGE, Steve Rogers assesses the state of Earth's heroes in this 64-page extravaganza of character files! From old friends like Thor to newcomers such as Reptil, Steve asks this question: what makes them heroes? Find out how he really feels, and see how your favorite hero ranks in this ultimate countdown! 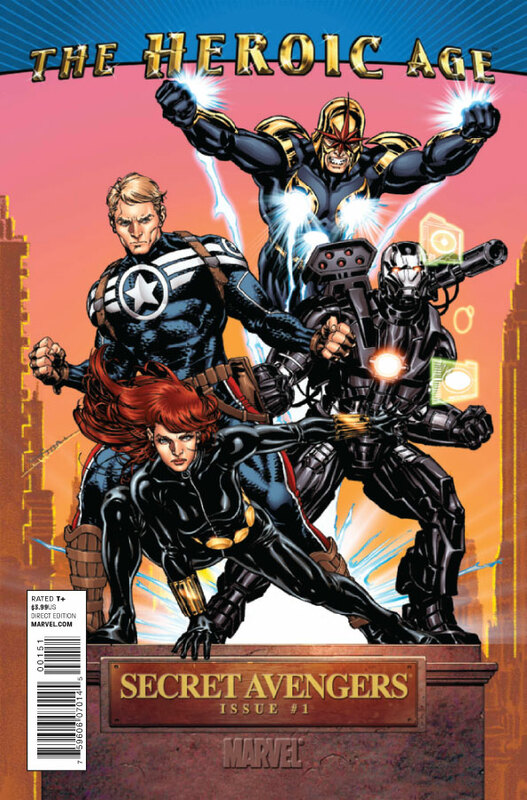 06/15/10 Secret Avengers #5 Solicitation! 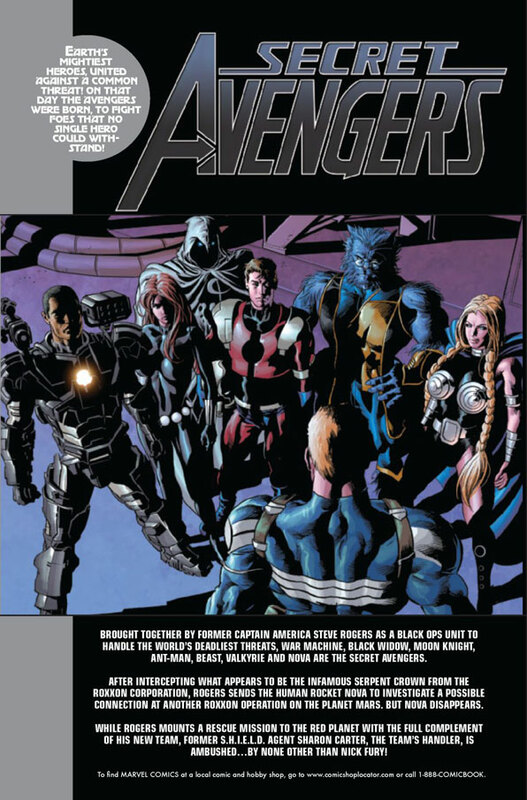 Secret Avengers #5 - Written by Ed Brubaker, pencils by TBA with cover by Marko Djurdjevic. 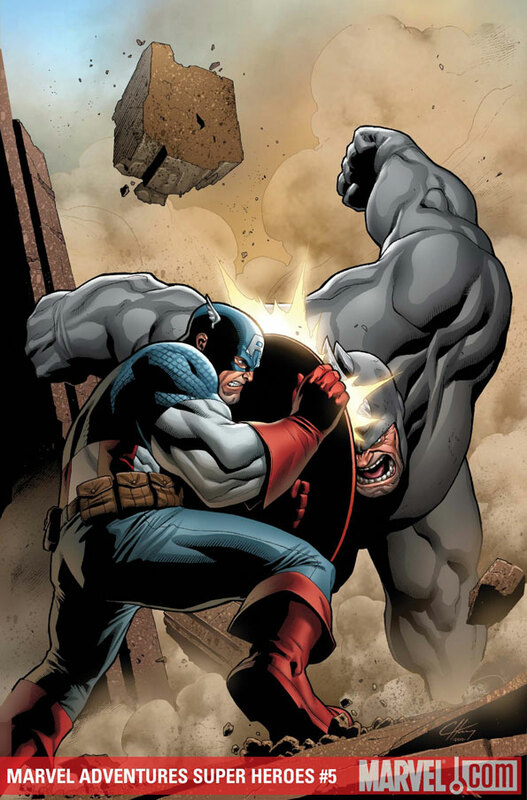 Variant cover by Mike Deodato. Super Hero Squad Variant also available. A secret foe has been revealed - or has he? Find out everything you need to know about the OTHER Nick Fury as Secret Avengers continues to explore the volatile landscape of Marvel's new Heroic Age! 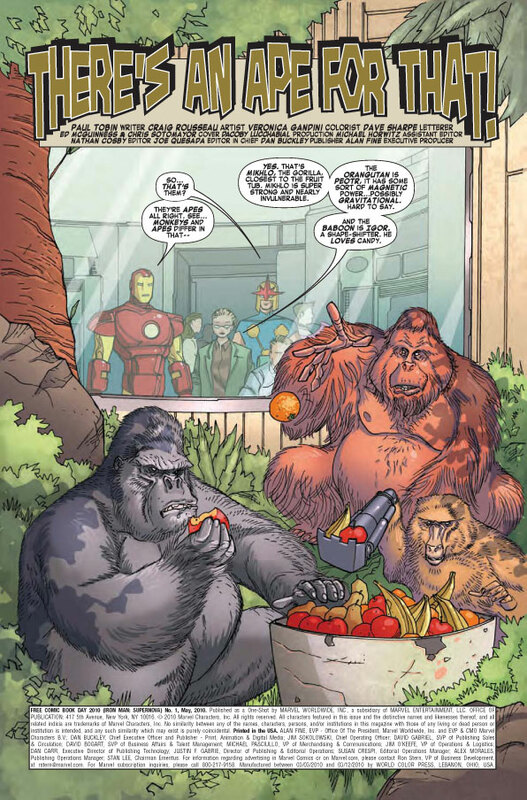 06/15/10 Sales Info for Secret Avengers #1! 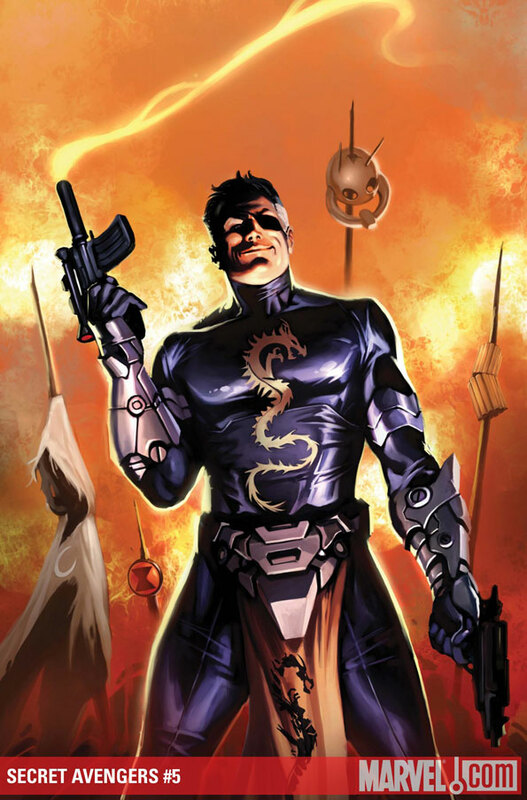 Secret Avengers #1 was ranked #4 according to sales numbers released by Diamond Comics Distributors. The estimated number of issues sold (according to ICv2.com) was 106,750. 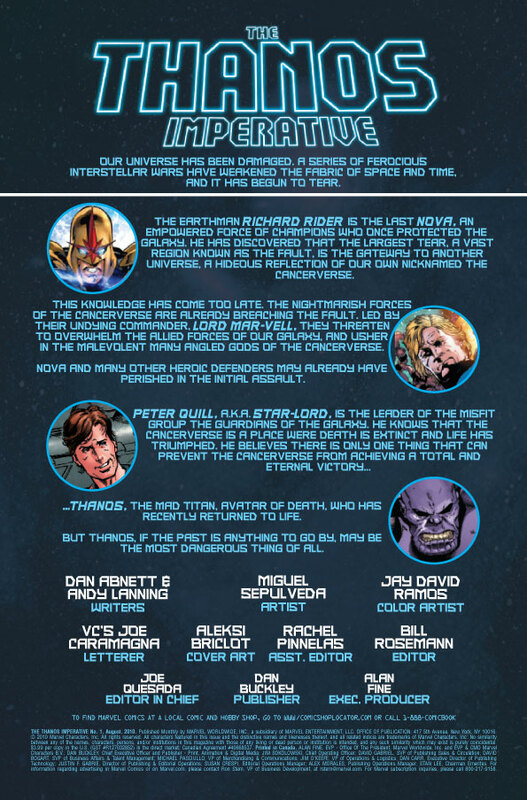 06/15/10 Sales Info for The Thanos Imperative #1! 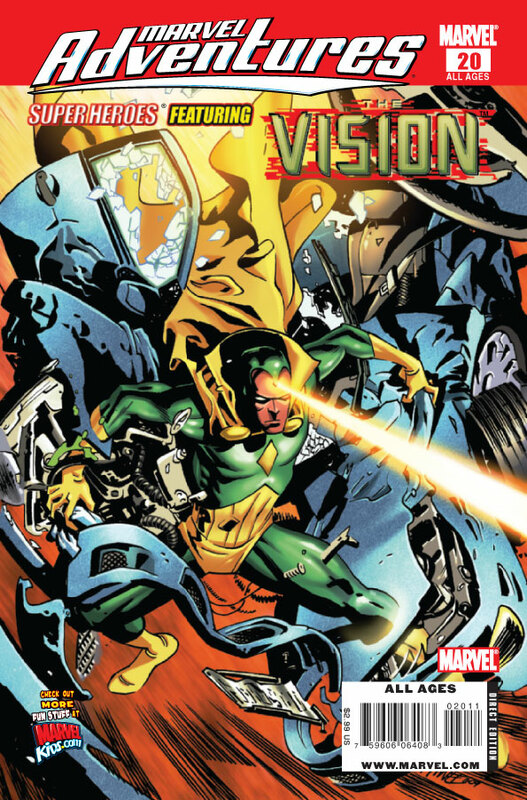 The Thanos Imperative: Ignition was ranked #68 according to sales numbers released by Diamond Comics Distributors. The estimated number of issues sold (according to ICv2.com) was 29,716. 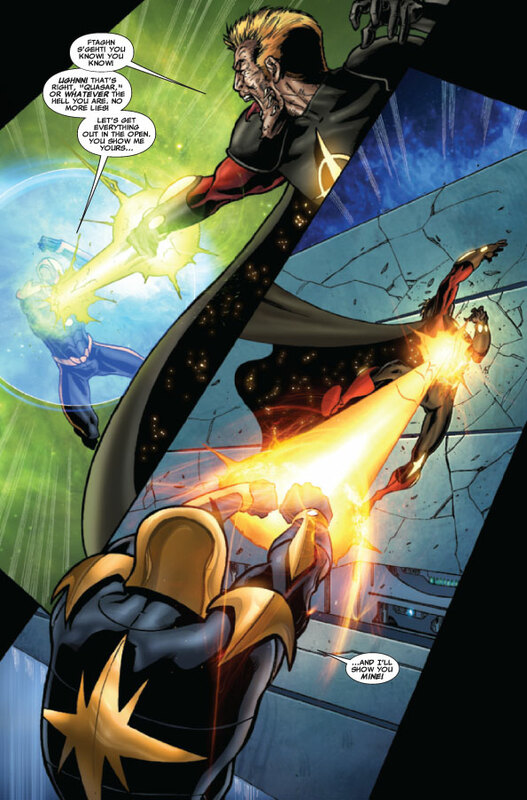 06/14/10 Nova Appears In Wizard #226! 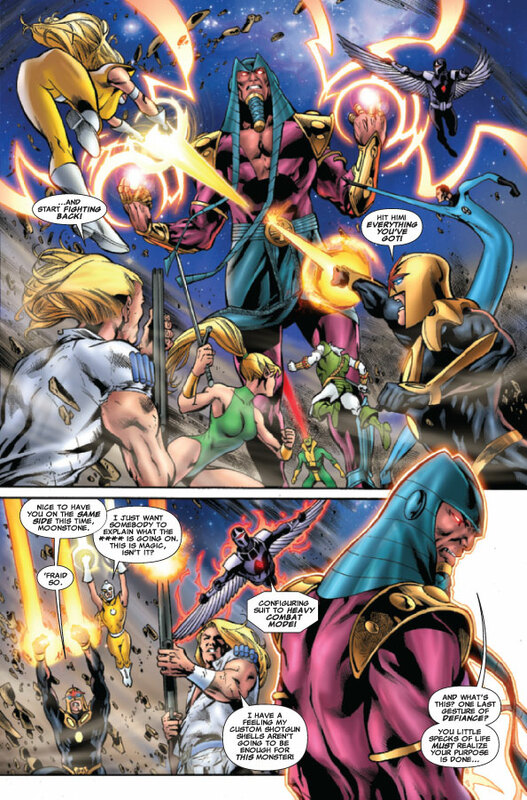 Nova appears in an original illustration in Wizard #226 by Phil Jimenez and Frank D'Armata. 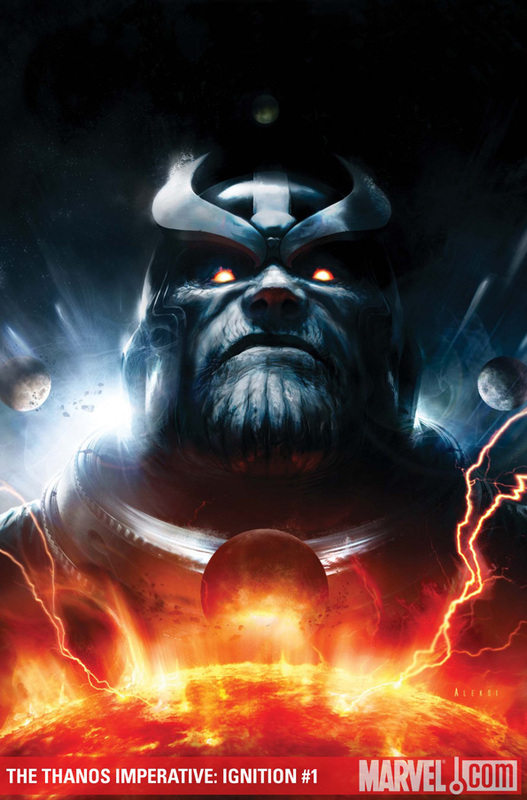 The article features an interview with Dan Abnett, Andy Lanning and Bill Rosemann with an overview of The Thanos Imperative. 06/08/10 Secret Avengers #4 Variant Cover! 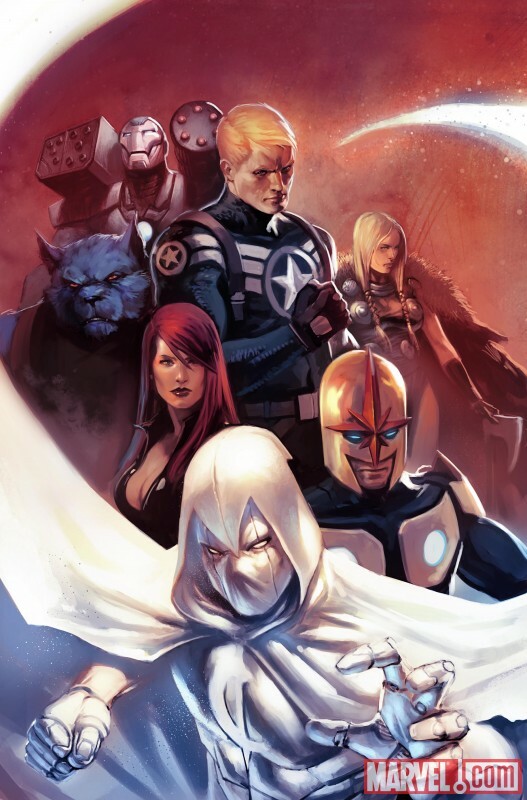 Marvel has released the artwork for the variant cover to Secret Avengers #4. The cover art is done by Mike Deodato! The issue goes on sale August 18th. 06/08/10 Bill Rosemann on Nova's Future! 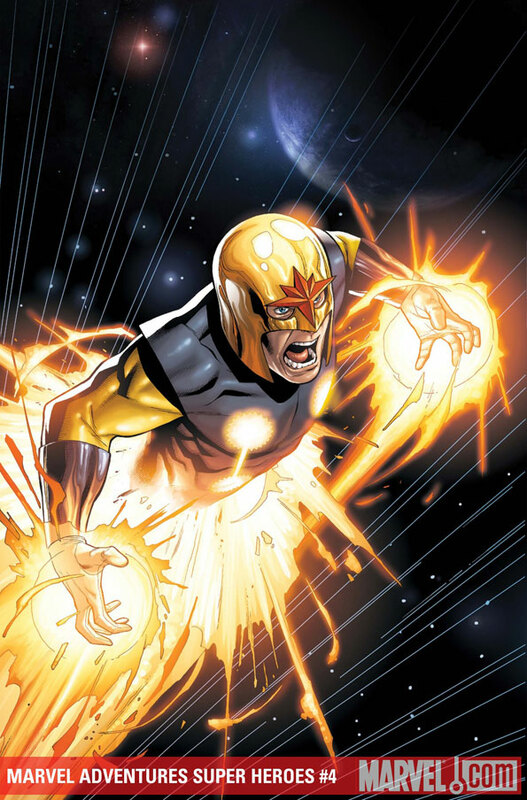 During the Mondo Marvel panel at HeroesCon 2010, Nova editor Bill Rosemann was asked about the future of Nova and Guardians of the Galaxy. 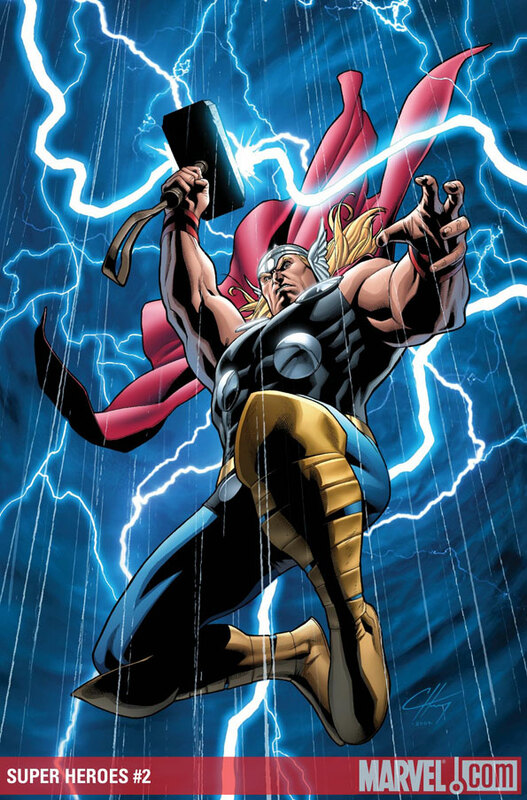 Comic Book Resources reported that fans of both titles would be happy after The Thanos Imperative. Rosemann stated "More cosmic goodness is not only happening, but will continue to happen". 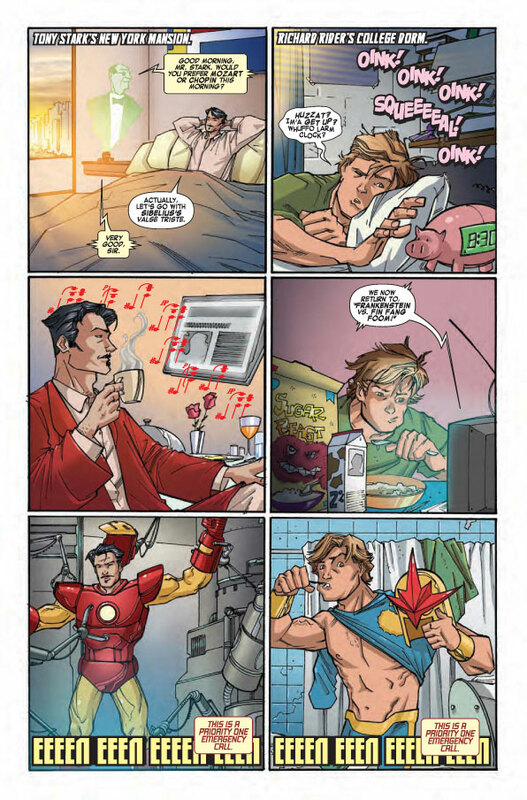 06/04/10 6 Preview Pages & Cover of Super Heroes #3! Marvel has provided six preview pages along with the cover from Super Heroes #3! 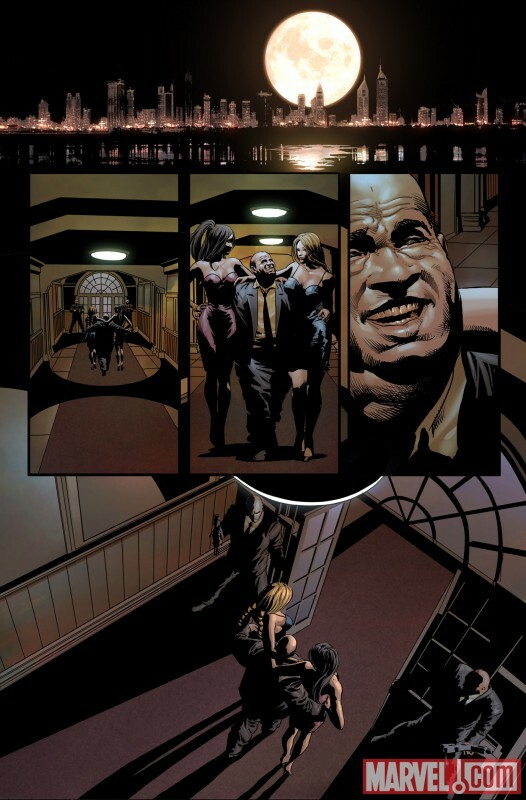 The issue is written by Paul Tobin, pencils by Ronan Cliquet with cover by Clayton Henry. The issue is on sale June 9th! 06/03/10 Three Pages & Cover of Secret Avengers #2! 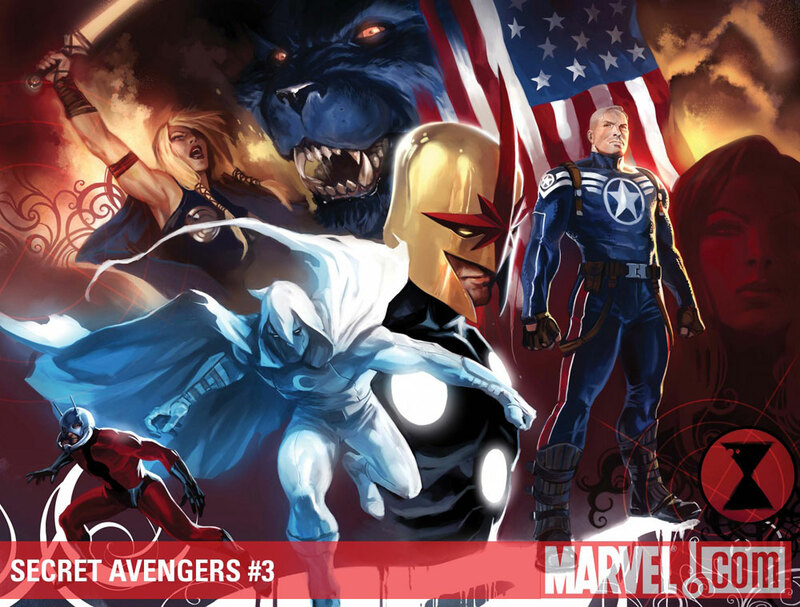 Marvel has released three preview pages along with the cover from Secret Avengers #2! 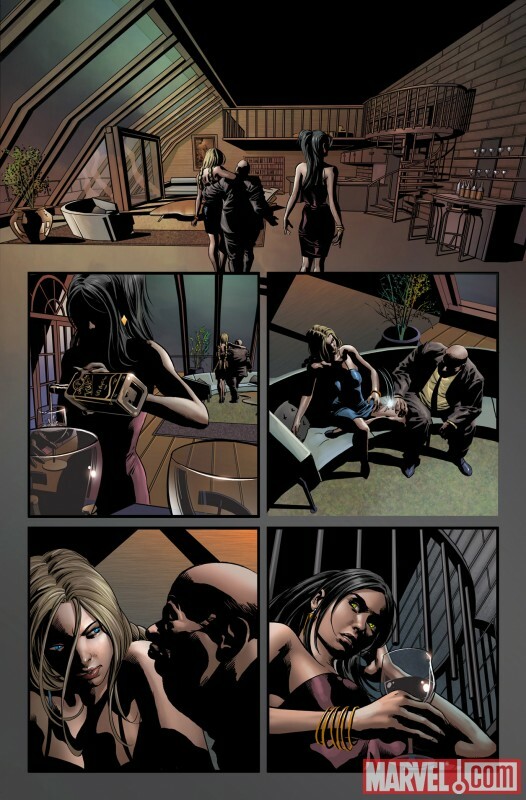 The issue is written by Ed Brubaker, pencils by Mike Deodato with the shown cover by Mike Deodato. 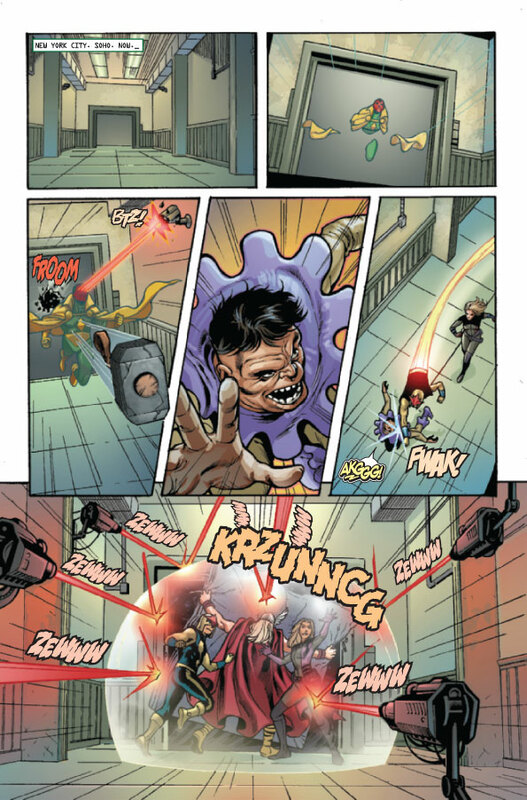 05/28/10 6 Preview Pages & Cover of Thanos Imp. #1! 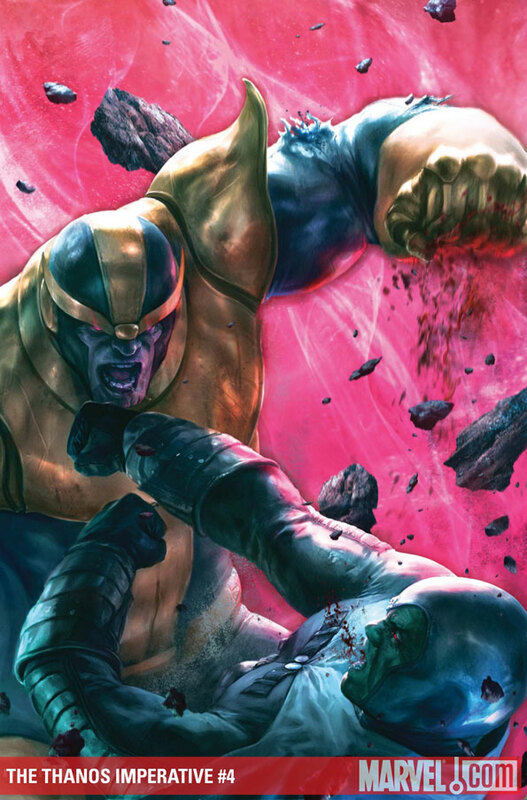 Marvel has provided six preview pages along with the cover from The Thanos Imperative #1! The issue is written by Dan Abnett & Andy Lanning, pencils by Miguel Sepulveda with cover by Aleksi Briclot. The issue is on sale June 3rd! 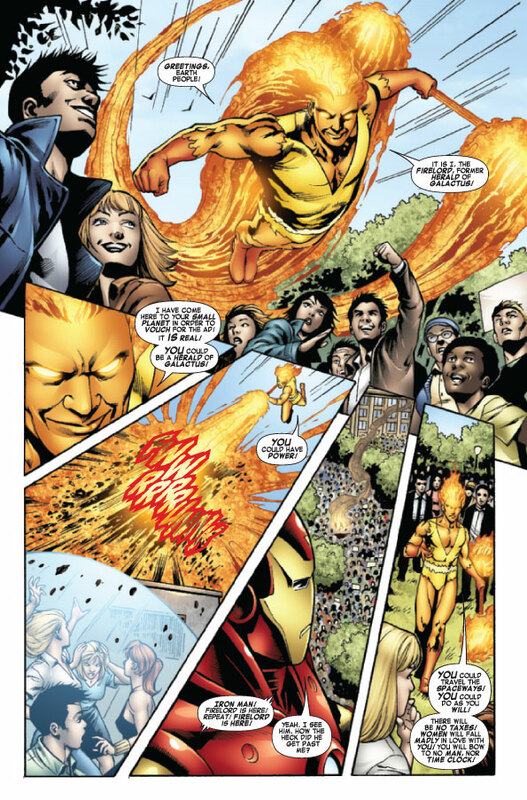 05/21/10 Six Preview Pages & Cover of TTI: Ignition! Marvel has provided six preview pages along with the cover from The Thanos Imperative: Ignition! The issue is written by Dan Abnett & Andy Lanning, pencils by Brad Walker with cover by Aleksi Briclot. The issue is on sale May 26th! 05/21/10 Six Pages and Covers of Secret Avengers #1! 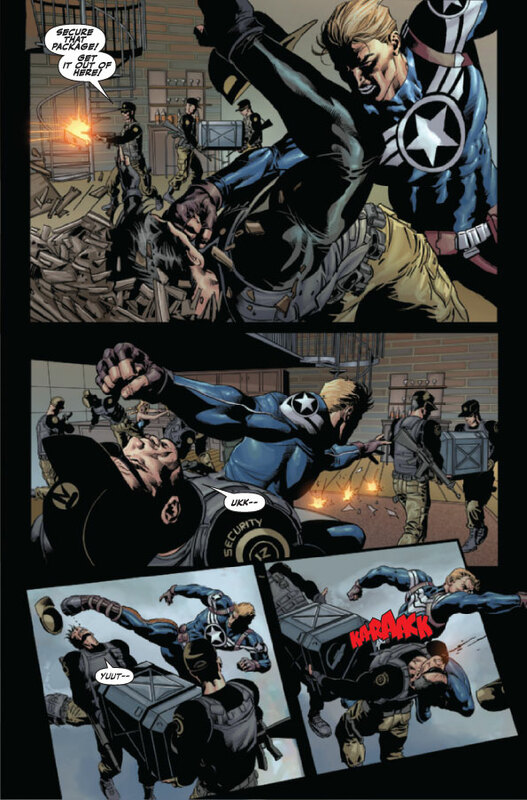 Marvel has released six preview pages along with the variant covers from Secret Avengers #1! 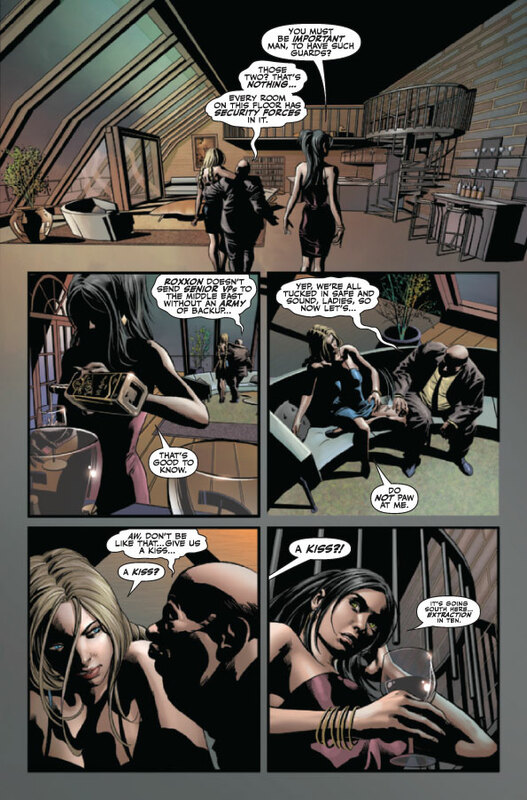 The issue is written by Ed Brubaker, pencils by Mike Deodato with the standard cover by Marko Djurdjevic. The first variant shown is also by Marko Djurdjevic. The second is by David Yardin. 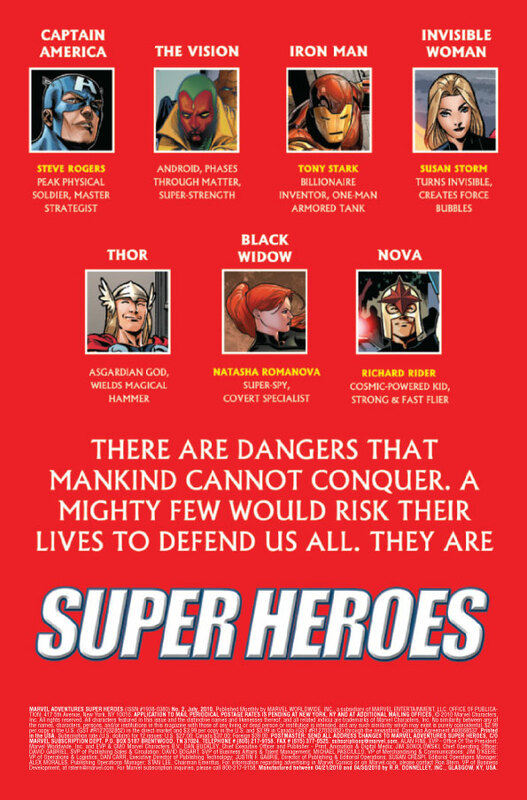 05/18/10 Sales Information for Super Heroes #1! Super Heroes #1 was ranked #178 according to sales numbers released by Diamond Comics Distributors. The estimated number of issues sold (according to ICv2.com) was 8,107. 05/18/10 Thanos Imperative #3 Solicitation! The Thanos Imperative #3 (of 6) - Written by Dan Abnett & Andy Lanning, pencils by Miguel Angel Sepulveda with cover by Aleksi Briclot. 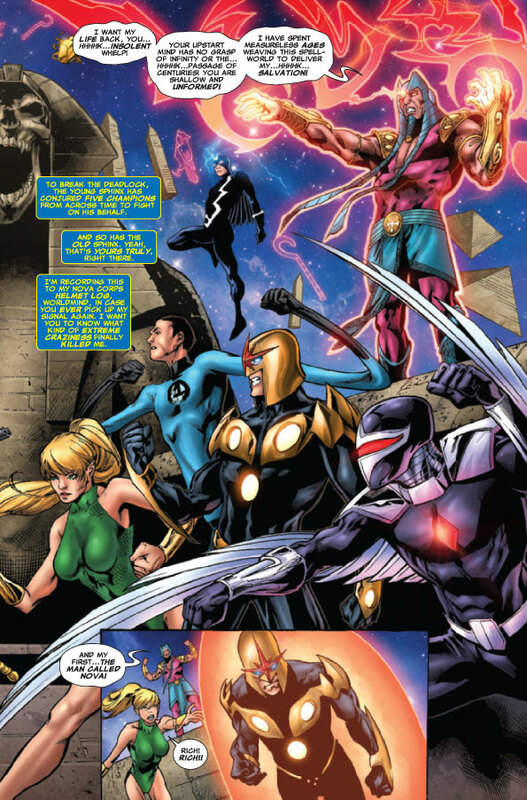 Thanos faces twisted versions of the Avengers - while Nova assembles a star-studded cosmic strike force! 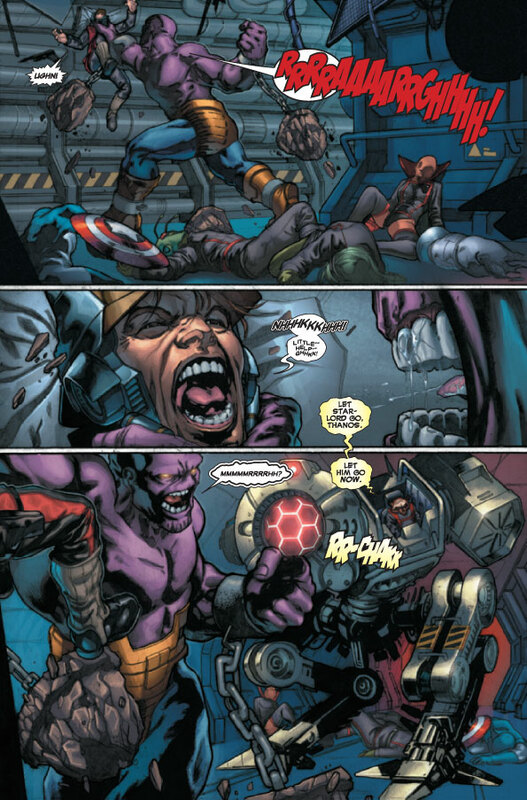 As the staggering consequences of the Cancerverse's invasion become apparent, Star-Lord and his battered band of heroes fight to protect Thanos, who has actually become the universe's only hope! But it's literally a life and death struggle, and one being hardwired for destruction may ruin everything! 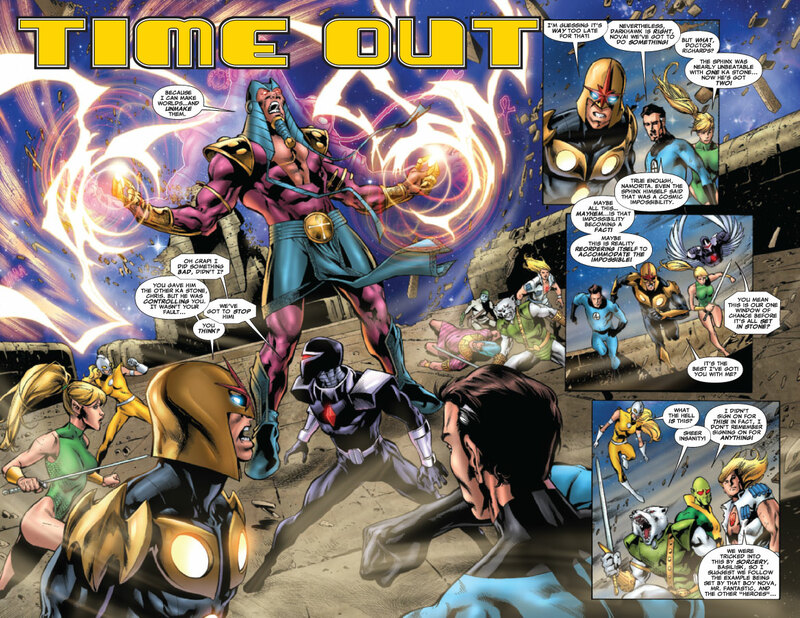 Check out this next stunning chapter and find out why AintItCoolNews says "this writing team has taken the Marvel Cosmic line to levels of cool never before seen"! 05/18/10 Secret Avengers #4 Solicitation! 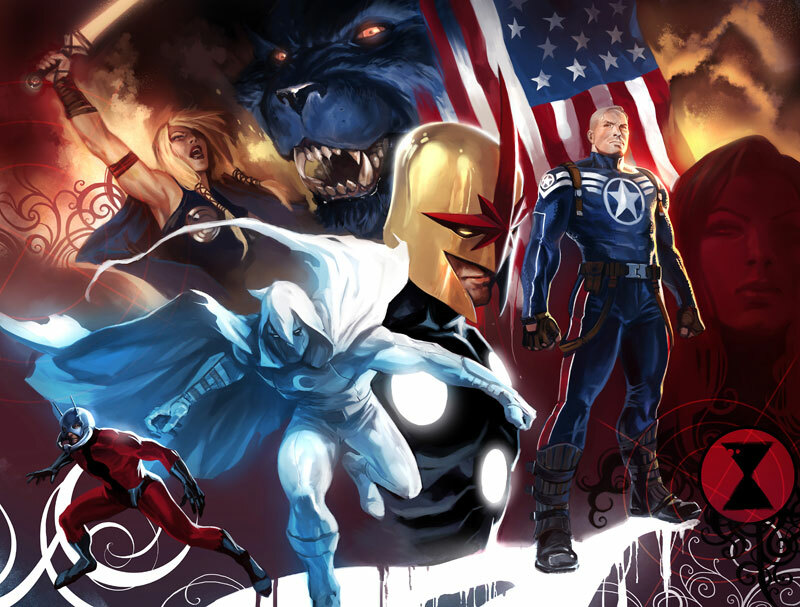 The fate of one hero and the birth of another will be decided here, as the Secret Avengers true enemy is finally exposed! It's an all-new kind of Avengers by award-winning writer Ed Brubaker and acclaiming artist Mike Deodato, Jr.
05/18/10 Super Heroes #5 Solicitation! Super Heroes #5 - Written by Paul Tobin, pencils by Crisscross with cover by Clayton Henry. 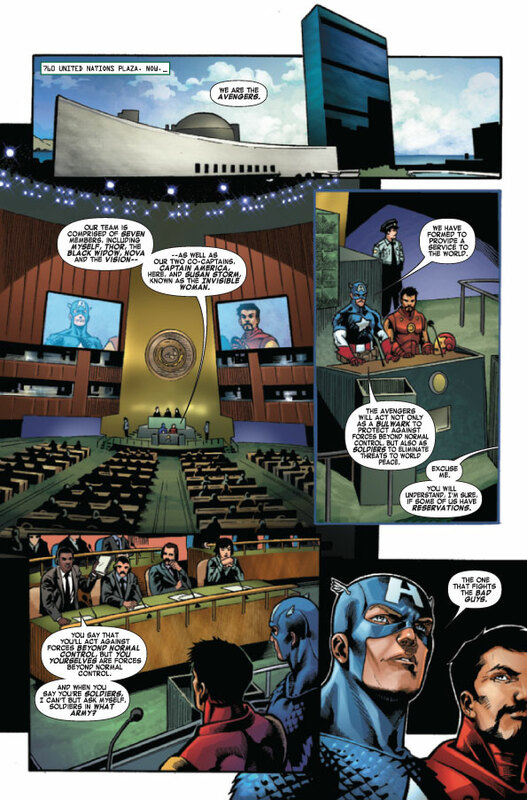 With the rest of the Avengers on missions, Captain America isn't too worried about covering a call from an animal rights activist concerning a baby rhino being held in captivity. 05/13/10 Nova In Super Hero Squad Online Game! Nova will be one of the characters appearing in the new Super Hero Squad Online game! The SHSO is a massively multiplayer online (MMO) game and is based on the animated series. Special Thanks to Jay Levy for the heads-up! 05/10/10 Sales Information for Nova #36! 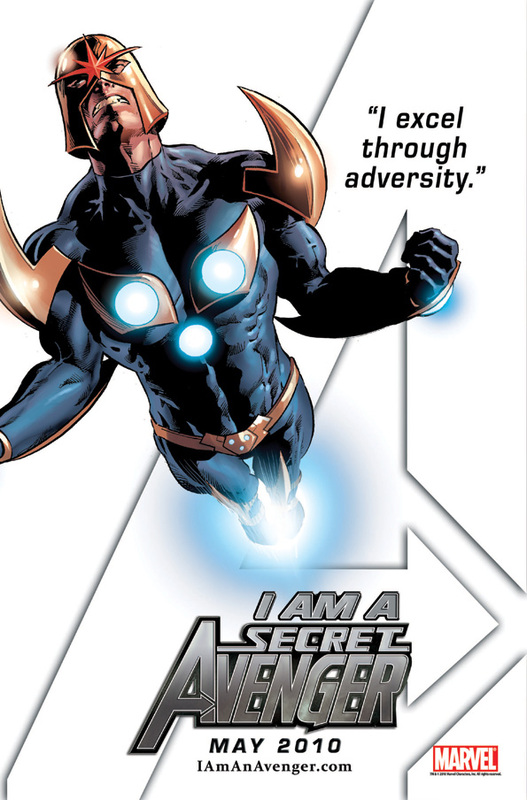 Nova #36 was ranked #86 according to sales numbers released by Diamond Comics Distributors. The estimated number of issues sold (according to ICv2.com) was 22,365. 05/07/10 7 Preview Pages & Cover of Super Heroes #2! Marvel has provided seven preview pages along with the cover from Super Heroes #2! The issue is on sale May 12th! 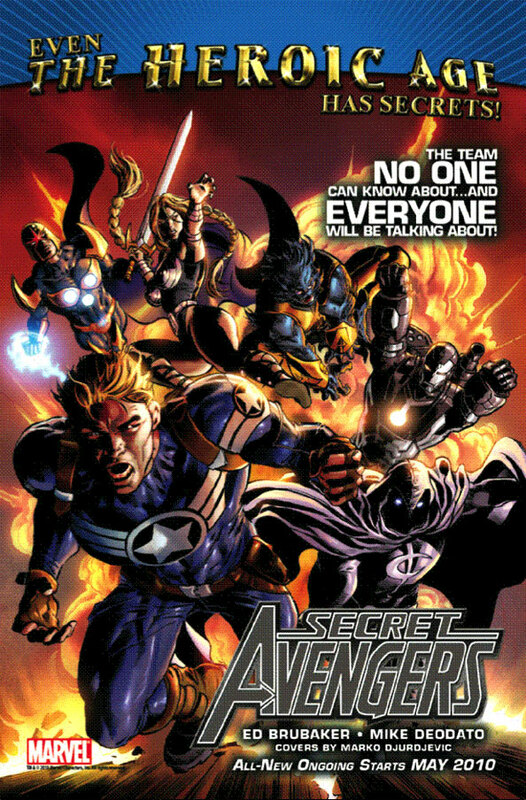 04/30/10 4 Pages and Covers of Secret Avengers #1! 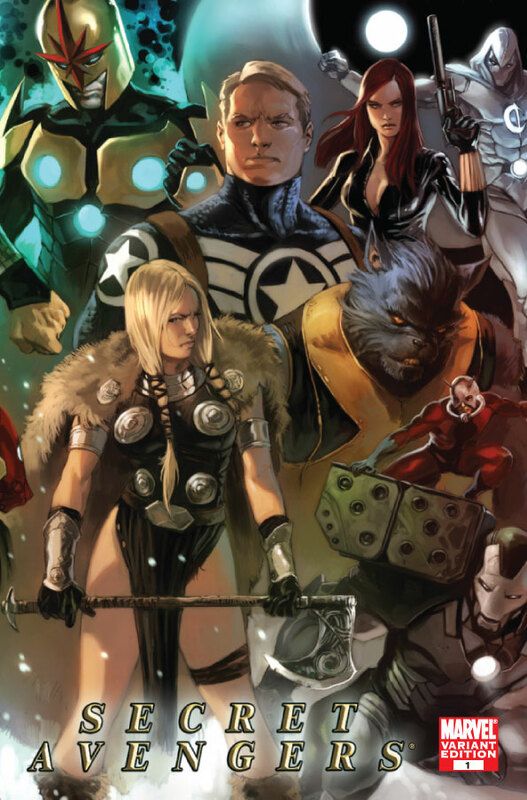 Marvel has released four preview pages along with the various covers from Secret Avengers #1! 04/20/10 Thanos Imperative #2 Solicitation! 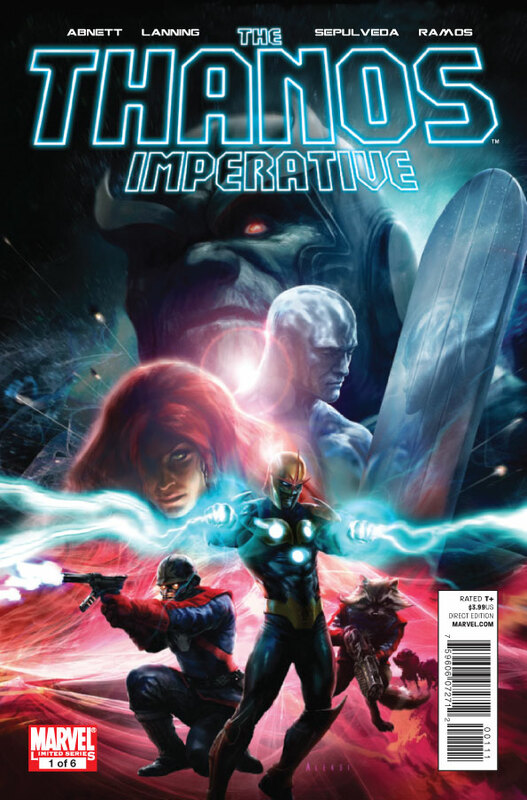 The Thanos Imperative #2 (of 6) - Written by Dan Abnett & Andy Lanning, pencils by Miguel Sepulveda with cover by Aleksi Briclot. Thanos... Nova... Silver Surfer ...Quasar ... Gladiator ...the cosmic heavy-hitters take the stage as Marvel's latest sci-fi saga rockets onwards! A rival universe where life is the ultimate curse - and reality is determined by twisted, monolithic gods - is gouging into our own! Even the great abstract figures of creation like Oblivion and Eternity have taken up arms! 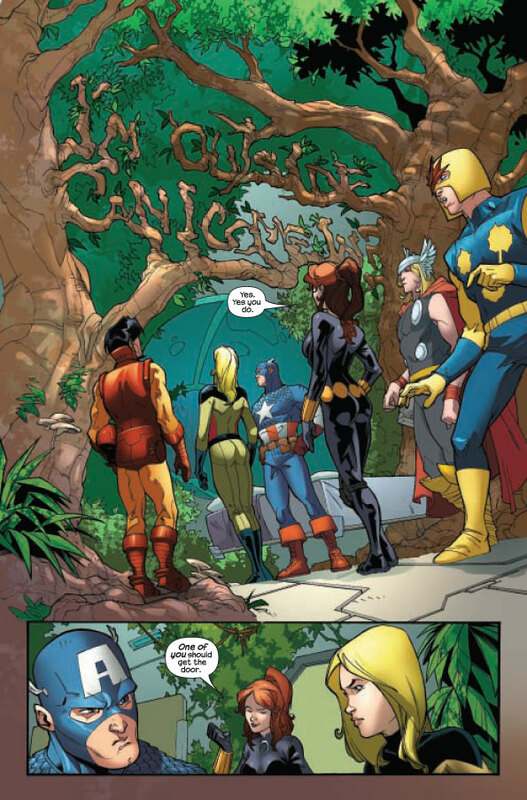 What possible significance can Star-Lord and his band of misfit heroes hope to have? 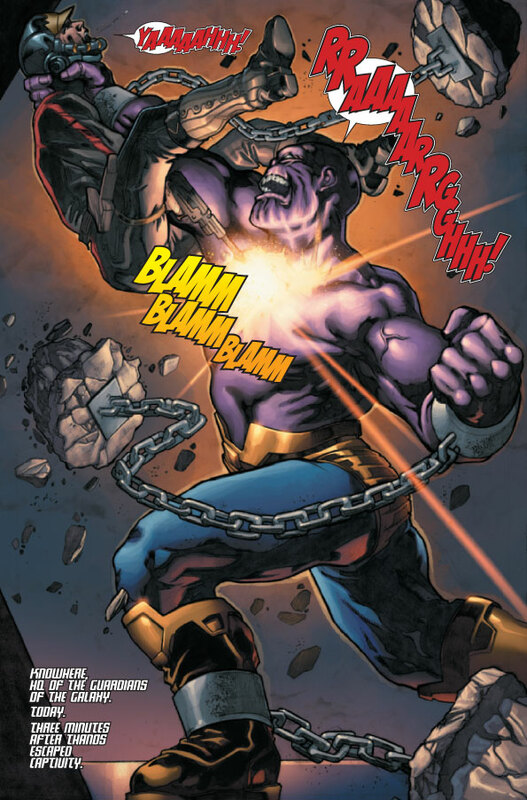 And how will the Mad Titan Thanos chose to take his stand? 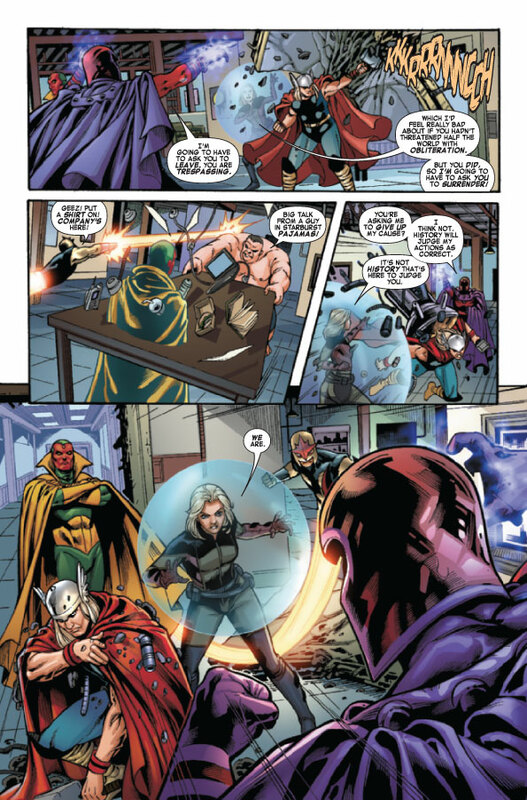 Find out here - and also find out why Aint It Cool News says: "Dan Abnett and Andy Lanning continue to put out stories full of amazing characters and exquisite scenery...each issue is jam packed with the best Marvel space characters that put most of the stories on Earth to shame." 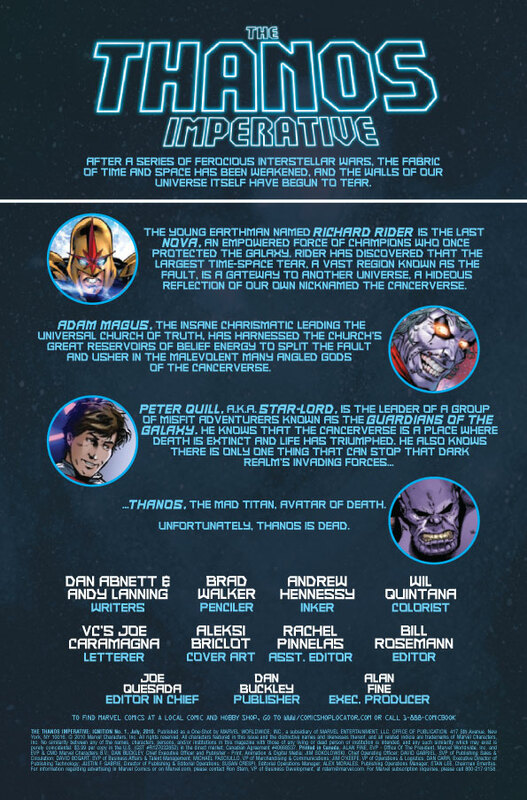 04/20/10 Thanos Sourcebook #1 Solicitation! 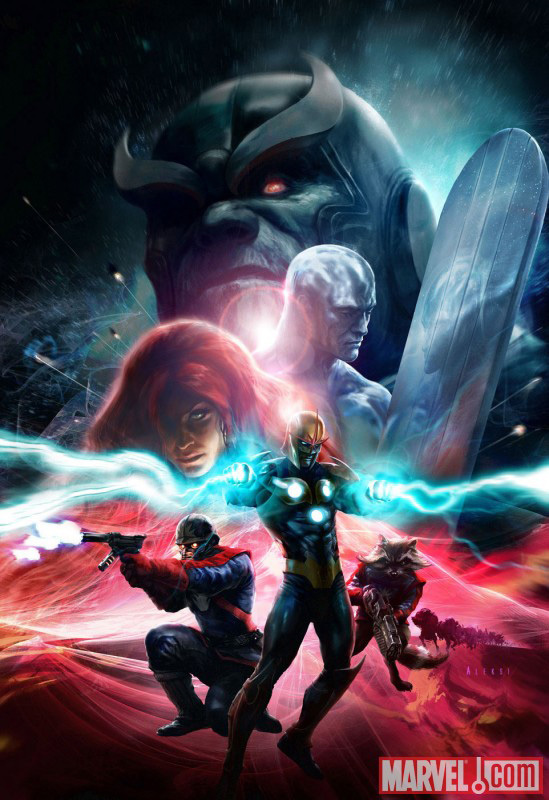 The Thanos Sourcebook #1 - Written by Mike O'Sullivan and various with cover by Alex Garner. 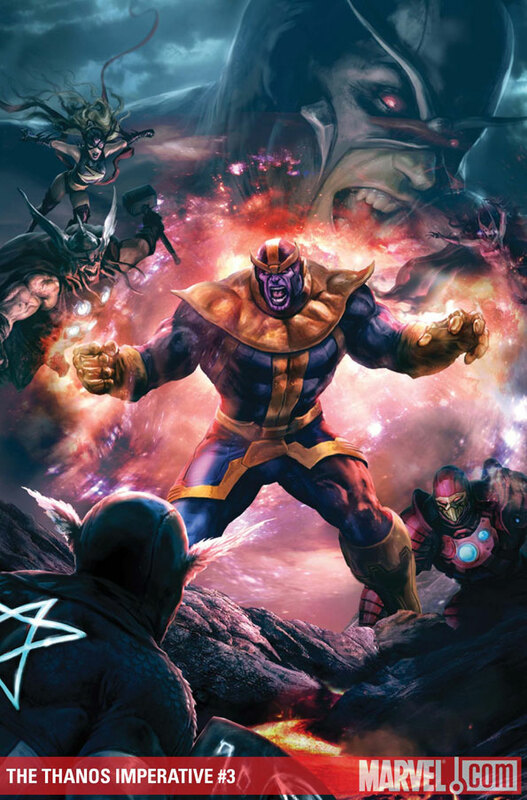 The THANOS SOURCEBOOK is an ideal primer for any reader of the latest saga to rock the cosmos! 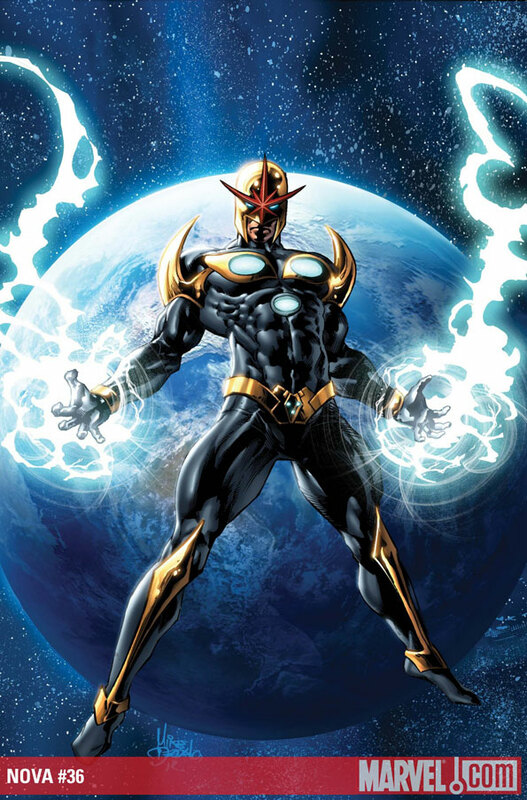 Featuring biographies on Marvel's intergalactic cast of characters - as written by Earth's Richard Rider, the Nova Prime! 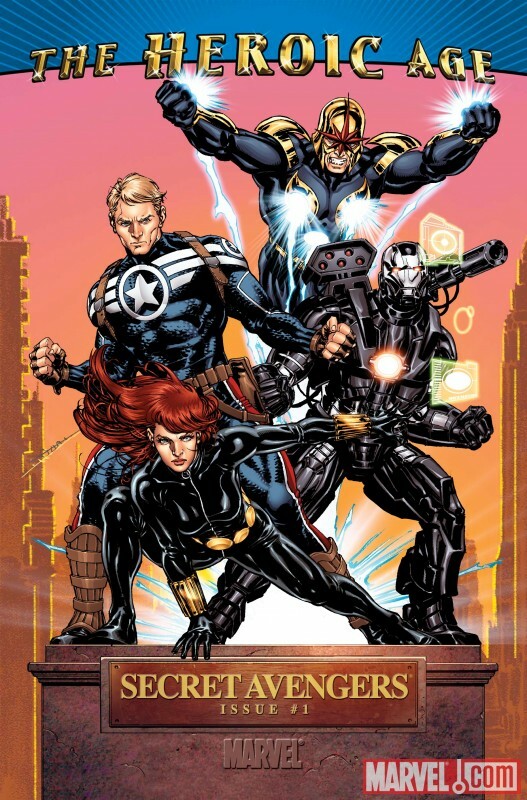 04/20/10 Secret Avengers #3 Solicitation! 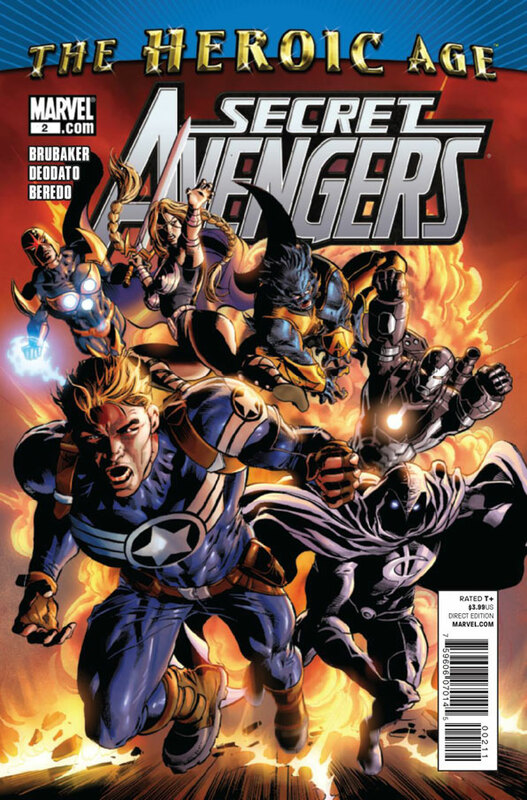 Secret Avengers #3 - Written by Ed Brubaker, pencils by Mike Deodato with cover by Marko Djurdjevic. Variant cover by Mike Deodato. What hides in the depths of the red planet? How does it link to the Shadow Empire lurking behind the scenes in America for nearly 150 years? And will our heroes be able to save one of their own? 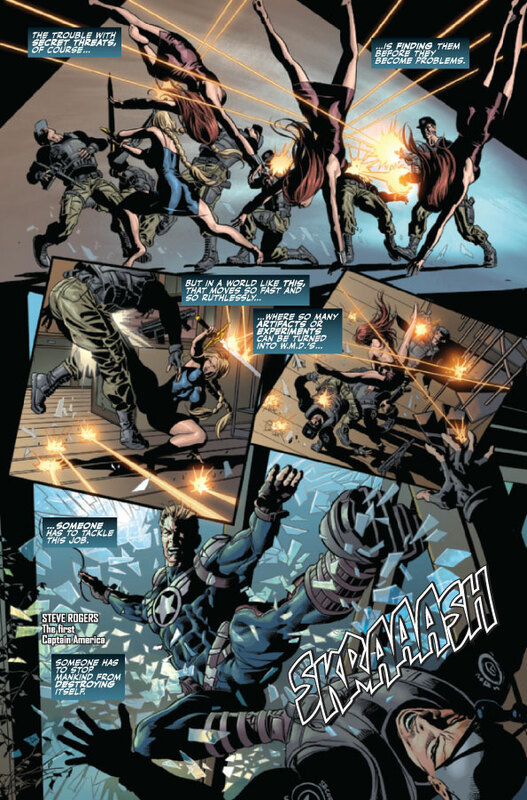 The Secret Avengers duo Ed Brubaker and Mike Deodato bring the action. 04/20/10 Super Heroes #4 Solicitation! Super Heroes #4 - Written by Paul Tobin, pencils by Ronan Cliquet with cover by Clayton Henry. 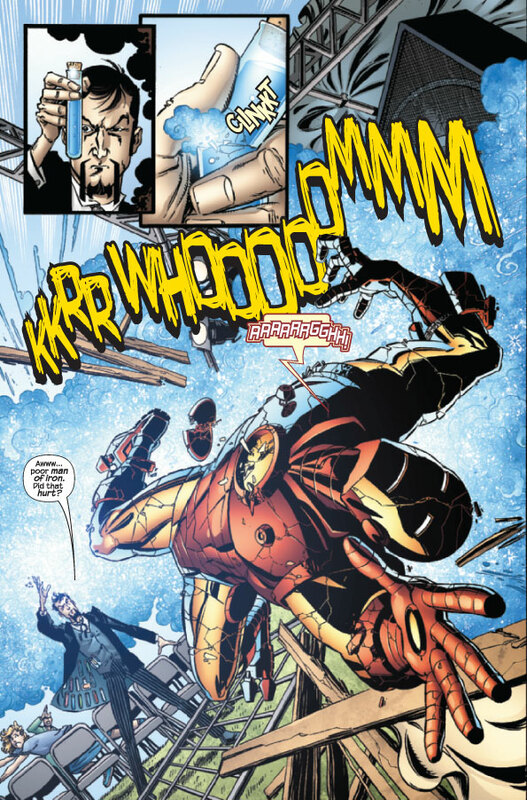 Kraven is hunting what might possibly be the world's Most Dangerous Prey, and what is certainly the most annoying... a certain Merc with a Mouth. 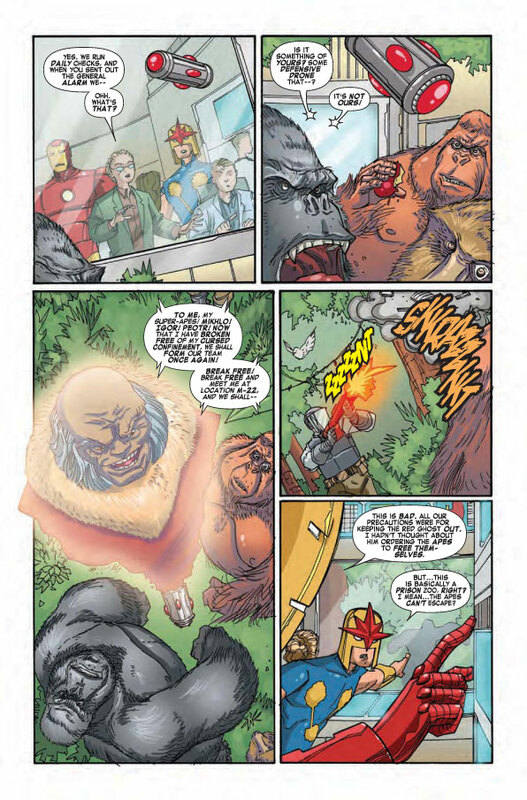 But when Kraven's anger gets the best of him, the situation quickly develops to where only the Avengers can possibly stop Kraven and his Trash-Talking Target from ripping New York wide open. 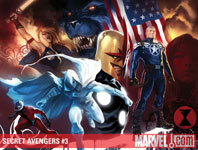 During the C2E2 convention in Chicago, Marvel released some artwork of the upcoming Secret Avengers title with Nova! 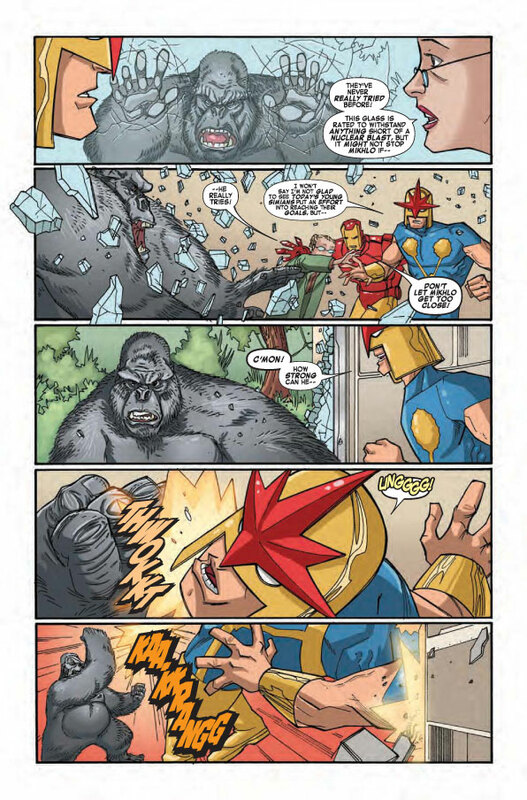 04/16/10 7 Preview Pages & Covers of Nova #36! 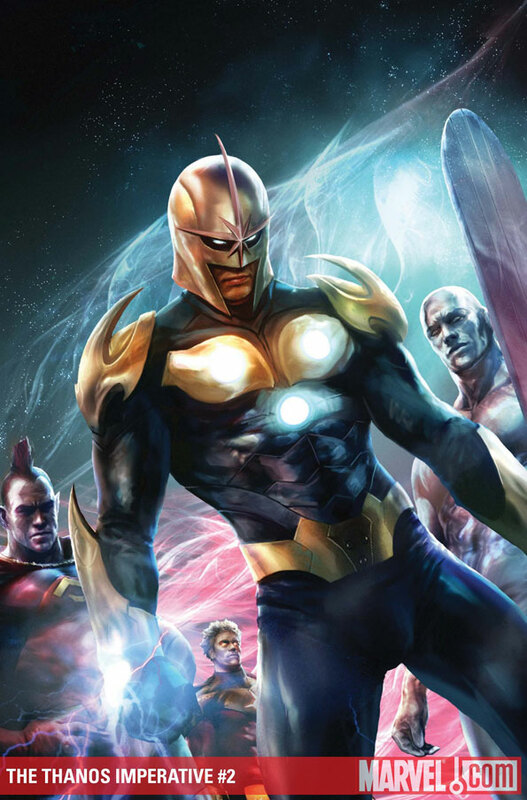 Marvel has provided seven preview pages along with the cover and variant cover from Nova #36! 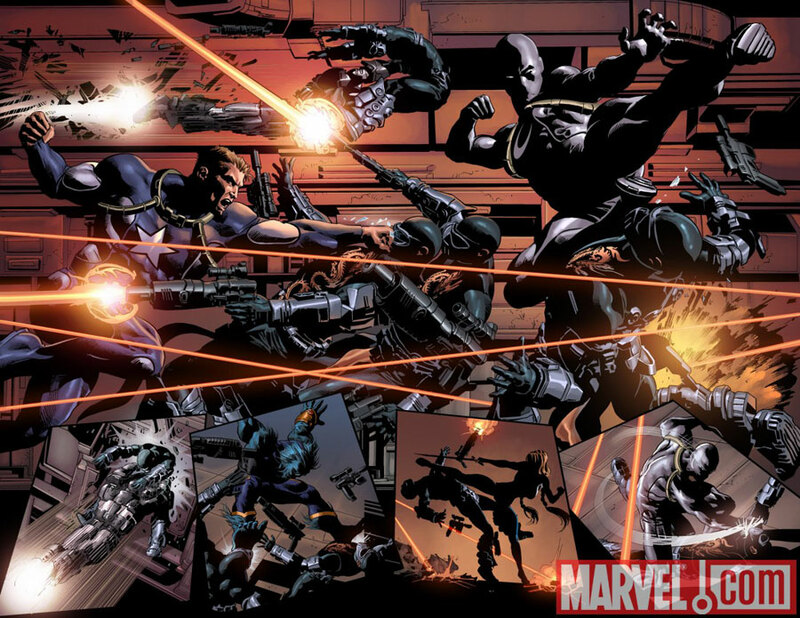 The issue is written by Dan Abnett & Andy Lanning, pencils by Andrea DiVito with cover by Mike Deodato. 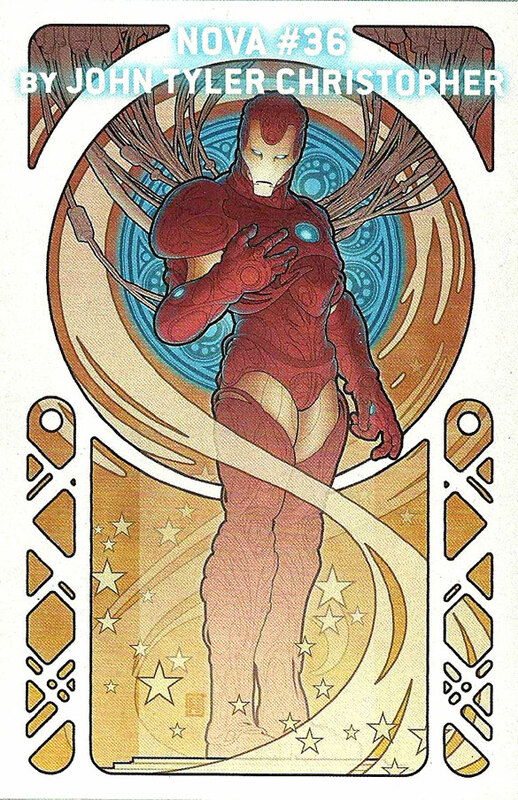 Iron Man By Design Variant by John Tyler Christopher. The issue is on sale April 21st! 04/14/10 Nova is a Secret Avenger! 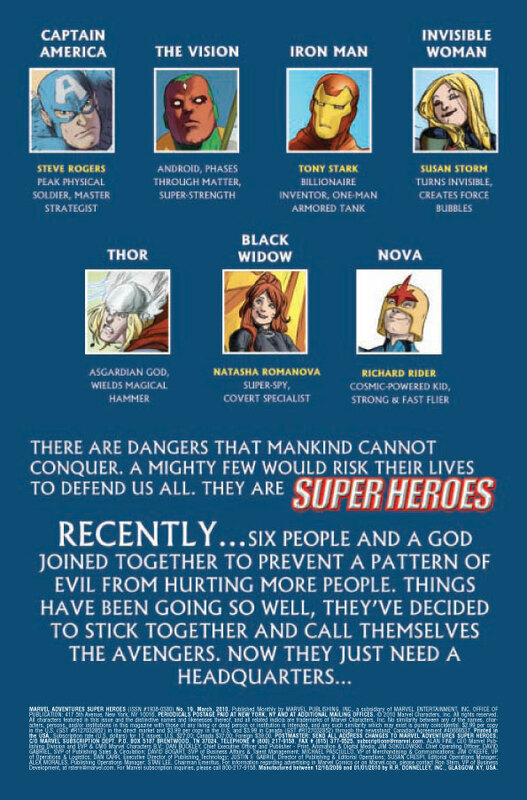 An ad for the new monthly series Secret Avengers shows Nova will be a member of the team! The title will be written by Ed Brubaker with art by Mike Deodato! Other members of the group include: Steve Rogers, War Machine, Valkyrie, Beast and Moon Knight. 04/13/10 Nova In Ult. 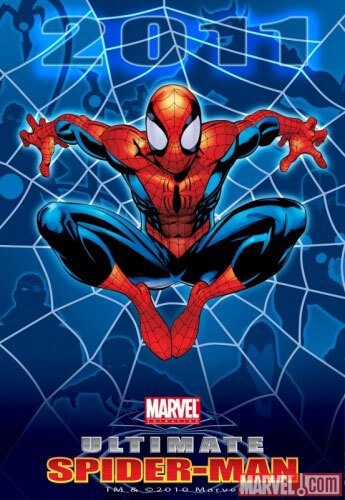 Spider-Man Animated Series! 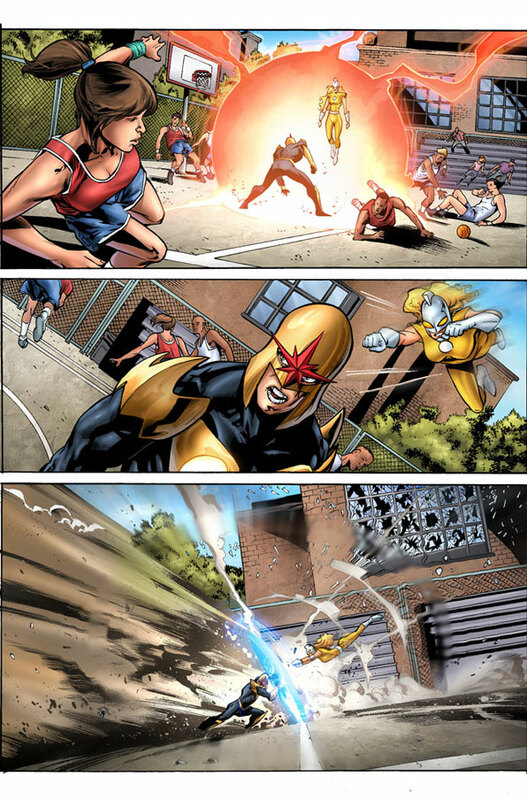 Nova will be one of the characters appearing in the new Ultimate Spider-Man animated series! The series is scheduled to begin in the fall of 2011 and will appear on the Disney XD Channel! 04/12/10 Sales Information for Nova #35! 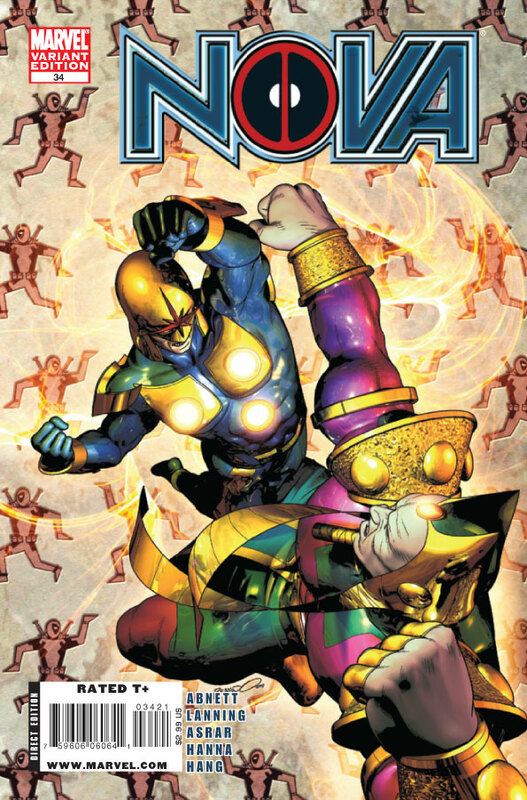 Nova #35 was ranked #98 according to sales numbers released by Diamond Comics Distributors. The estimated number of issues sold (according to ICv2.com) was 21,407. 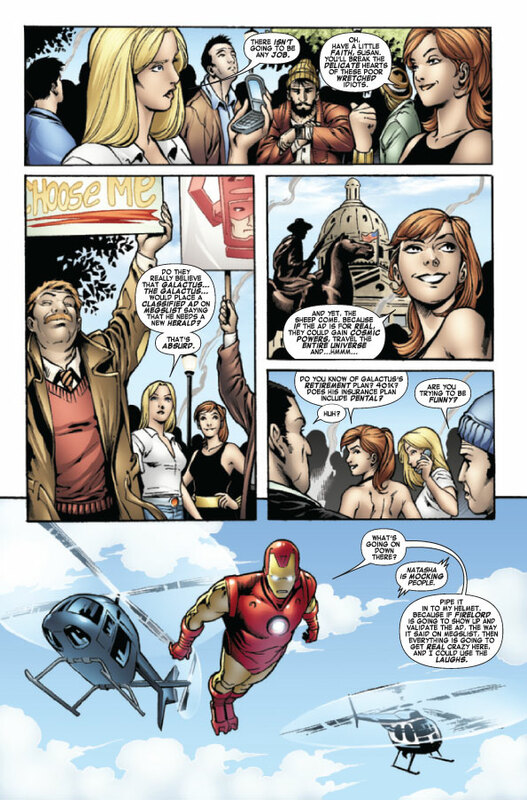 04/09/10 7 Preview Pages & Cover of Super Heroes #1! Marvel has provided seven preview pages along with the cover and variant cover from Super Heroes #1! The issue is written by Paul Tobin, pencils by Ronan Cliquet with cover by Clayton Henry. Variant cover by Todd Nauck. The issue is on sale April 14th! According to marvel.com, Nova #36's release date has been delayed two weeks until April 21st. 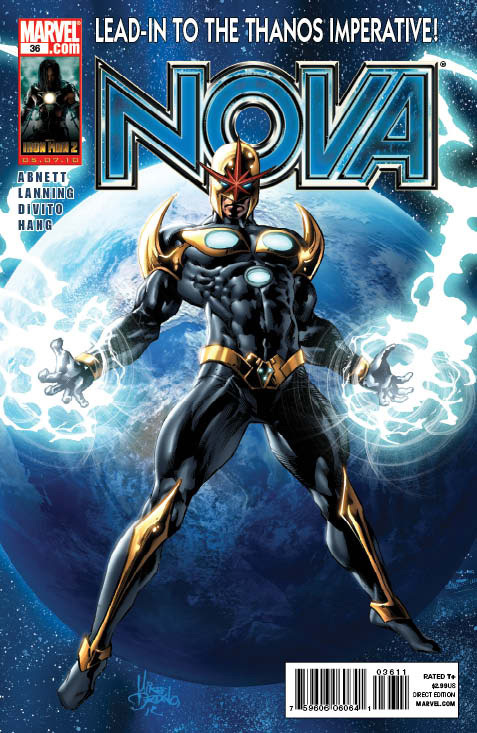 03/30/10 Cover to Nova #36! 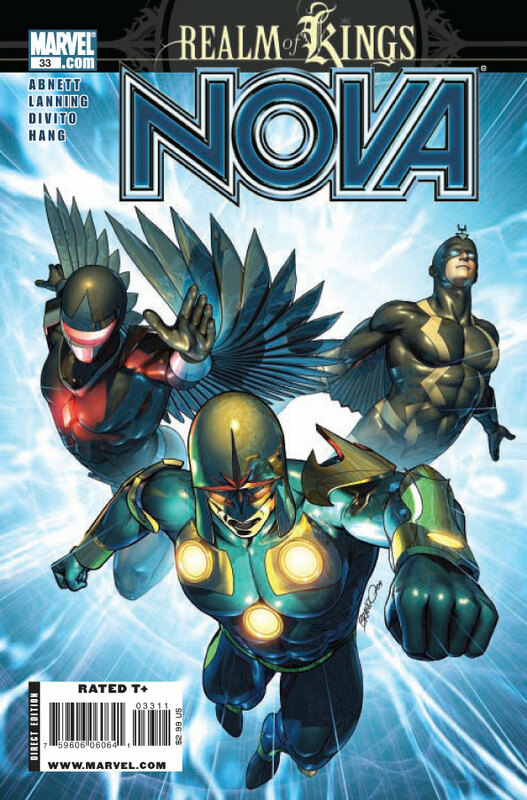 Nova's editor, Bill Rosemann, has provided the cover from Nova #36 complete with logos! 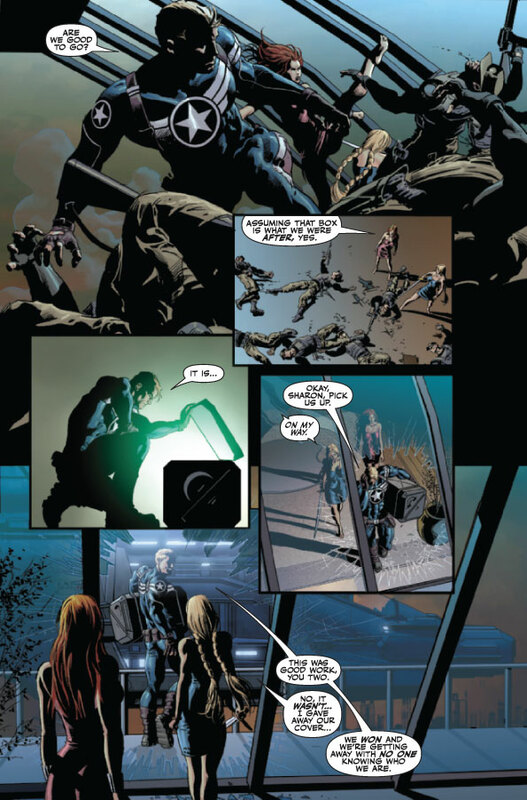 The issue is written by Dan Abnett and Andy Lanning, art by Andrea DiVito with cover by Mike Deodato. The issue is on sale April 7th! Special Thanks to Bill Rosemann for the scan! 03/23/10 Thanos Imperative #1 Solicitation! 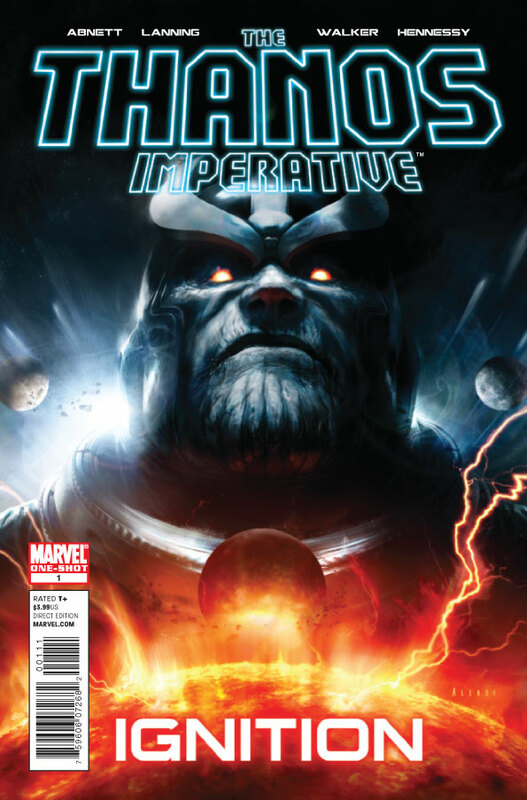 The Thanos Imperative #1 (of 6) - Written by Dan Abnett & Andy Lanning, pencils by Miguel Sepulveda with cover by Aleksi Briclot. THE NEXT HUGE MARVEL COSMIC EVENT IS HERE! 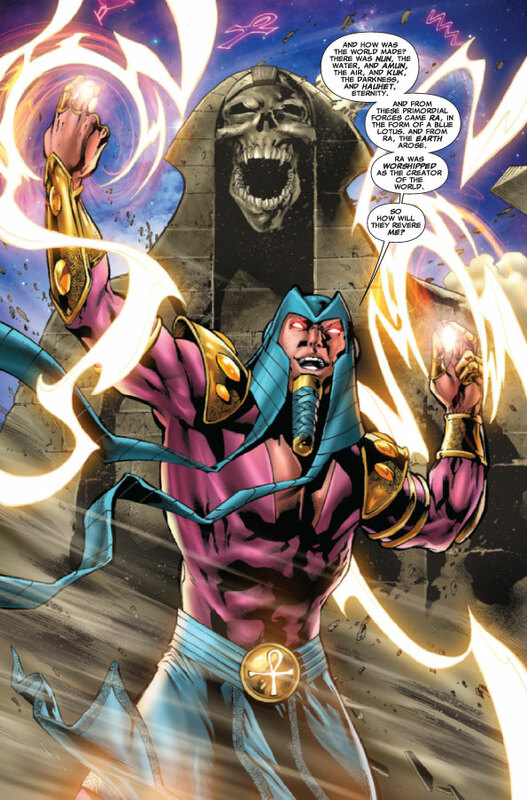 The dangerous and mysterious fissure known as The Fault has opened, and the dark forces of a rival universe where there is no death are pouring through to claim ours! 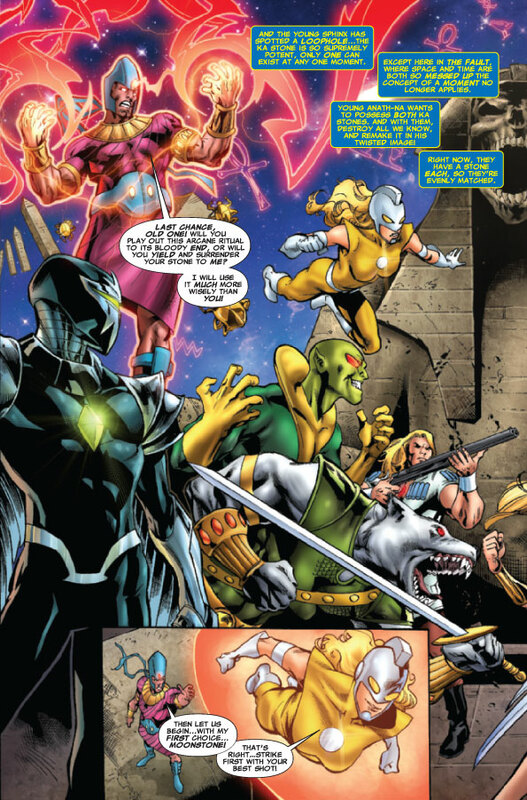 Nova, The Silver Surfer, Quasar, Gladiator and more of the greatest cosmic champions of the Marvel Universal line up to stop them, but it could be more than even they can handle. 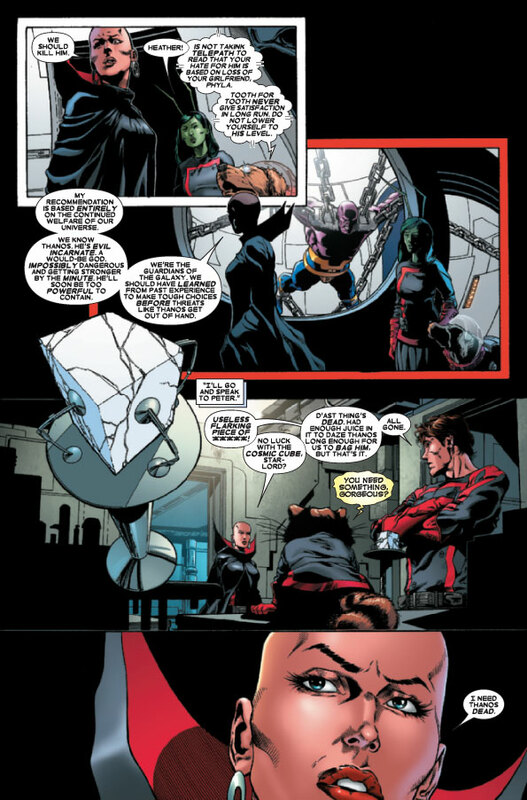 Luckily, Star-Lord, Rocket Raccoon and some of the galaxy's underdog, never-say-die heroes have a plan. It's a crazy plan. It's called....Thanos! 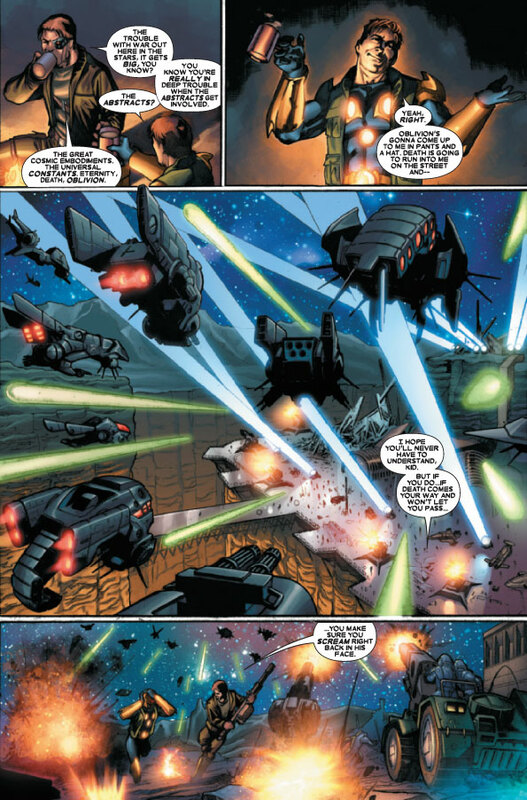 Welcome to the end of everything, brought to you by acclaimed writers Dan Abnett and Andy Lanning and superstar artist Miguel Sepulveda (THUNDERBOLTS)! 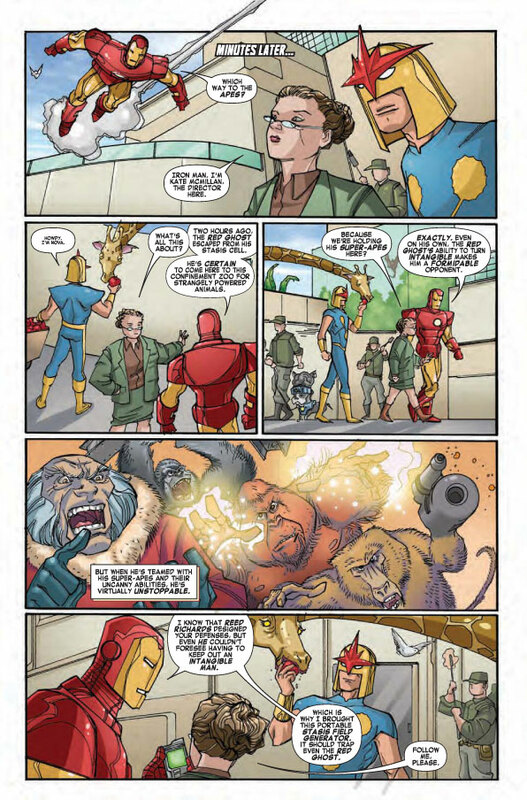 So grab your blaster and find out why critics like Ain't It Cool News raves "(Dan Abnett and Andy Lanning) succeed in producing the most entertaining super hero comic books on the stands today." 03/23/10 Super Heroes #3 Solicitation! Super Heroes #3 - Written by Paul Tobin, pencils by Ronan Cliquet with cover by Clayton Henry. A girlfriend for the Vision? 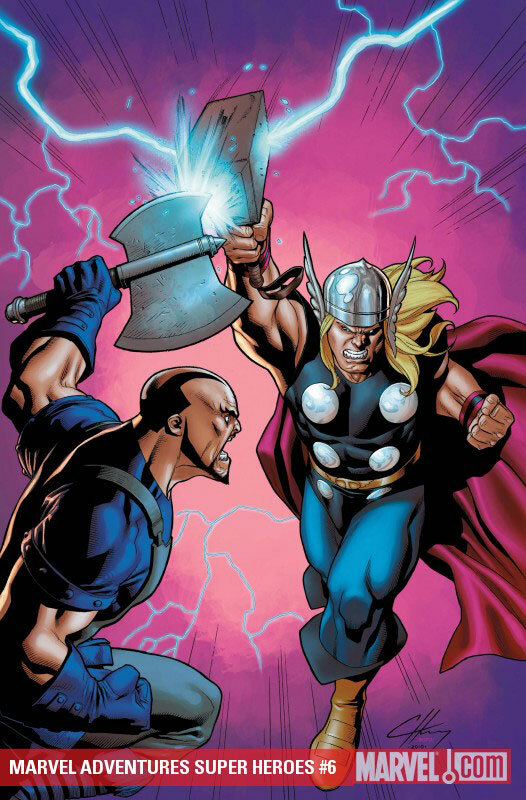 Diplomatic immunity for Thor? It looks like things are finally going right for the Avengers. 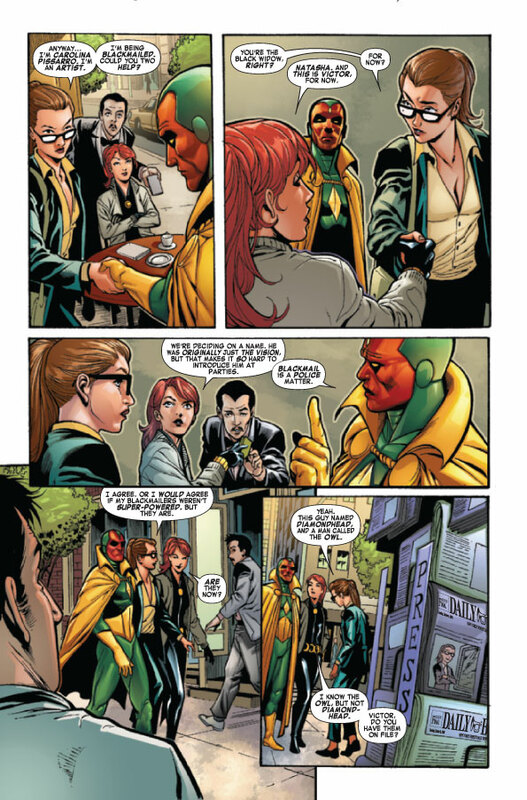 Unless you count how the Vision's girlfriend is a criminal being blackmailed by a brutal villain composed entirely out of diamonds, and his high-flying horrifying crime-lord acquaintance. 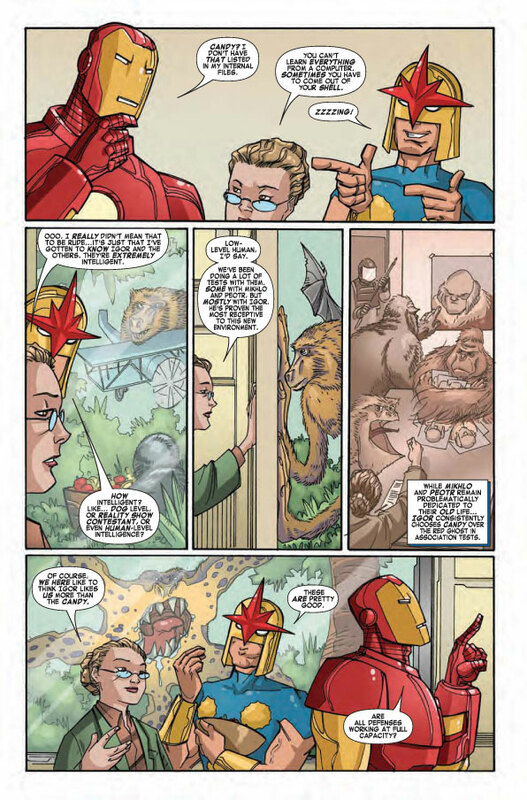 It's the Avengers vs. Diamondhead & the Owl, with the fate of the Vision at stake! 03/18/10 Nova #36's Iron Man Variant - Updated! 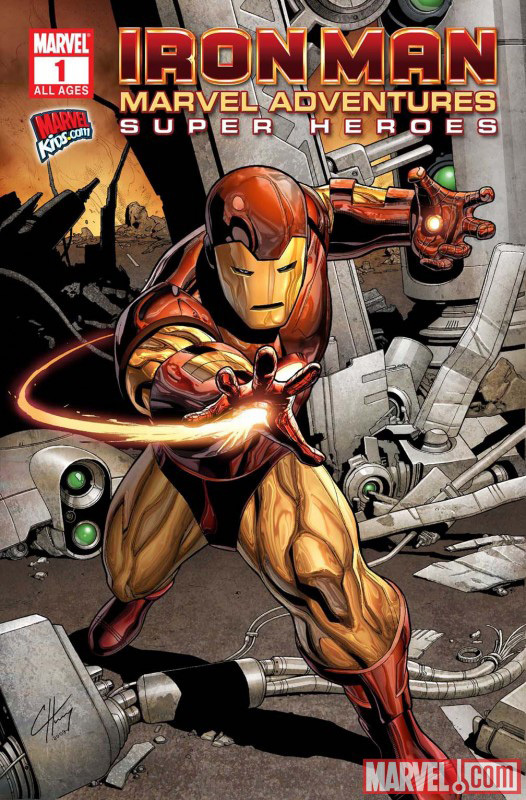 Marvel has released the artwork for the Iron Man by Design variant cover of Nova #36 complete with logo! The cover art is done by John Tyler Christopher. The issue goes on sale April 7th. 03/17/10 Sales Information for MASH #20! Marvel Adventures Super Heroes #20 was ranked #274 according to sales numbers released by Diamond Comics Distributors. The estimated number of issues sold (according to ICv2.com) was 3,008. 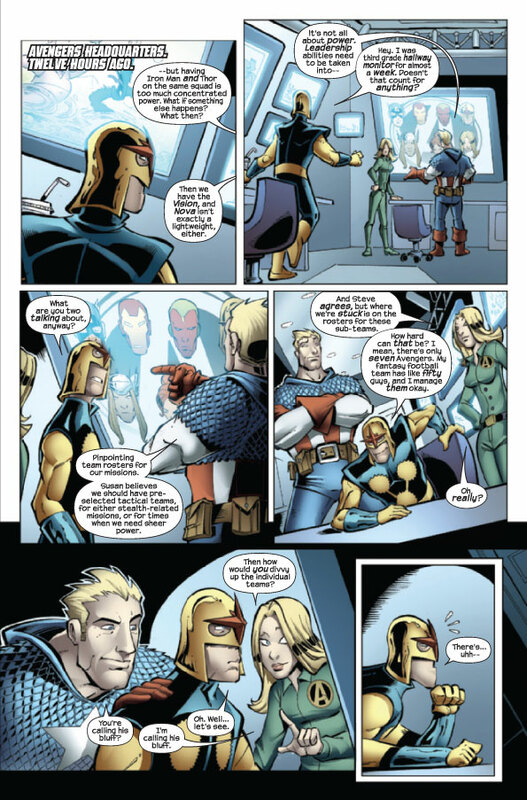 03/12/10 Seven Preview Pages & Cover of Nova #35! Marvel has provided seven preview pages along with the cover from Nova #35! The issue is written by Dan Abnett and Andy Lanning, art by Mahmud A. Asrar with cover by Brandon Peterson. The issue is on sale March 17th! 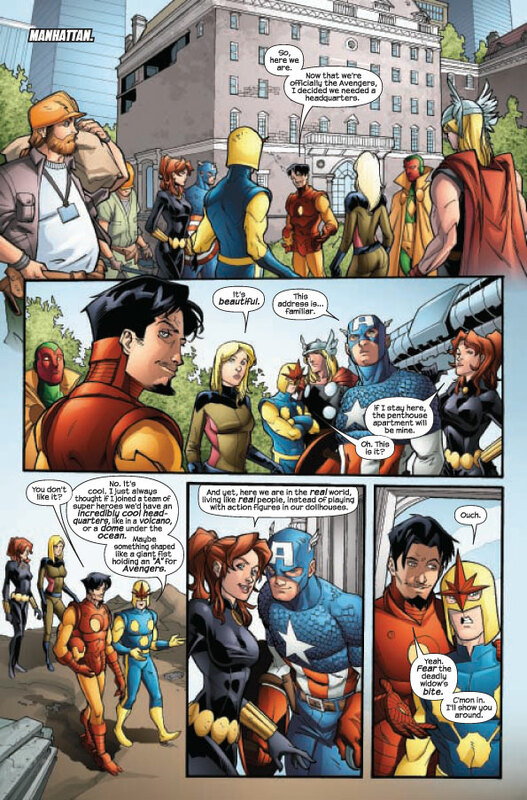 03/10/10 Nova In The Super Hero Squad Season 2! Nova is scheduled to appear in season 2 of Marvel's animated TV series 'The Super Hero Squad'! The second season is scheduled to begin in late 2010 on The Cartoon Network. Special Thanks to Lance Wright for the heads-up! 03/09/10 Sales Information for Nova #34! 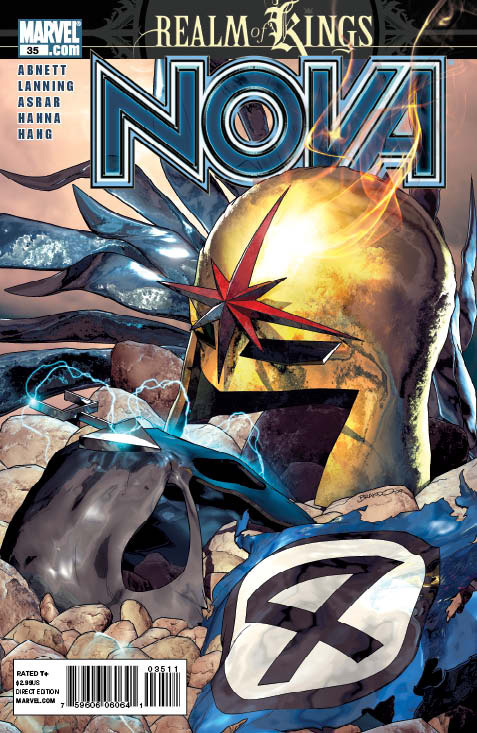 Nova #34 was ranked #79 according to sales numbers released by Diamond Comics Distributors. The estimated number of issues sold (according to ICv2.com) was 23,014. 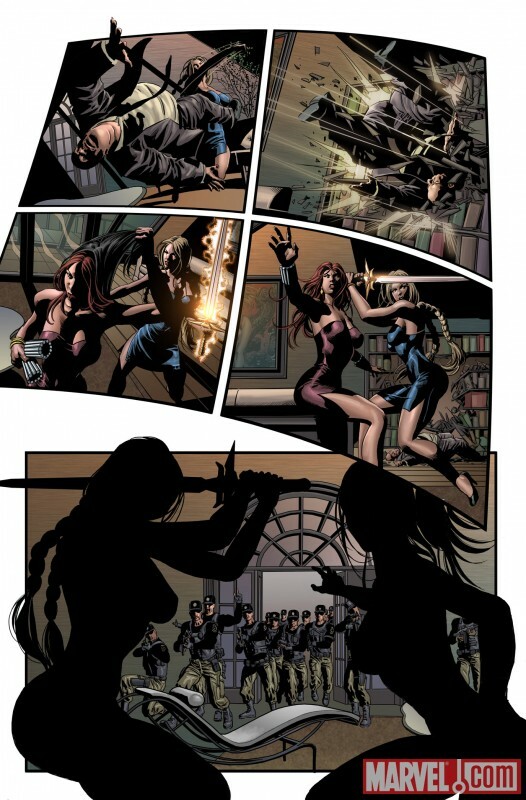 The question was: "The Garthan Saal who rescued Malik Tarcel is..."
03/05/10 Seven Preview Pages & Cover of MASH #21! Marvel has provided seven preview pages along with the cover from Marvel Adventures Super Heroes #21! 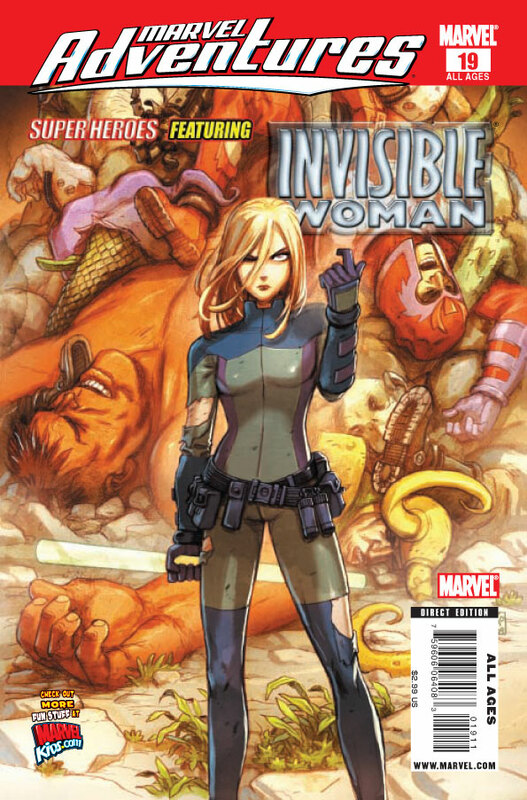 The issue is written by Paul Tobin, art by Esdras Cristobal with cover by Clay Henry. The issue is on sale March 10th! 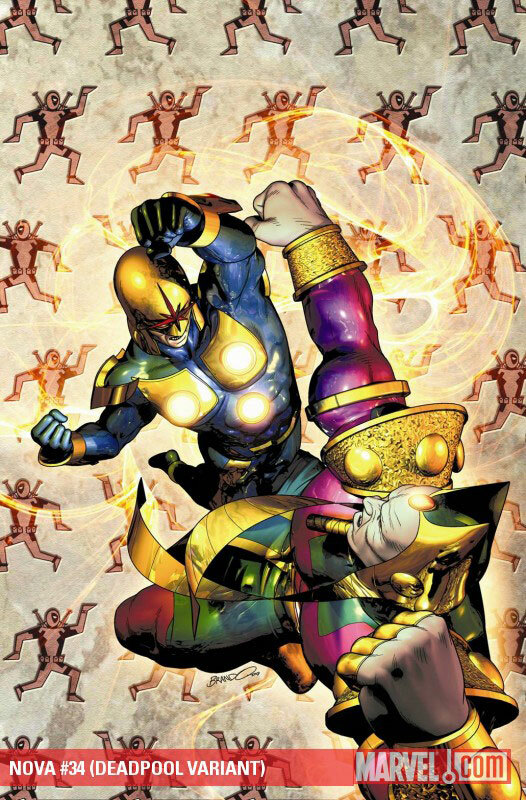 03/04/10 The Thanos Imperative Mini-Series In June! Marvel has revealed that Nova and Starlord will be the main characters of the upcoming mini-series 'The Thanos Imperative'! 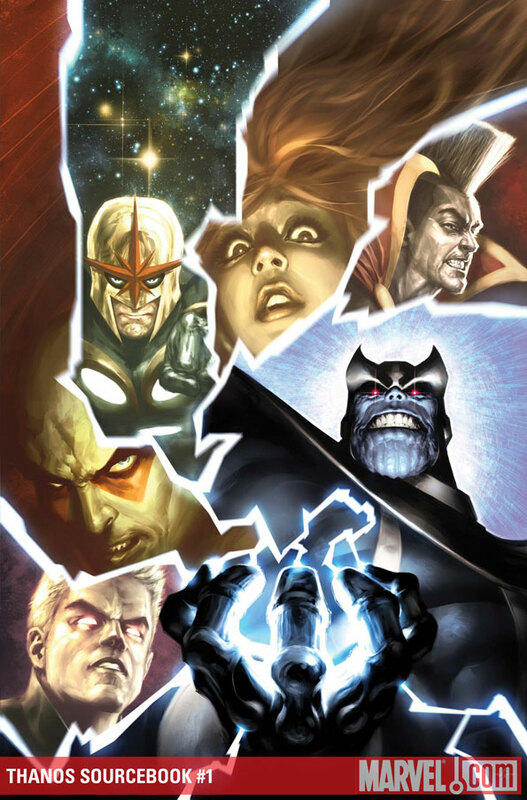 The event begins in May with the one-shot 'The Thanos Imperative: Ignition' followed by a six issue mini-series in June. 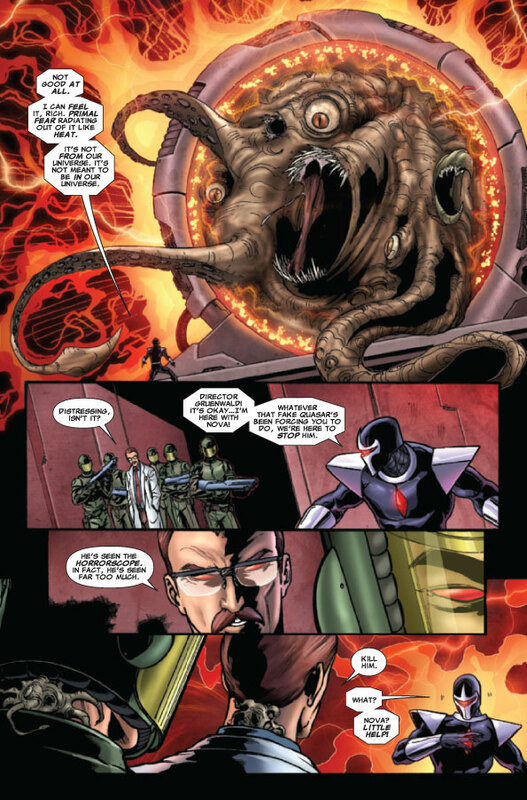 The series is written by Dan Abnett and Andy Lanning with art by Miguel Sepulveda. During the event, the Nova and Guardians of the Galaxy titles will be on hiatus. 02/25/10 6 Pages & Cover of Iron Man: Supernova #1! 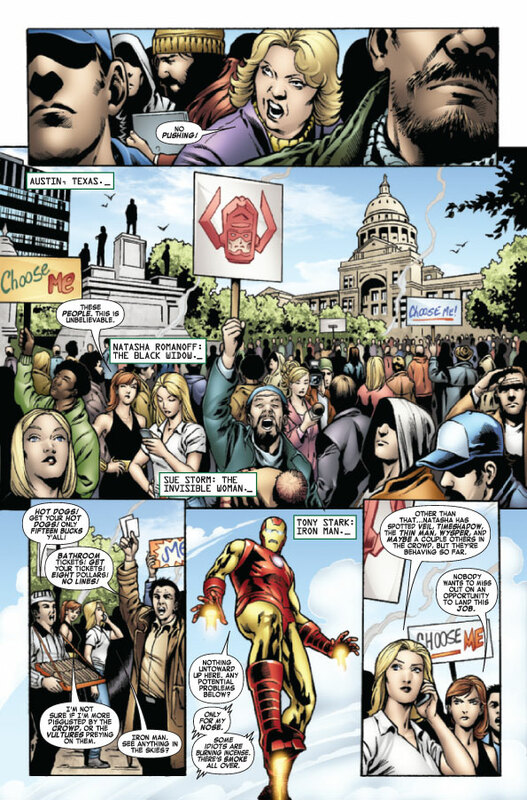 Marvel has released six preview pages along with the cover from Free Comic Book Day 2010 (Iron Man: Supernova) #1! 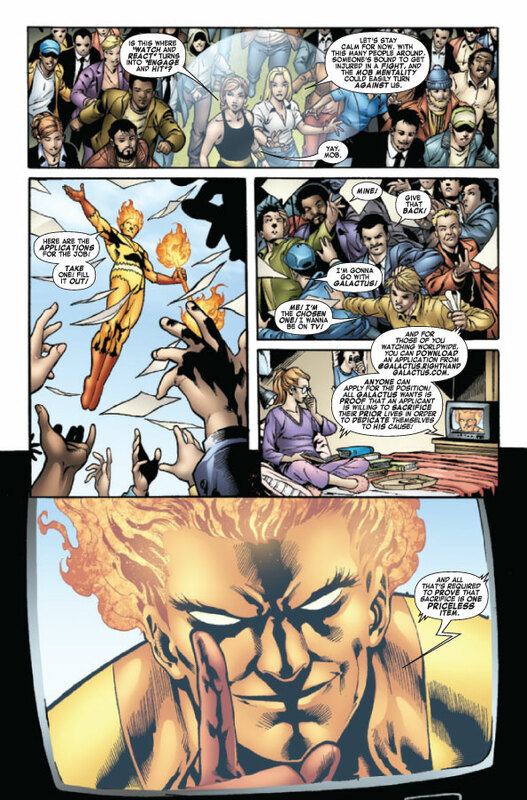 The issue is written by Paul Tobin, pencils by Craig Rousseau with cover by Ed McGuinness. The issue is available May 1st! According to marvel.com, Nova #35's release date has been delayed two weeks until March 17th. 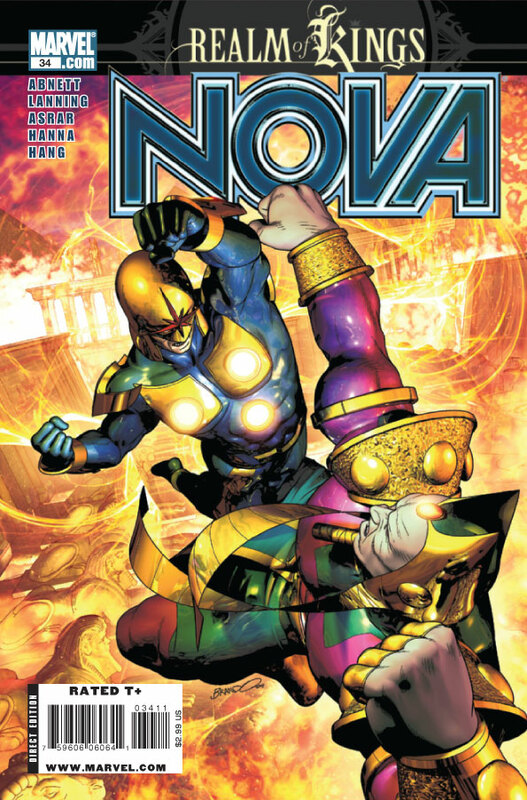 02/23/10 Cover to Nova #35! 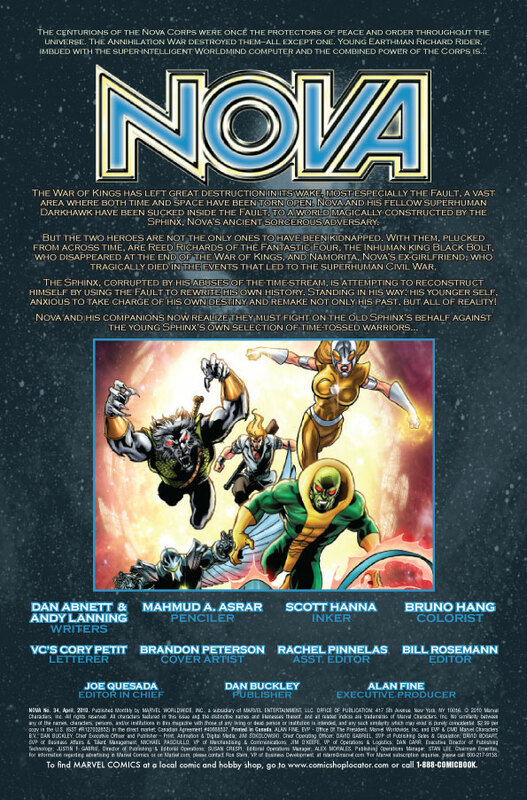 Nova's editor, Bill Rosemann, has provided the cover from Nova #35 complete with logos! The issue is on sale March 3rd! 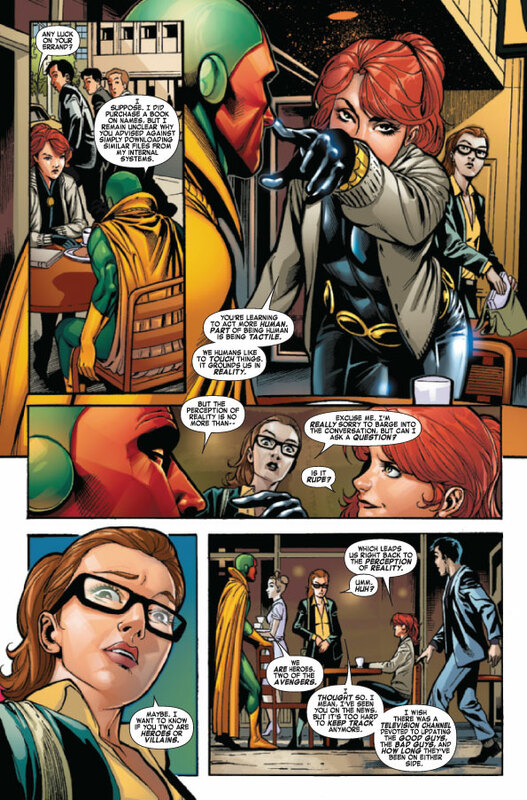 Nova appears on the cover to Prelude to Deadpool Corps #2. The cover art is by Dave Johnson. The issue goes on sale March 10th. Special Thanks to Mitchell Berry for the heads-up! 02/16/10 Thanos Imperative: Ignition Solicitation! The Thanos Imperative: Ignition - Written by Dan Abnett & Andy Lanning, pencils by Brad Walker with cover by Aleksi Briclot. Thanos is back! On one side you have the Marvel Universe's #1 threat! On the other: a dark new force determined to obliterate everyone! 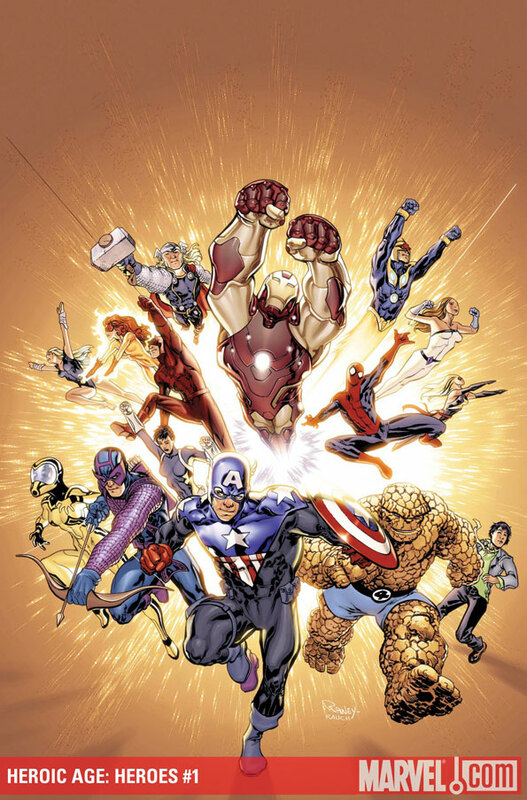 In the middle are the outnumbered and battle-hardened heroes that stand between us and complete decimation! A war has ignited which will combine the galaxy's most dedicated warriors with a collection of heroes that you never saw coming! It's a battle that will span the cosmos, deliver major shocks, and will prove to you why IGN proclaims "Dan Abnett and Andy Lanning can seemingly do no wrong" and Aint It Cool News raves that Abnett and Lanning consistently deliver "terrific action, interesting character development, and some pretty good jokes all rolled into one amazing package." 02/16/10 Super Heroes #2 Solicitation! Super Heroes #2 - Written by Paul Tobin, pencils by Ronan Cliquet with cover by Clayton Henry. Who will be the new herald of Galactus? It seems the devourer of Worlds is in need of a new right hand and thousands of frenzied would-be-heralds are out to prove they are up for the task. Can Thor, Iron Man, the Black Widow and the Invisible Woman stem the tide of mayhem, and uncover the truth behind Galactus' call? 02/15/10 Sales Information for MASH #19! Marvel Adventures Super Heroes #19 was ranked #281 according to sales numbers released by Diamond Comics Distributors. The estimated number of issues sold (according to ICv2.com) was 3,103. 02/15/10 Sales Information for Nova #33! Nova #33 was ranked #91 according to sales numbers released by Diamond Comics Distributors. The estimated number of issues sold (according to ICv2.com) was 21,841. 02/13/10 Three Penciled Pages of Nova #35! 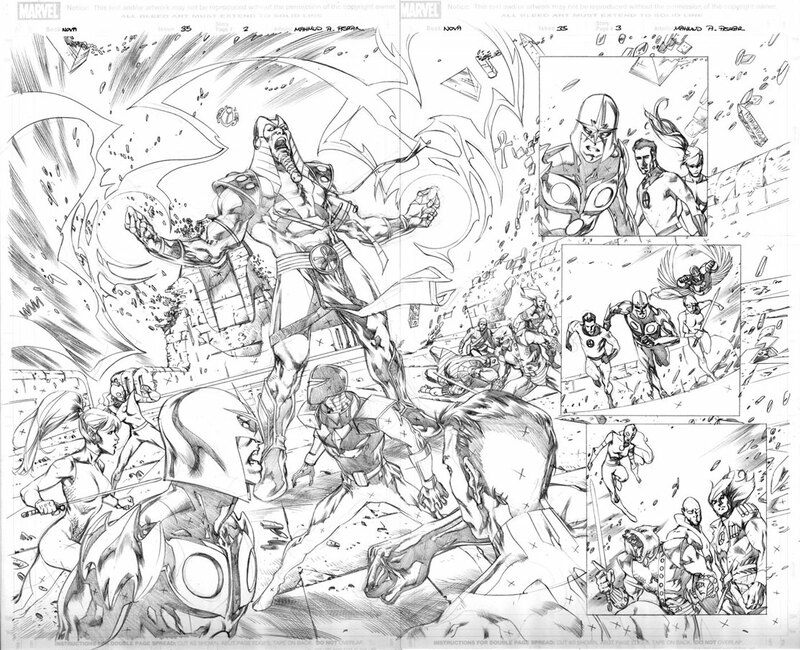 Nova's editor, Bill Rosemann, has provided three penciled pages from Nova #35! Special Thanks to Bill Rosemann for the scans! 02/05/10 Six Preview Pages & Cover of MASH #20! Marvel has provided six preview pages along with the cover from Marvel Adventures Super Heroes #20! The issue is written by Paul Tobin, pencils by Ig Guara with cover by Chris Samnee. The issue is on sale February 10th! 01/29/10 Nova #36's Iron Man Variant Cover! 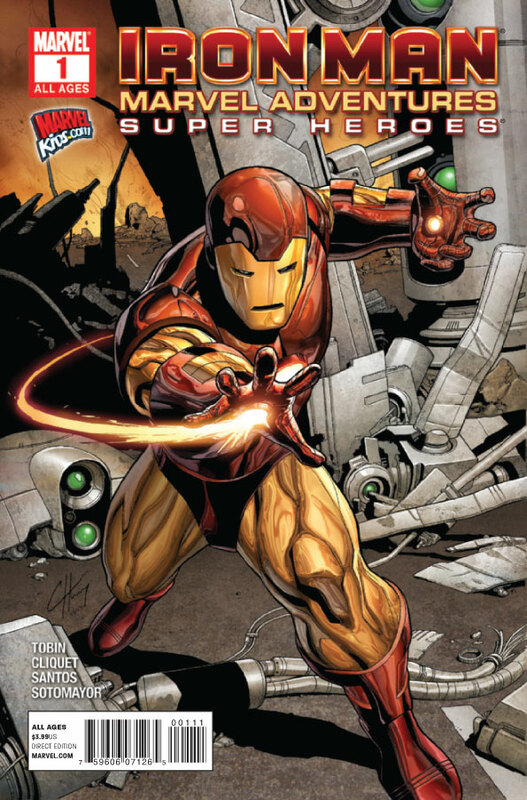 Marvel has released the artwork for the Iron Man by Design variant cover of Nova #36! 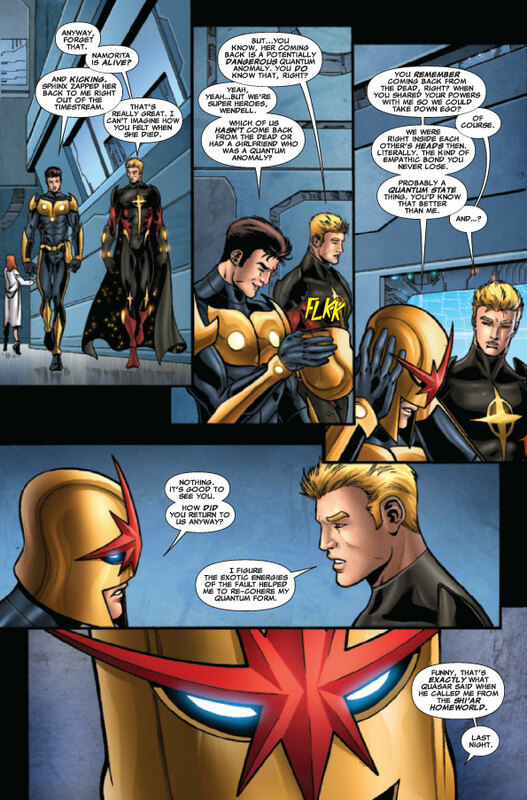 01/29/10 Six Preview Pages & Covers of Nova #34! 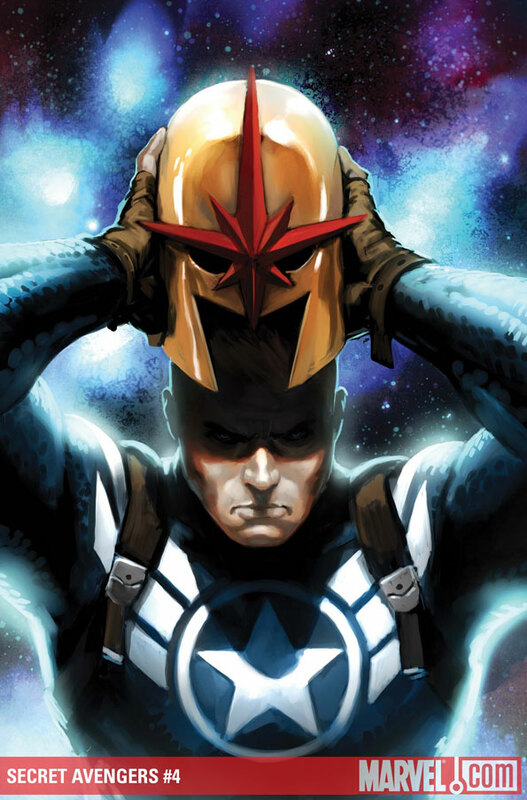 Marvel has provided six preview pages along with the cover (and variant) from Nova #34! The issue is written by Dan Abnett and Andy Lanning, art by Mahmud A. Asrar with covers by Brandon Peterson. The issue is on sale February 3rd! 01/25/10 Nova #34's Deadpool Variant Cover! Marvel has released the artwork for the Deadpool variant cover of Nova #34! 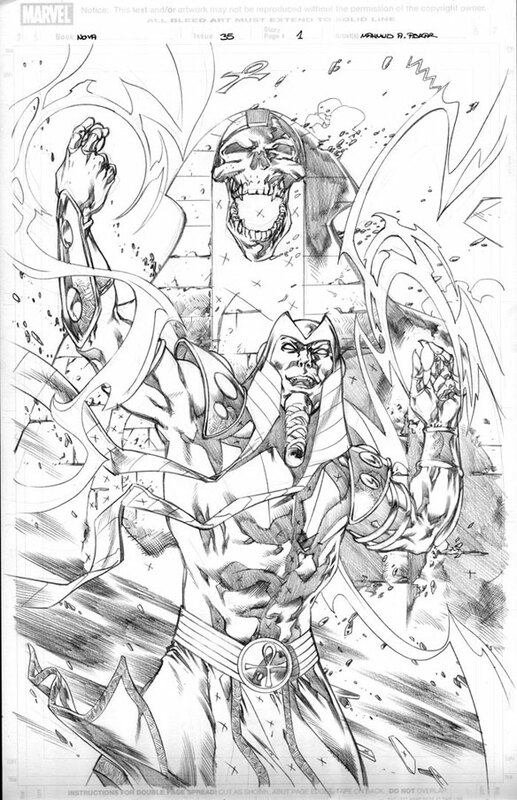 It has the Nova/Sphinx battle featured on the standard cover for #34, however it has Deadpool in hieroglyph form in the background. The cover is available in a 1:15 ratio (one variant for every 15 standard copies ordered). 01/21/10 Three Preview Pages of Nova #34! 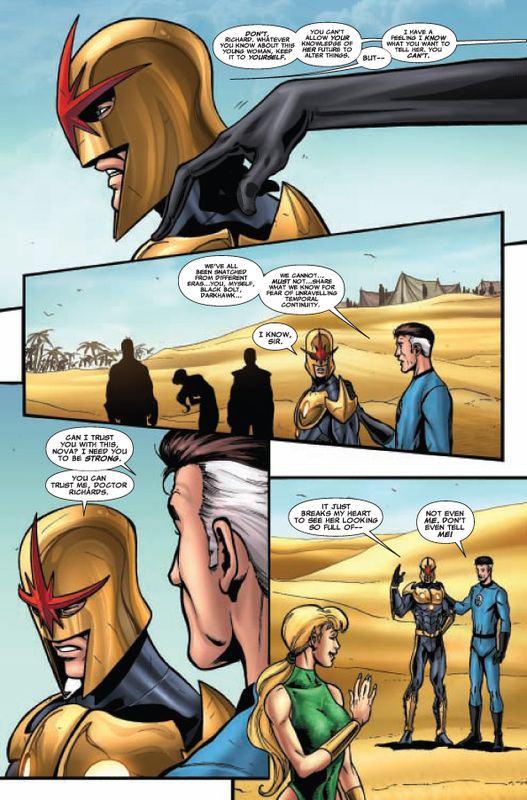 Nova's editor, Bill Rosemann, has provided three preview pages from Nova #34! 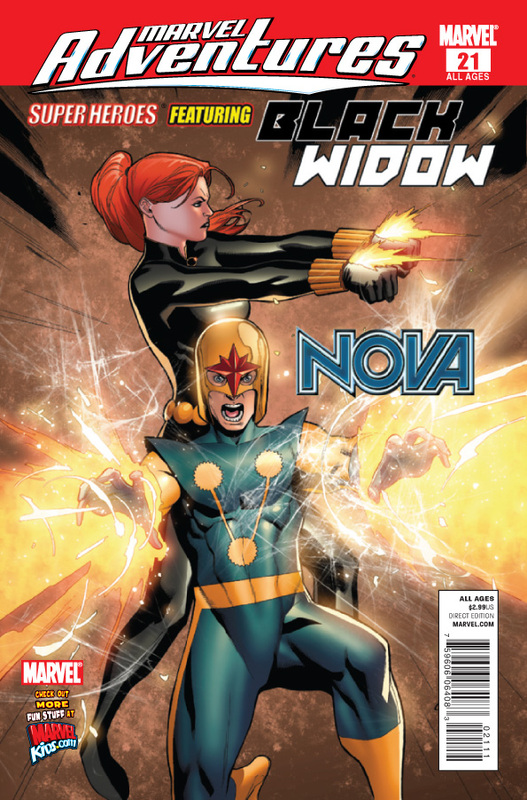 Nova #36 - Written by Dan Abnett & Andy Lanning, pencils by Andrea DiVito with cover by Mike Deodato. 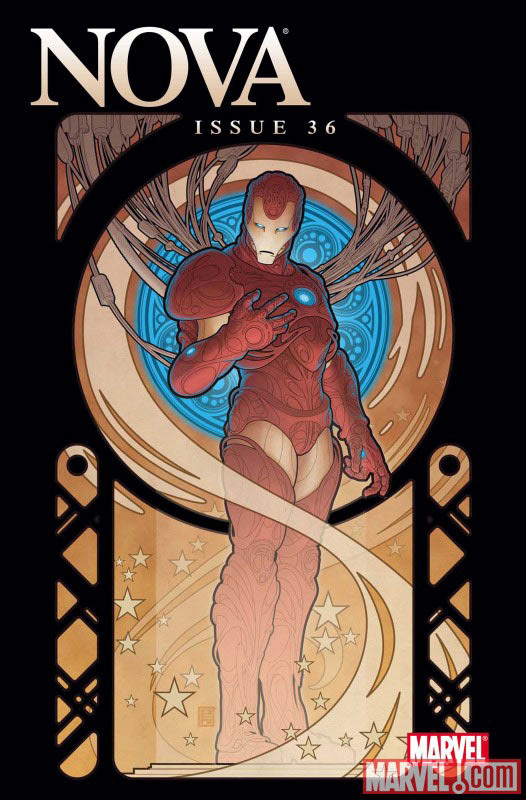 Iron Man By Design Variant by John Tyler Christopher. After months away, Nova finally returns to Earth! The Human Rocket and his cosmic comrades Darkhawk and Quasar return home with a dire warning about the monstrous threat about to emerge from The Fault! 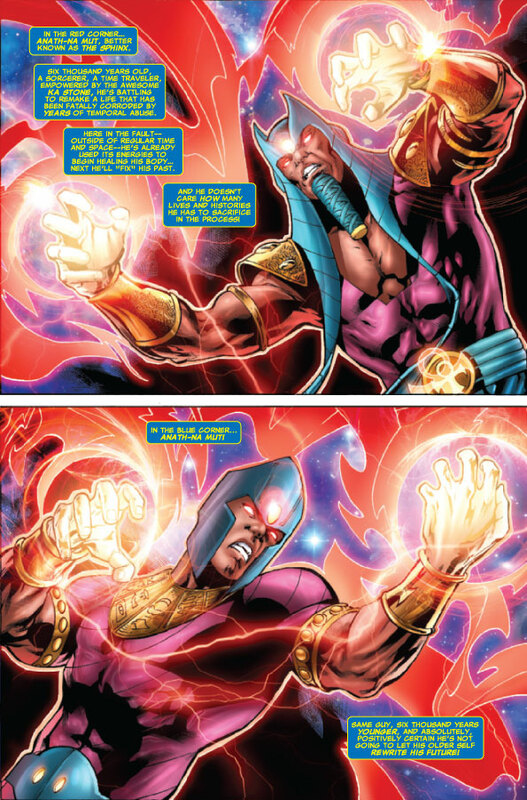 But there's a problem on Earth...remember that red-eyed Quasar seen on the last page of the REALM OF KINGS one-shot? A twisted version of the Protector of the Universe born in The Fault, he will do everything he can to stop the warning getting through! Cosmic fans must read this issue of the book that WeeklyCrisis.com calls "simply awesome on all levels and should not be missed." 01/19/10 Super Heroes #1 Solicitation! 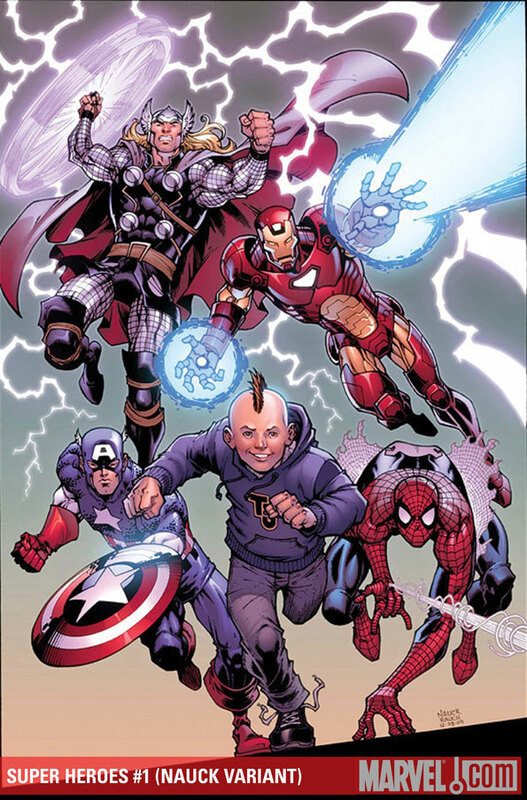 Marvel Adventures Super Heroes #1 - Written by Paul Tobin, pencils by Ronan Cliquet with cover by Clayton Henry. Variant cover by Todd Nauck. Captain America, Iron Man, the Black Widow, Thor, the Vision, Nova, and the Invisible Woman...a powerful collective of the greatest heroes the world has ever known. They are the Avengers, and they want it known they're here to stay. 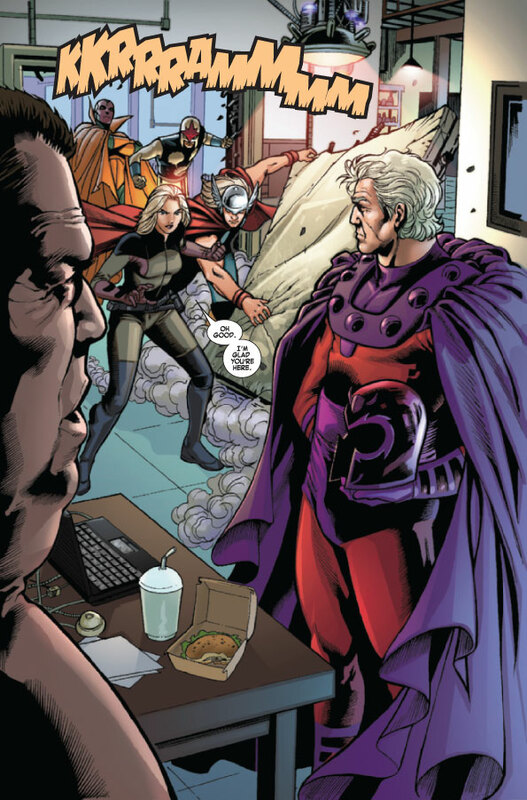 But when Magneto and his Brotherhood of Mutants threaten to destroy several major cities unless their demands for mutant supremacy are met, the Avengers are forced to quit looking to the future, and start hoping to live through the day! 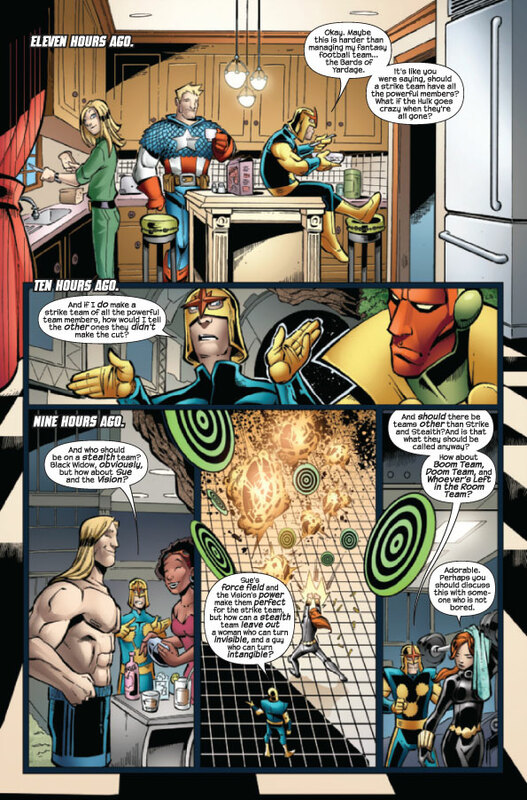 01/15/10 Six Preview Pages & Cover of Nova #33! Marvel has provided six preview pages along with the cover from Nova #33! 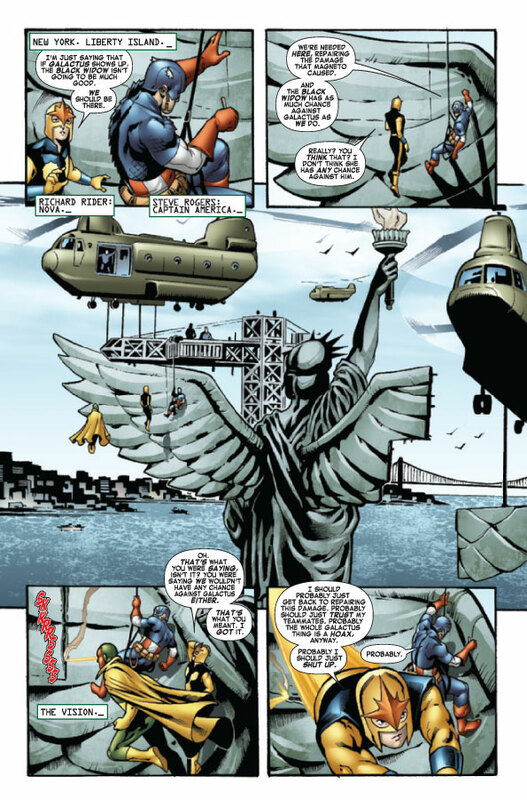 The issue is written by Dan Abnett and Andy Lanning, art by Andrea DiVito with cover by Brandon Peterson. The issue is on sale January 20th! 01/13/10 Marvel Adv. Super Heroes Relaunch! Super Heroes #1 - Written by Paul Tobin, pencils by Ronan Cliquet with cover by Clayton Henry. Variant cover by Todd Nauck. Following the final issue of Marvel Adventures Super Heroes #21, Marvel will relaunch the series in April! 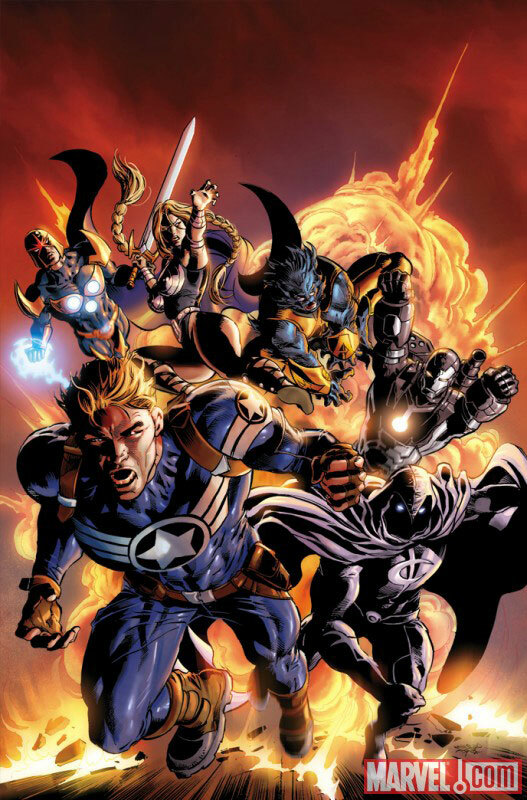 The title will continue to feature the same Avengers team. In the premiere issue, Super Heroes #1, the team will face Magneto's Brotherhood of Mutants! 01/12/10 Nova #32 Sales Ranking! 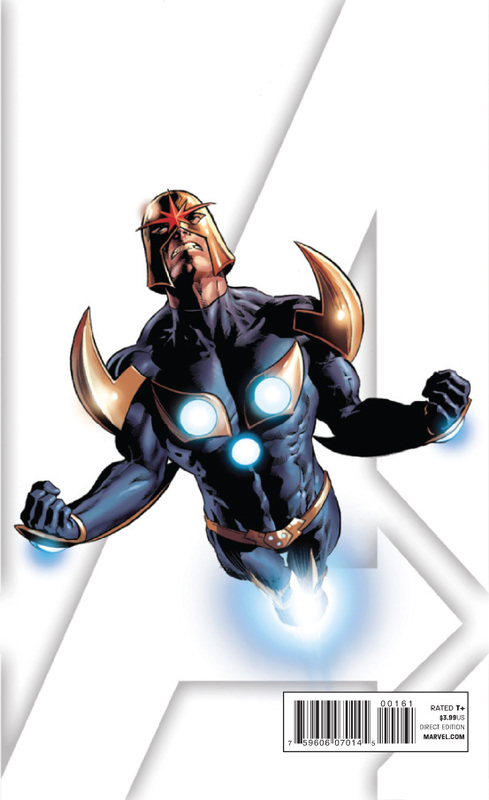 Nova #32 was ranked #100 according to sales numbers released by Diamond Comics Distributors. The estimated number of issues sold (according to ICv2.com) was 22,202. 01/08/10 7 Preview Pages & Cover of MASH #19! Marvel has provided seven preview pages along with the cover from Marvel Adventures Super Heroes #19! The issue is written by Paul Tobin, pencils by Ig Guara with cover by Niko Henrichon. The issue is on sale January 13th! 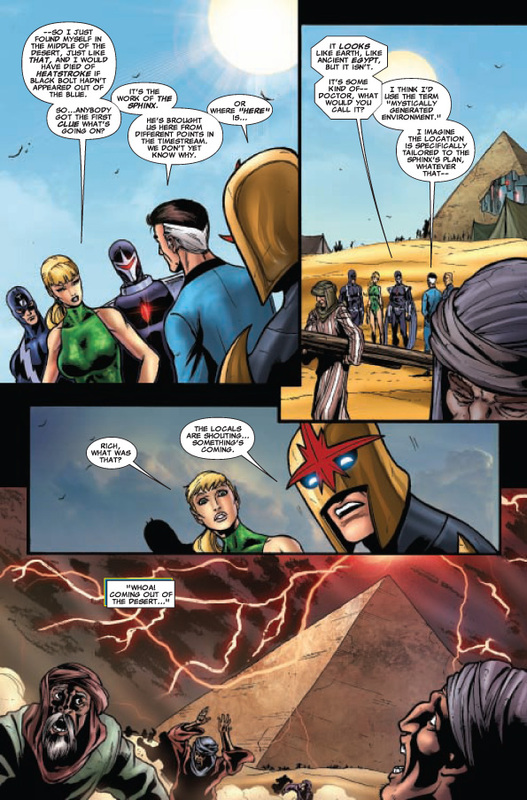 Nova #33's release date has been delayed two weeks until January 20th. 06/30 Added SHS Nova information to News. 06/30 Added Thanos Imp. #2 delay to News. 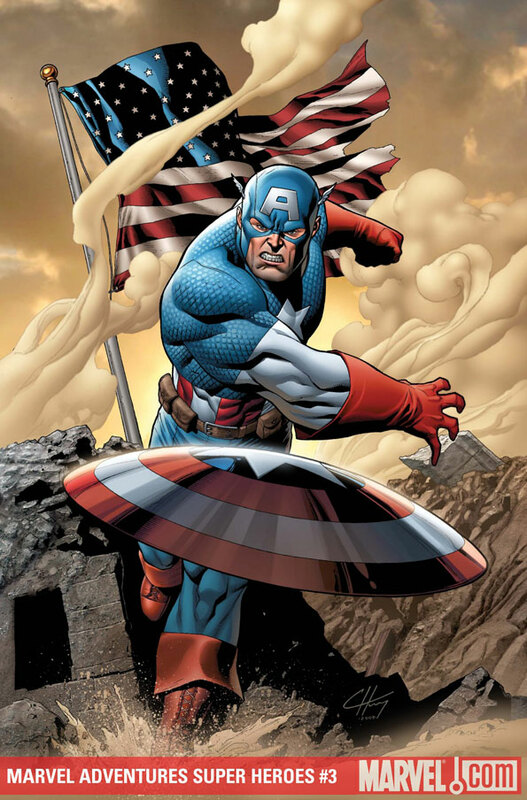 06/28 Added sales of Super Heroes #2 to News. 06/25 Added 6 pages of Sct. 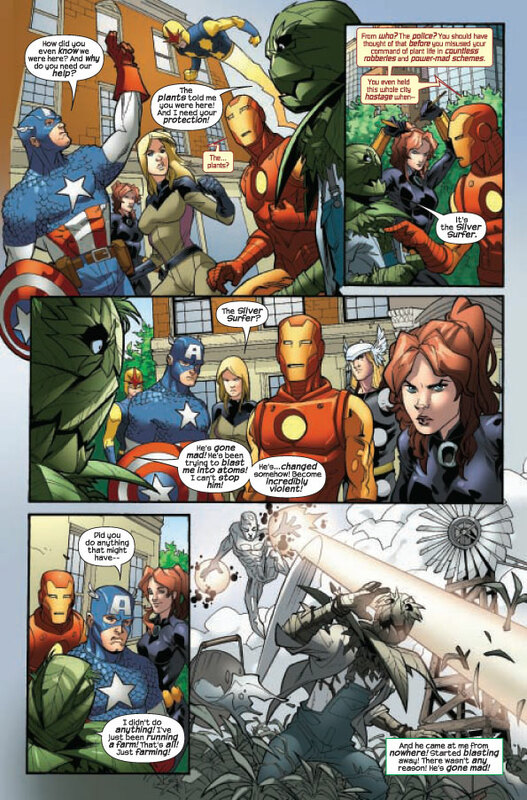 Avengers #2 to News. 06/23 Added summary of Sup. 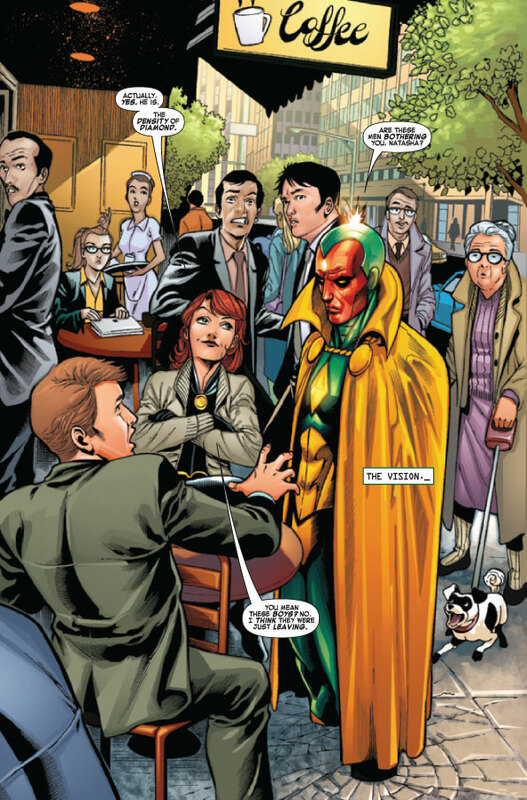 Heroes #3 to Issues. 06/23 Changed poll and posted results to News. 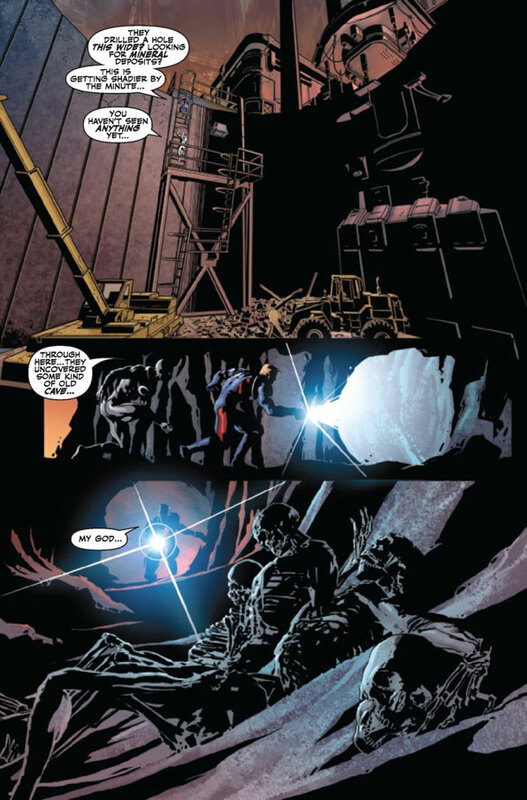 06/15 Added September solicitations to News. 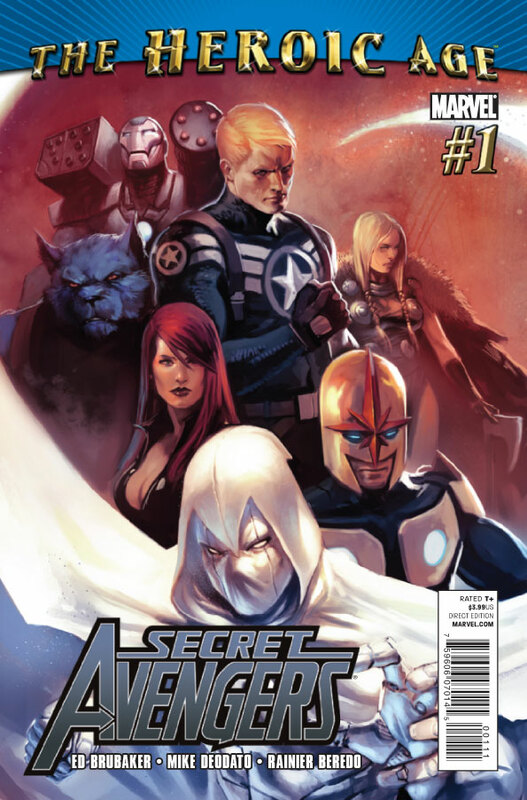 06/15 Added sales of Secret Avengers #1 to News. 06/15 Added sales of TI: Ignition to News. 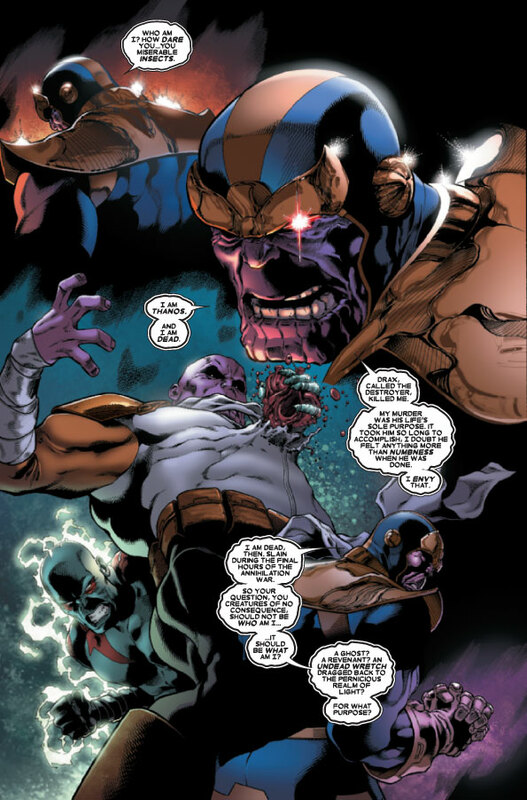 06/14 Added summary of Thanos Imperative #1. 06/14 Added Nova art to FanWorks. 06/14 Added Buscema card to Products/Cards. 06/14 Added two ads to House Ads. 06/14 Added giveaway to Unpublished. 06/14 Added Wizard #226 to News. 06/14 Added Orosco card to Sketchagraphs. 06/14 Added various comics to Checklist. 06/10 Added new episode to Creative/Podcasts. 06/08 Added variant of Sct. 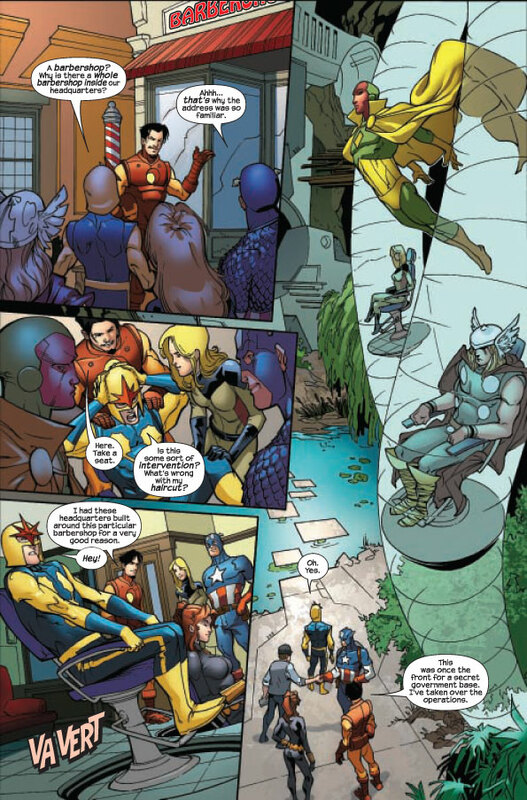 Avengers #4 to News. 06/08 Added Bill Rosemann quote to News. 06/08 Added summary of Thanos Imp. Ignition. 06/08 Added summary of Secret Avengers #1. 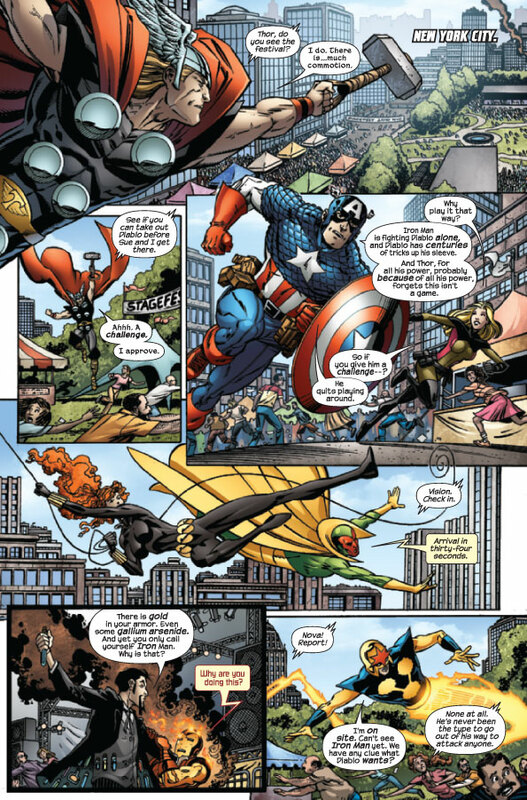 06/04 Added 6 pages of Super Heroes #3 to News. 06/03 Added 3 pages of Sct. 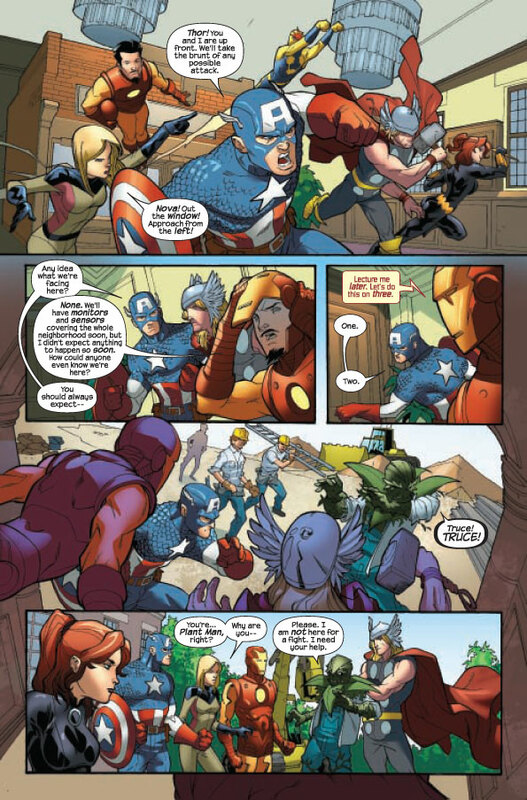 Avengers #2 to News. 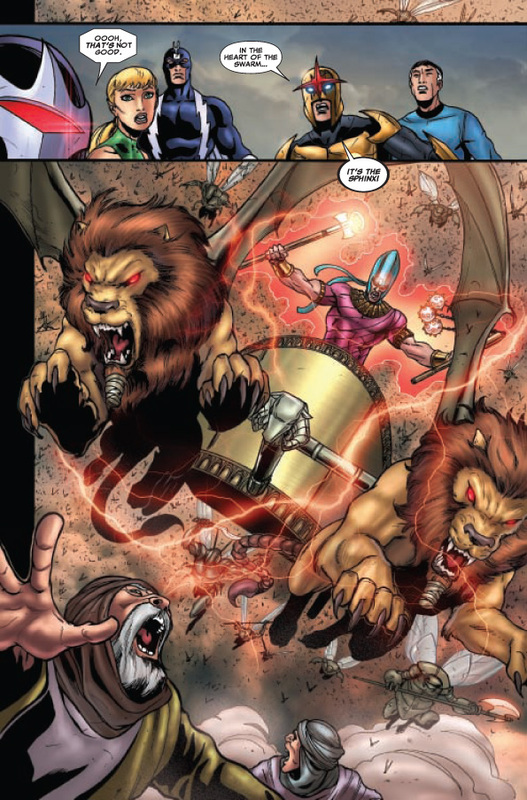 05/28 Added six pages of Thanos Imp. #1 to News. 05/25 Added summary of Sup. 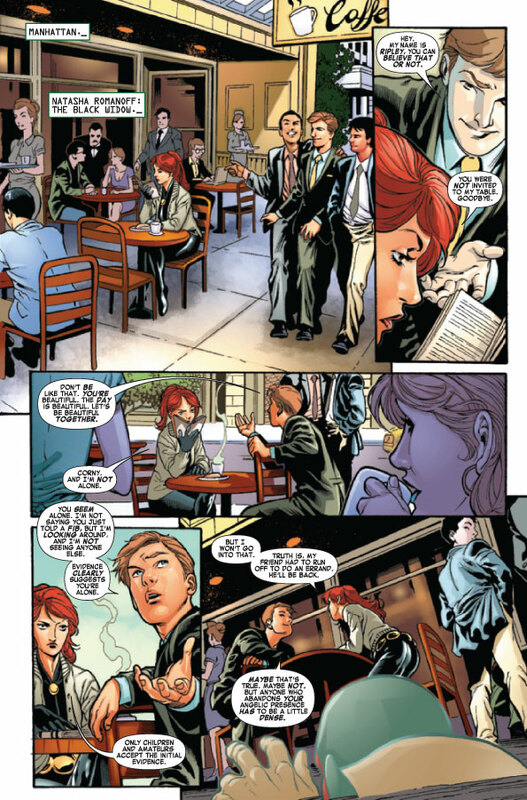 Heroes #2 to Issues. 05/21 Added 6 pages of TTI: Ignition to News. 05/21 Added 6 pages of Sct. 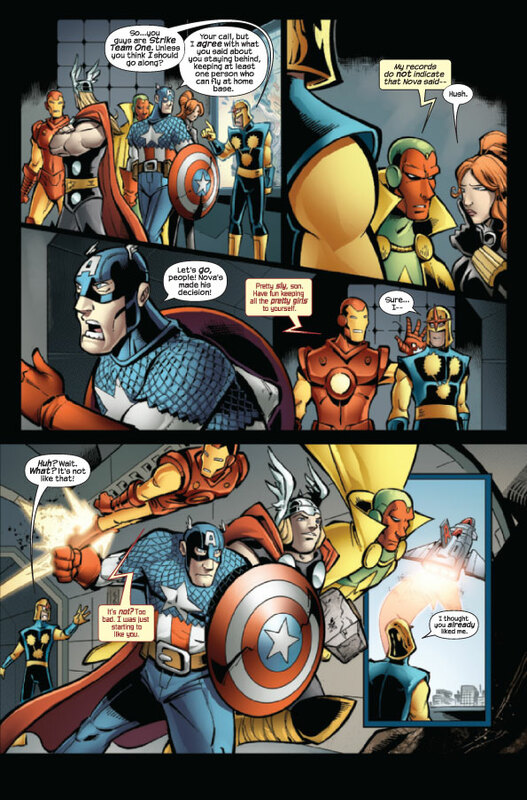 Avengers #1 to News. 05/18 Added sales info of Sup. Heroes #1 to News. 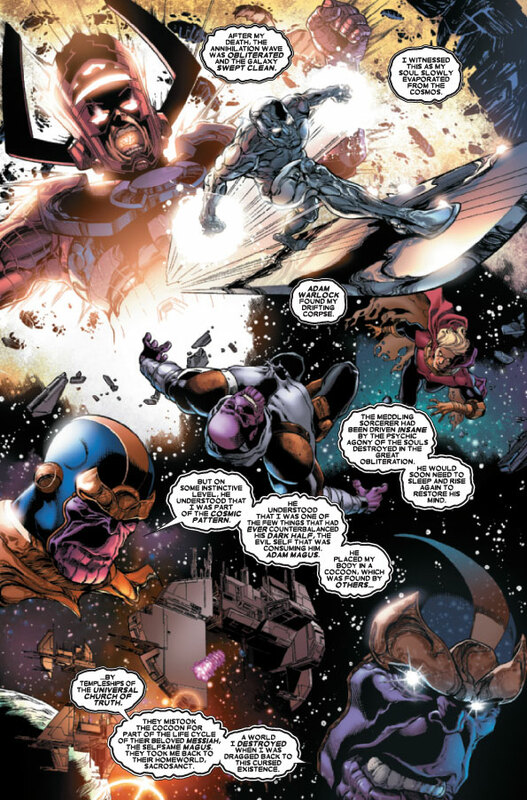 05/18 Added solicit for Thanos Imper. #3 to News. 05/18 Added solicit for Sct. 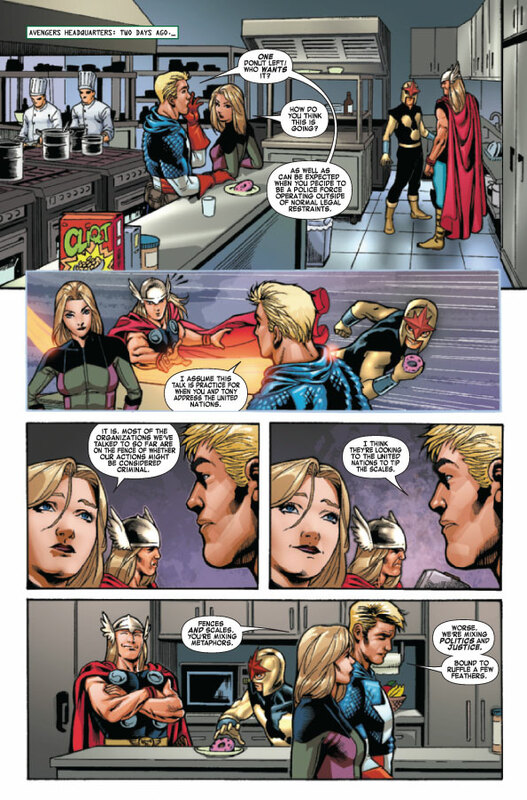 Avengers #4 to News. 05/18 Added solicitation for Super Heroes #5. 05/13 Added SHSO game info to News. 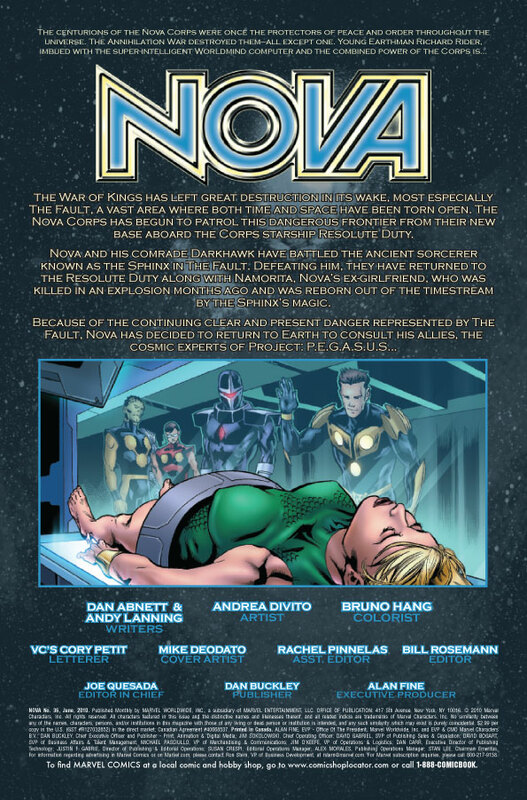 05/10 Added sales info of Nova #36 to News. 05/08 Added summary of FCBD 2010 to Issues. 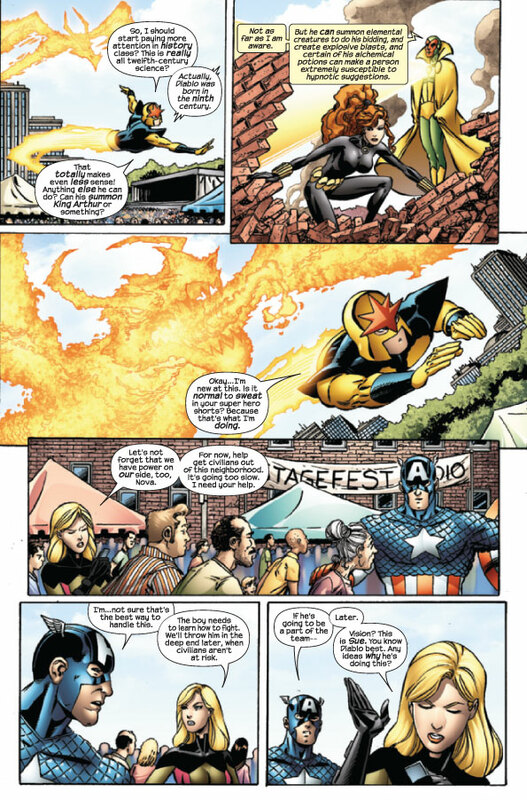 05/07 Added 7 pages of Super Heroes #2 to News. 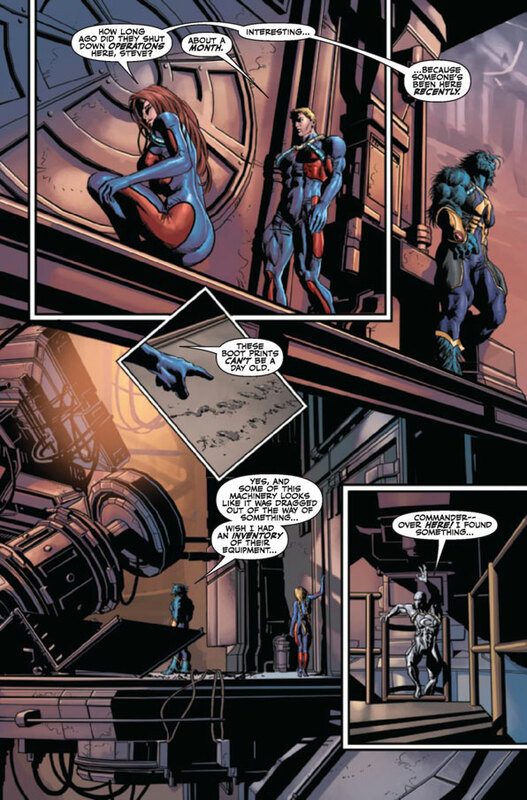 05/01 Added summary of Nova #36 to Issues. 04/30 Added 4 pages of Sct. 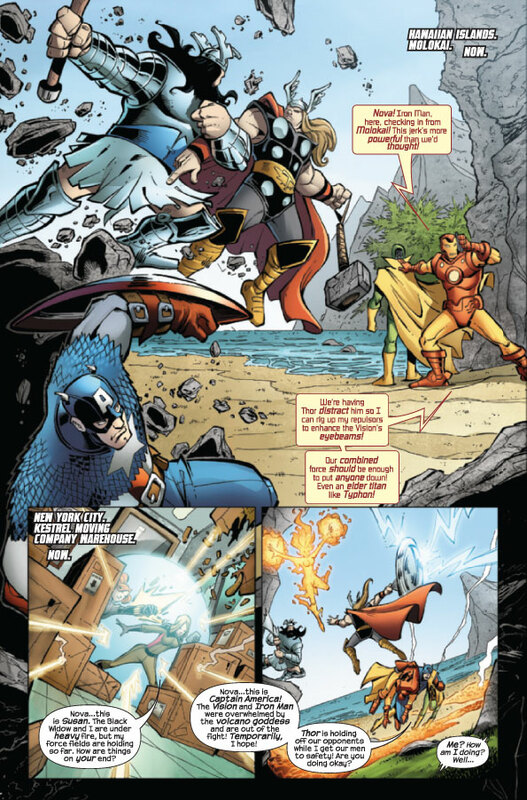 Avengers #1 to News. 04/24 Added summary of Sup. 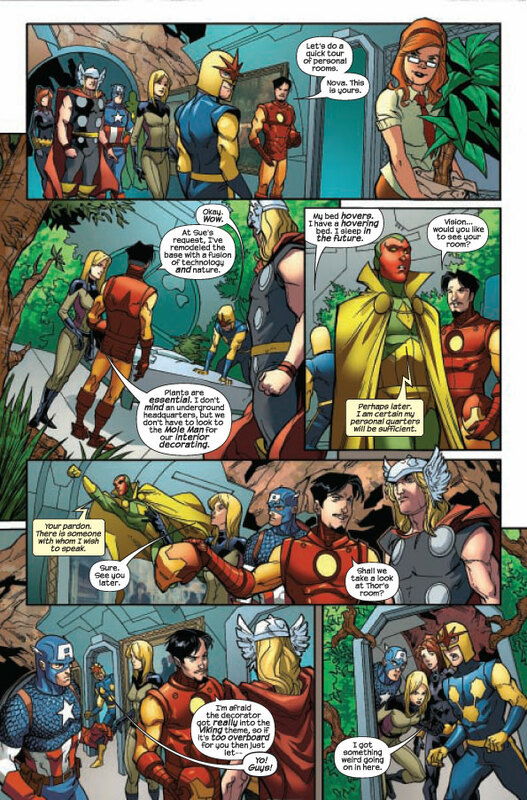 Heroes #1 to Issues. 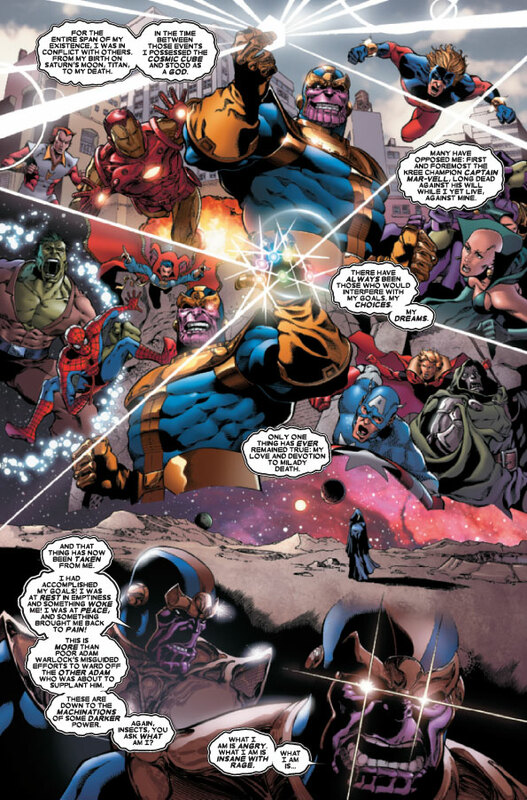 04/20 Added solicit for Thanos Imper. #2 to News. 04/20 Added solicitation for Thanos Sbk. to News. 04/20 Added solicit for Sct. 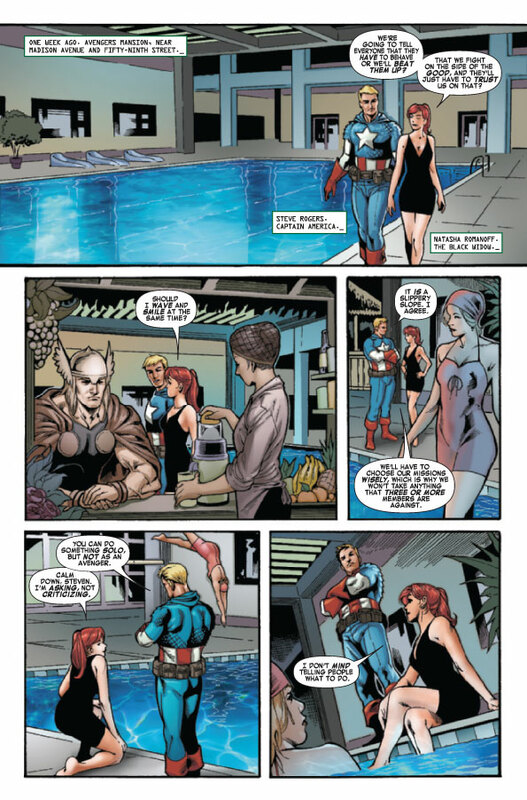 Avengers #3 to News. 04/20 Added solicitation for Super Heroes #4. 04/18 Added Secret Avengers art to News. 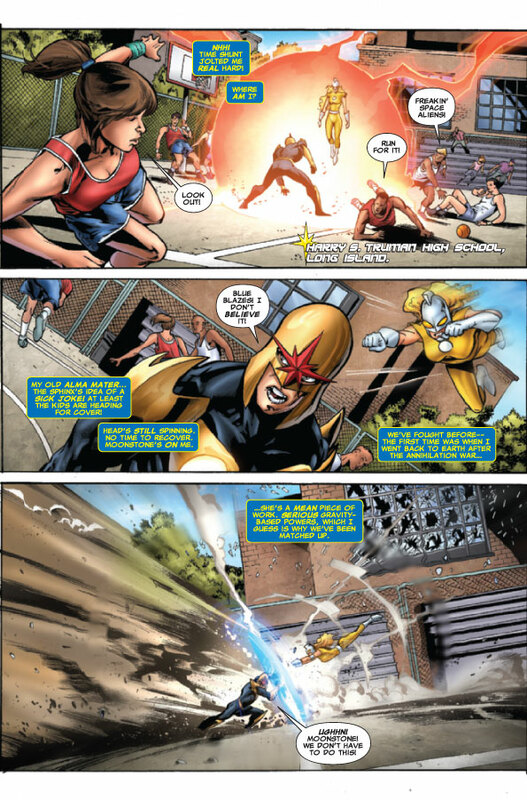 04/16 Added seven pages of Nova #36 to News. 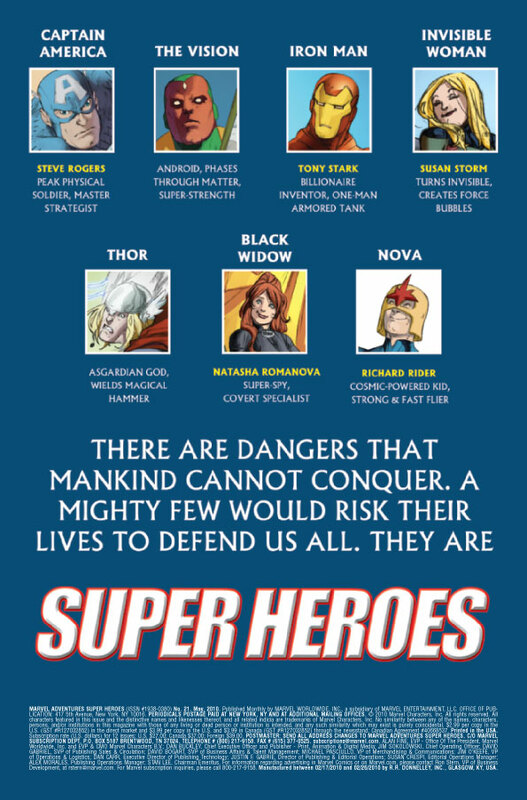 04/14 Added Secret Avengers ad to News. 04/13 Added USM Anim. Series info to News. 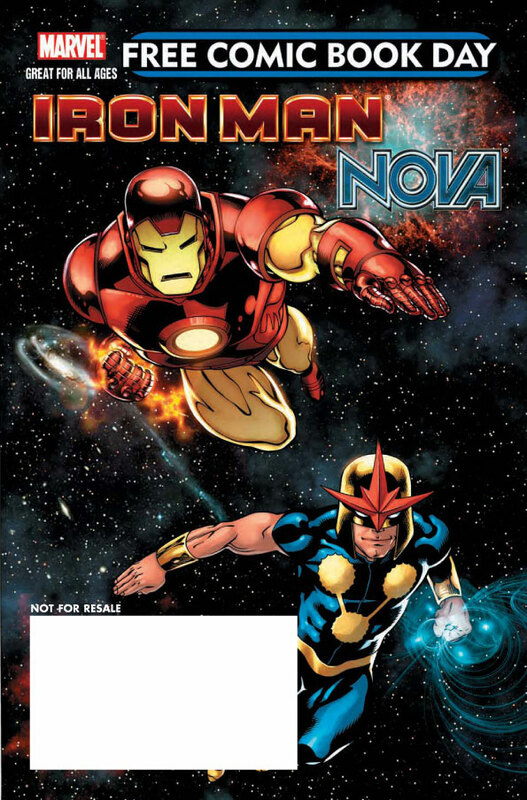 04/12 Added sales info of Nova #35 to News. 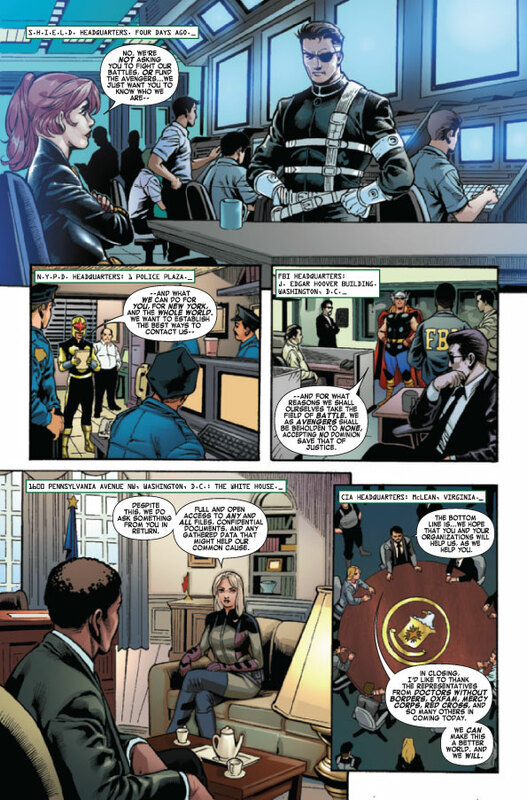 04/09 Added 7 pages of Super Heroes #1 to News. 04/01 Added Nova #36 delay to News. 03/30 Added cover to Nova #36 to News. 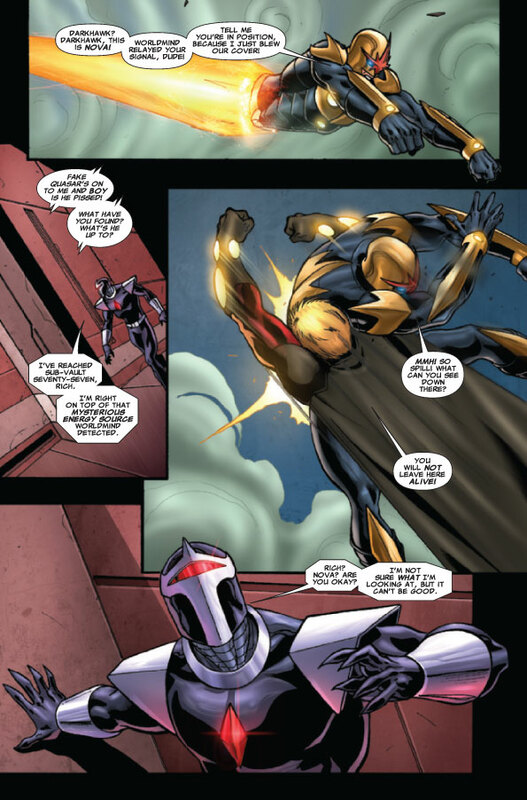 03/30 Added summary of Nova #35 to Issues. 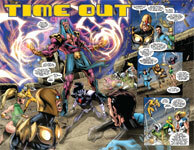 03/23 Added solicit for Thanos Imper. #1 to News. 03/23 Added solicitation for Super Heroes #3. 03/18 Updated Nova #36 variant cover in News. 03/17 Added sales info of MASH #20 to News. 03/16 Added summary of MASH #21 to Issues. 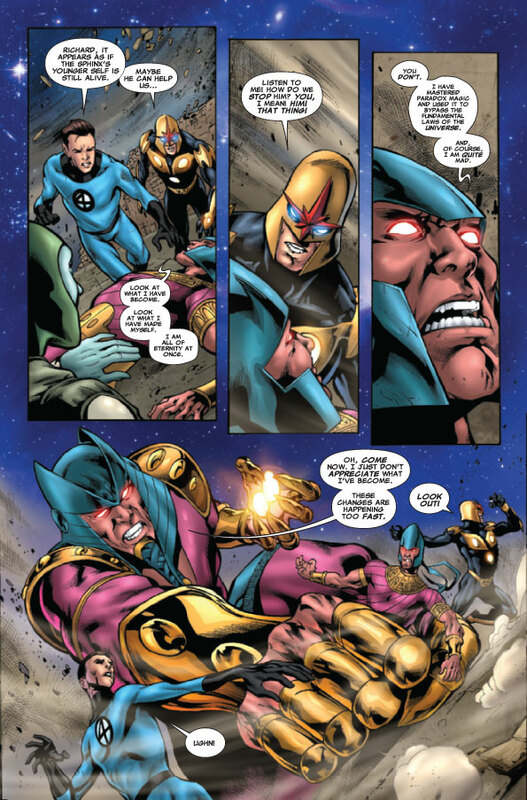 03/12 Added seven pages of Nova #35 to News. 03/10 Added Super Hero Squad info to News. 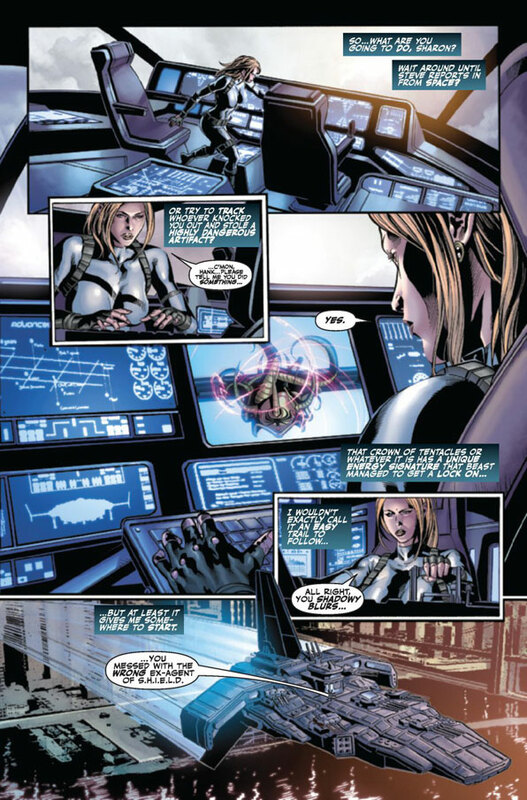 03/09 Added sales info of Nova #34 to News. 03/06 Changed poll and posted results to News. 03/06 Added summary of MASH #20 to Issues. 03/05 Added seven pages of MASH #21 to News. 03/04 Added The Thanos Imperative to News. 03/02 Added DnA interview to Interviews. 02/25 Added six pages of FCBD 2010 to News. 02/25 Added Nova #35 delay to News. 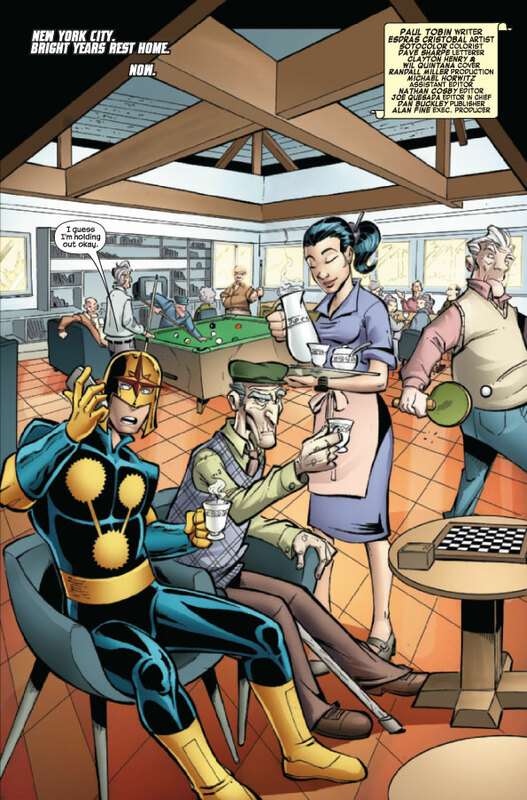 02/23 Added cover to Nova #35 to News. 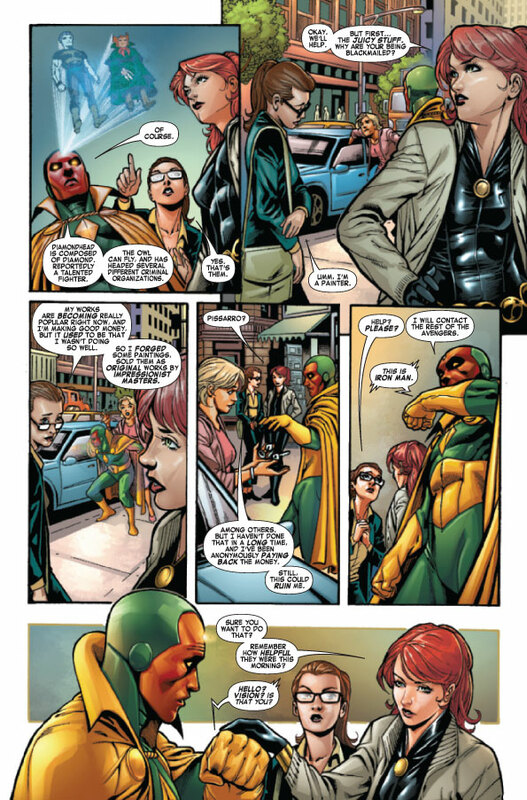 02/22 Added Prelude/Deadpool Corps #2 to News. 02/16 Added solicitation for Ignition to News. 02/16 Added solicitation for Super Heroes #2. 02/15 Added sales info of MASH #19 to News. 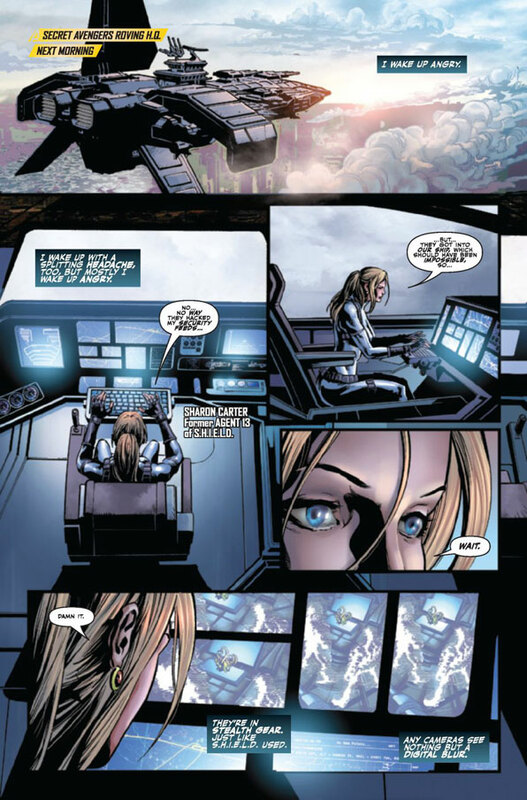 02/15 Added sales info of Nova #33 to News. 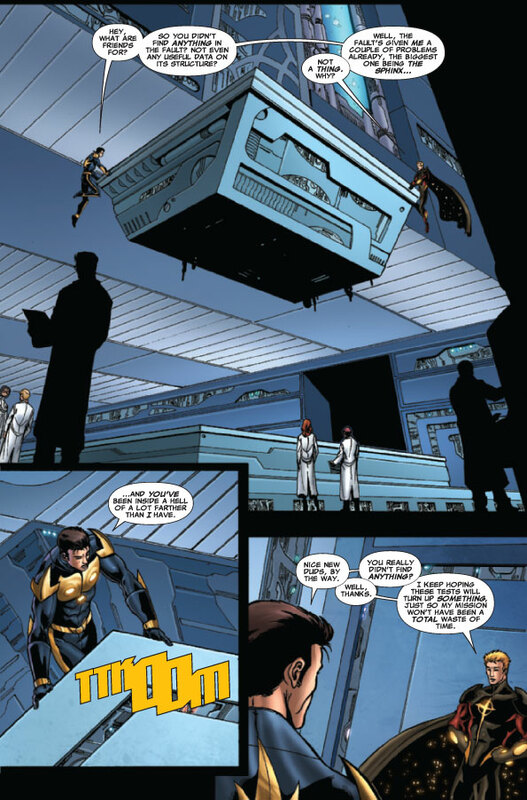 02/13 Added summary of Nova #34 to Issues. 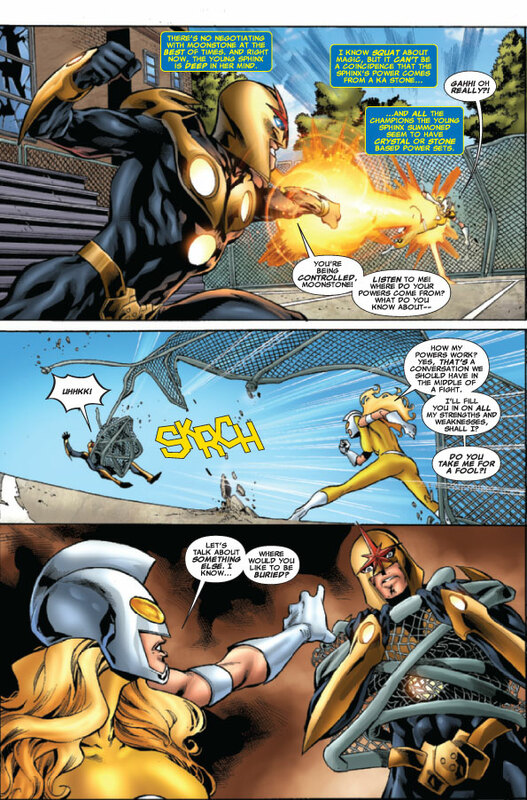 02/13 Added three pages of Nova #35 to News. 02/13 Added Rosemann interview to Interviews. 02/13 Added Manostl art to FanWorks. 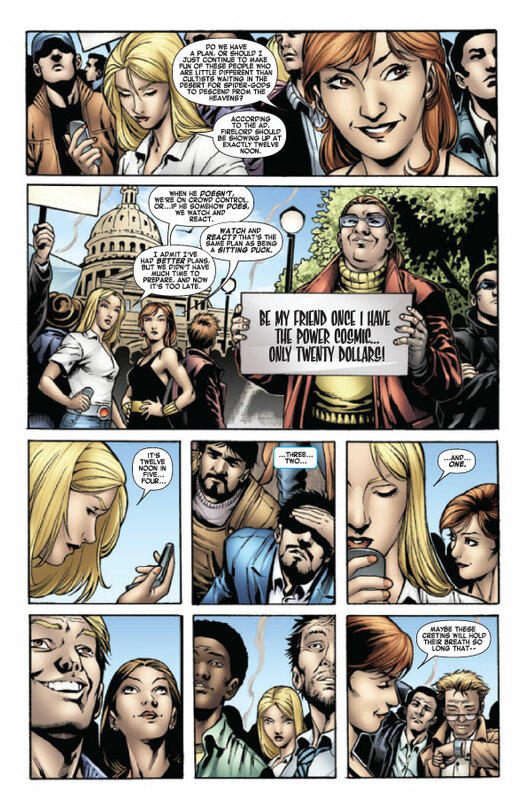 02/05 Added six pages of MASH #20 to News. 02/01 Added Tobin interview to Creative. 01/29 Added Nova #36 variant cover to News. 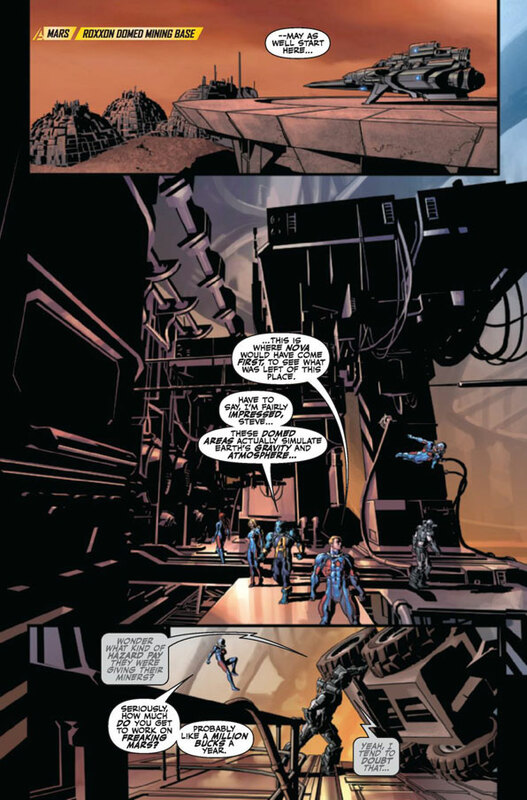 01/29 Added six pages of Nova #34 to News. 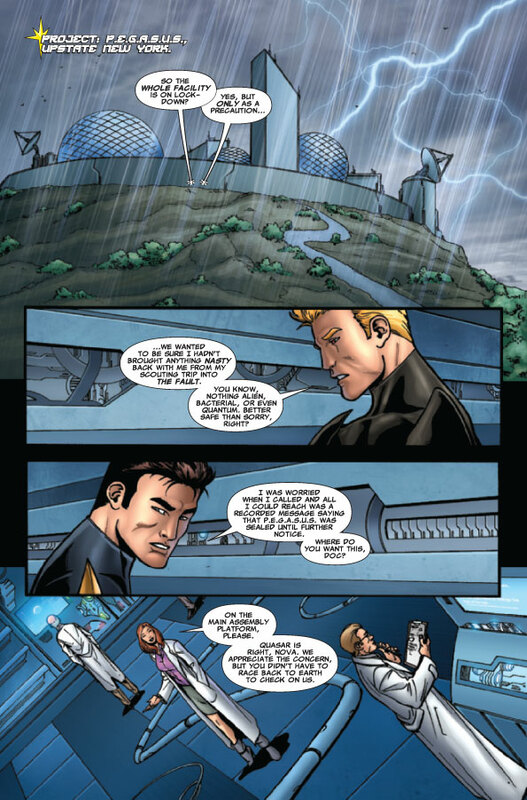 01/29 Added summary of Nova #33 to Issues. 01/29 Added various art to FanWorks. 01/26 Added summary of MASH #19 to Issues. 01/25 Added Nova #34 variant cover to News. 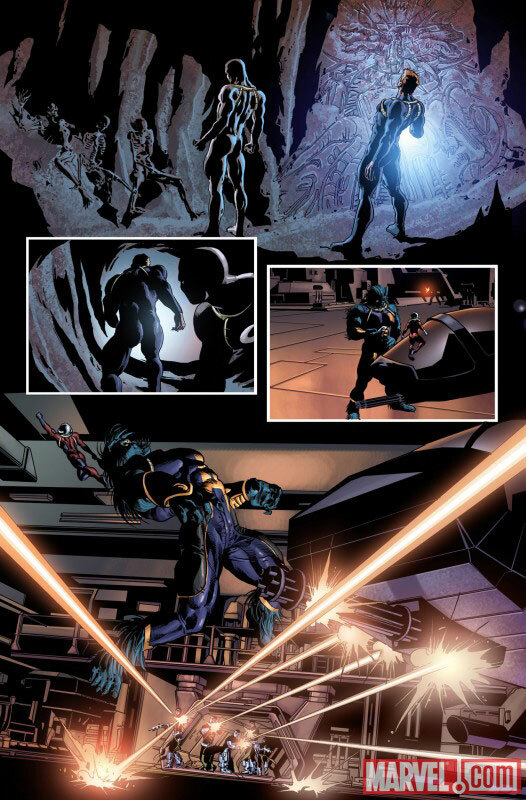 01/21 Added three pages of Nova #34 to News. 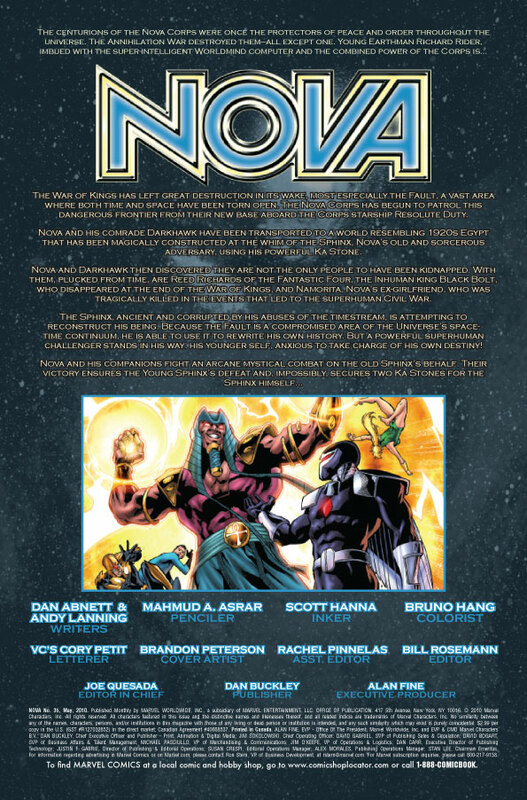 01/19 Added solicitation for Nova #36 to News. 01/19 Added solicitation for Super Heroes #1. 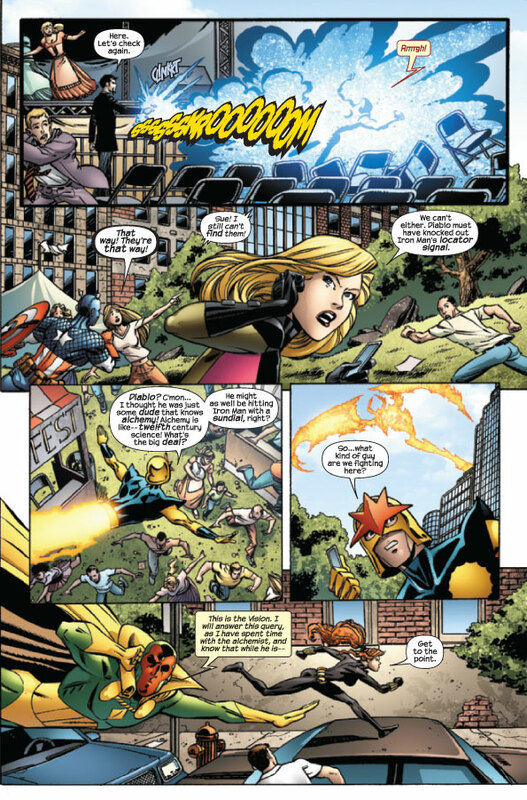 01/15 Added six pages of Nova #33 to News. 01/13 Added Super Heroes #1 to News. 01/12 Added UF Podcasts to Creative. 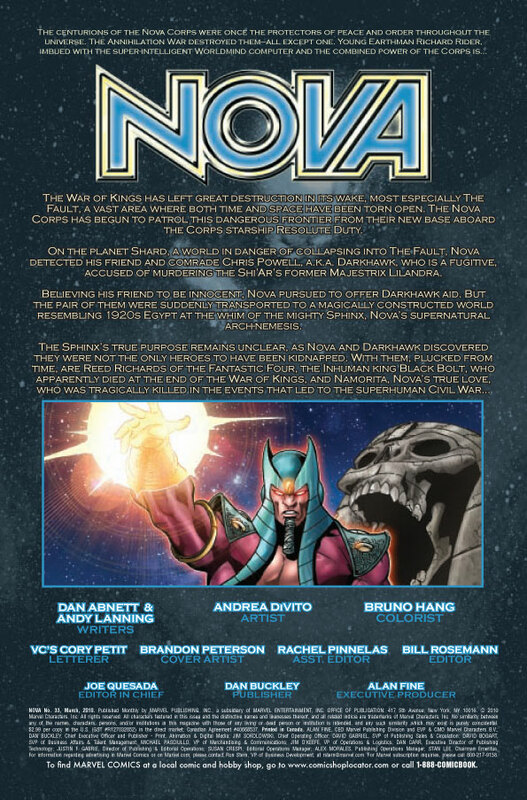 01/12 Added sales info of Nova #32 to News. 01/08 Added summary of MASH #18 to Issues. 01/08 Added seven pages of MASH #19 to News. 01/03 Added Internet Beacon Award to Awards. 01/03 Added Nova #33 delay to News. 01/03 Added various art to FanWorks.